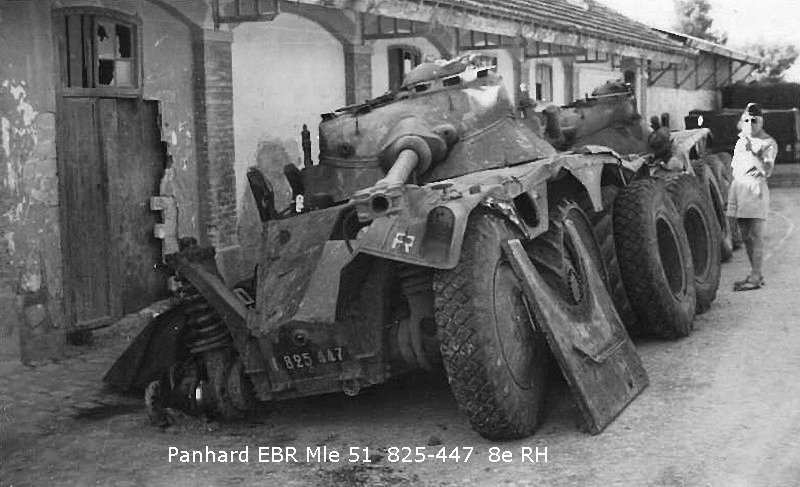 Warning, VERY picture heavy ! 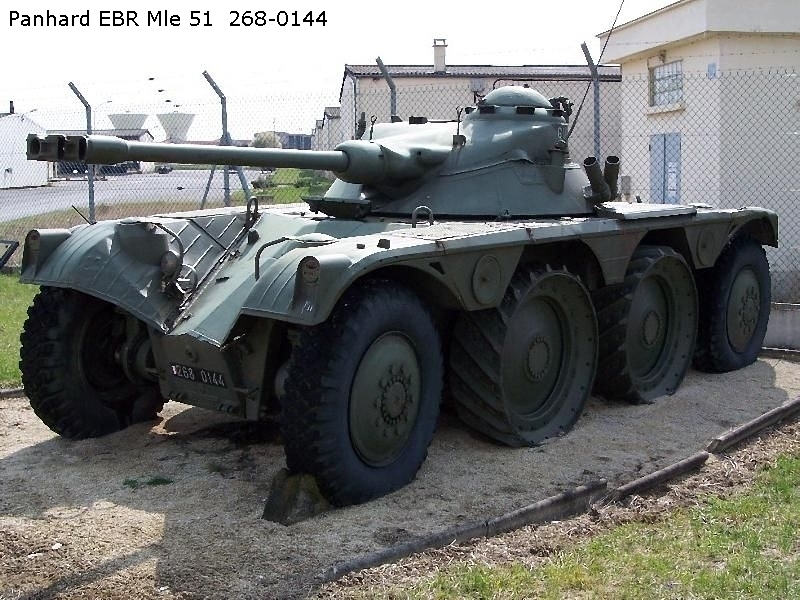 Hi again ! 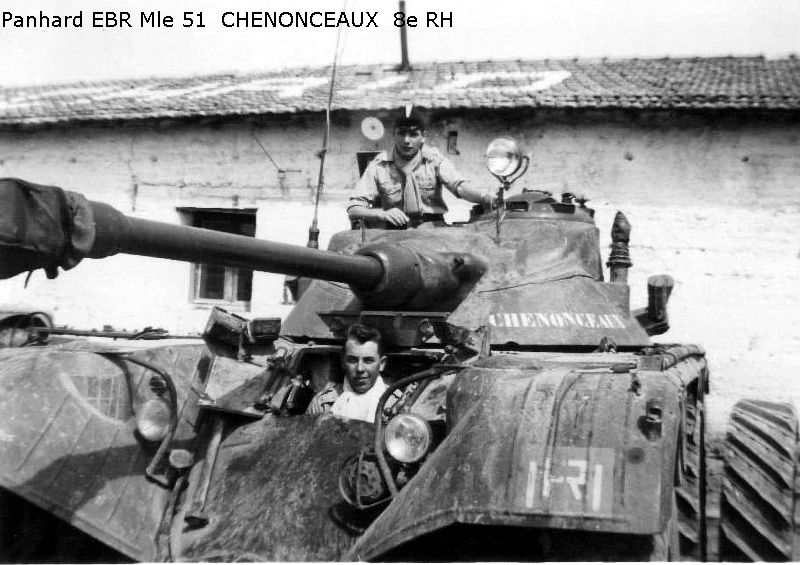 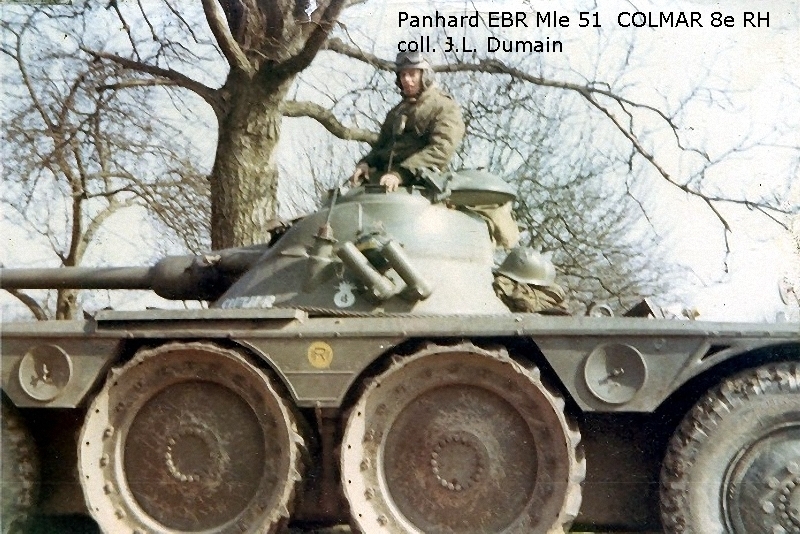 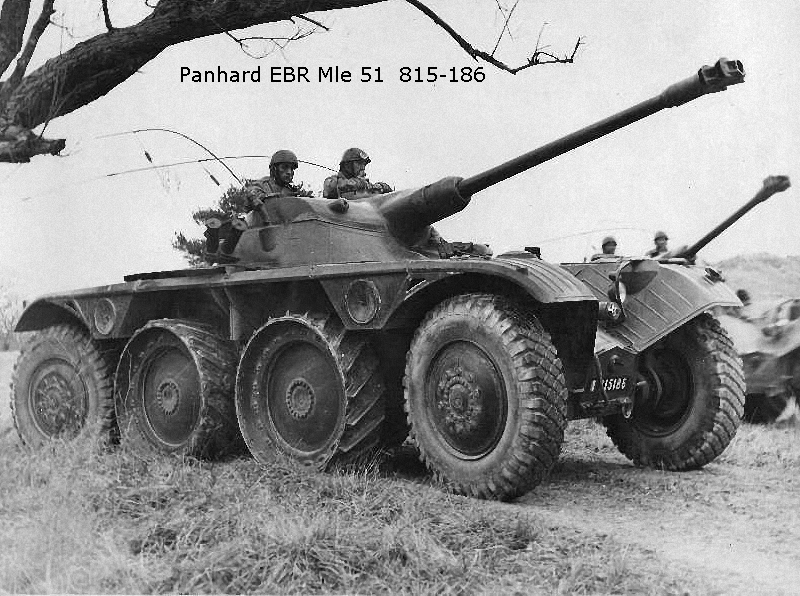 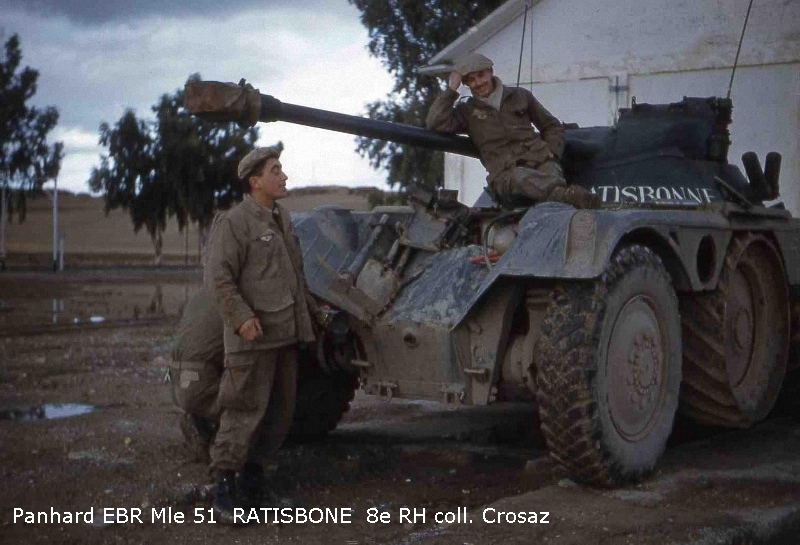 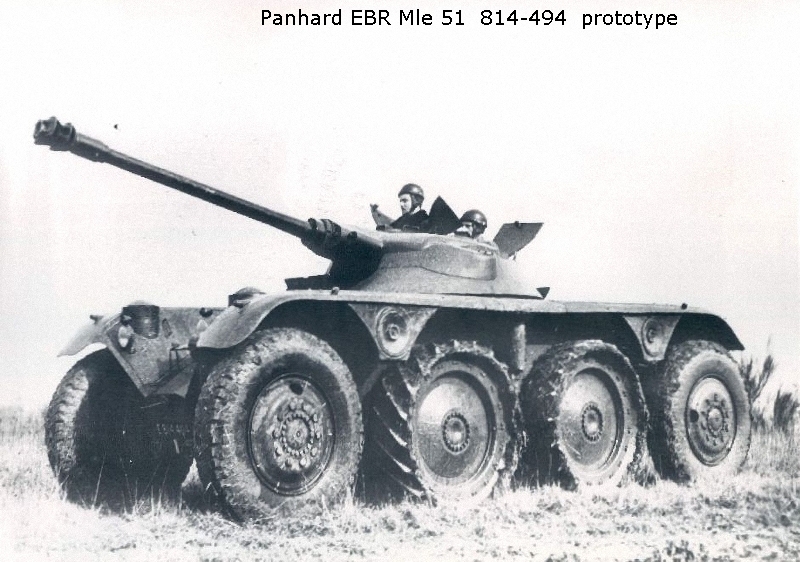 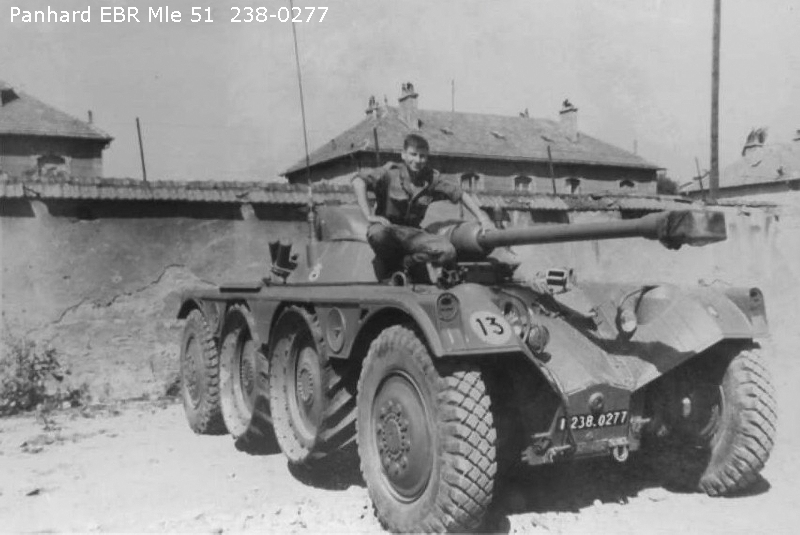 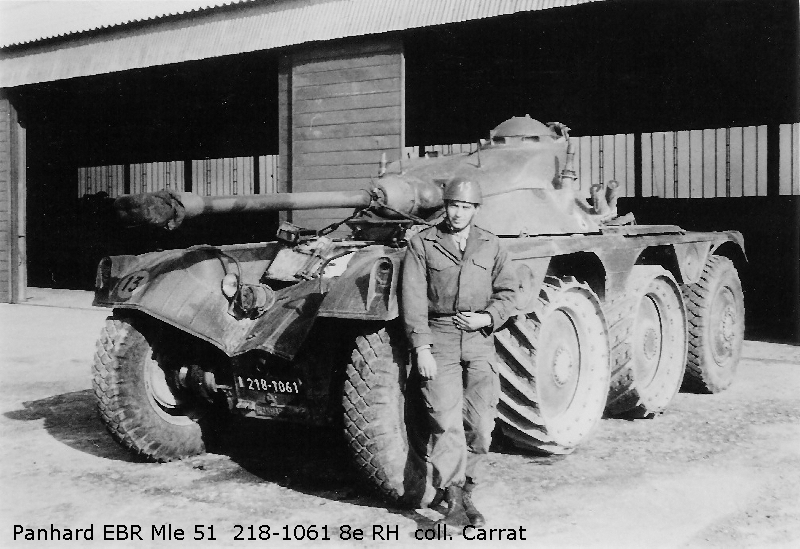 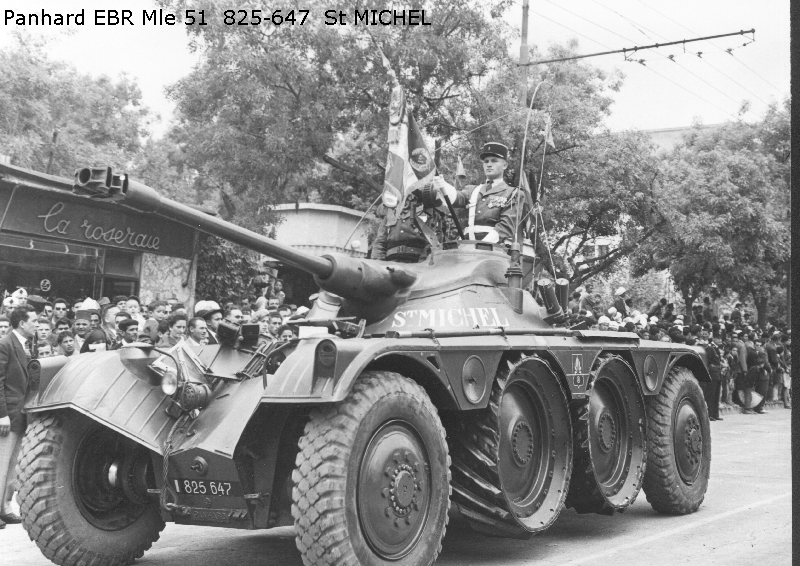 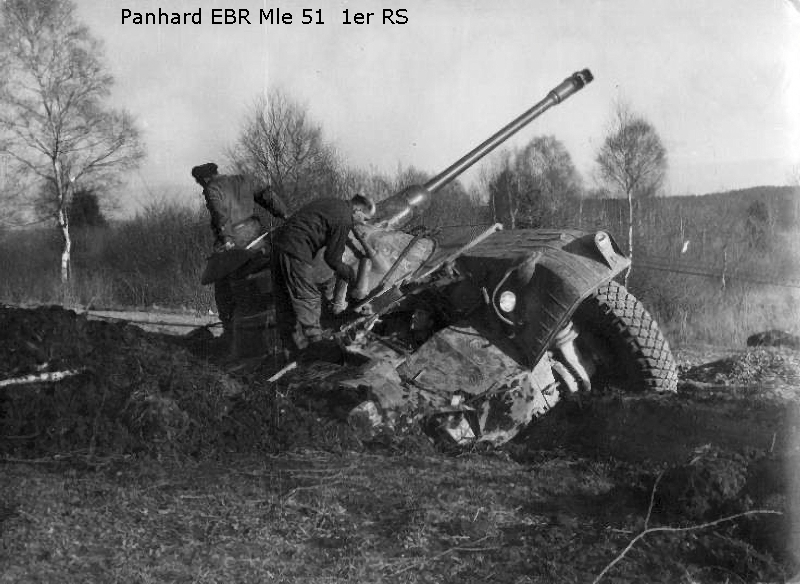 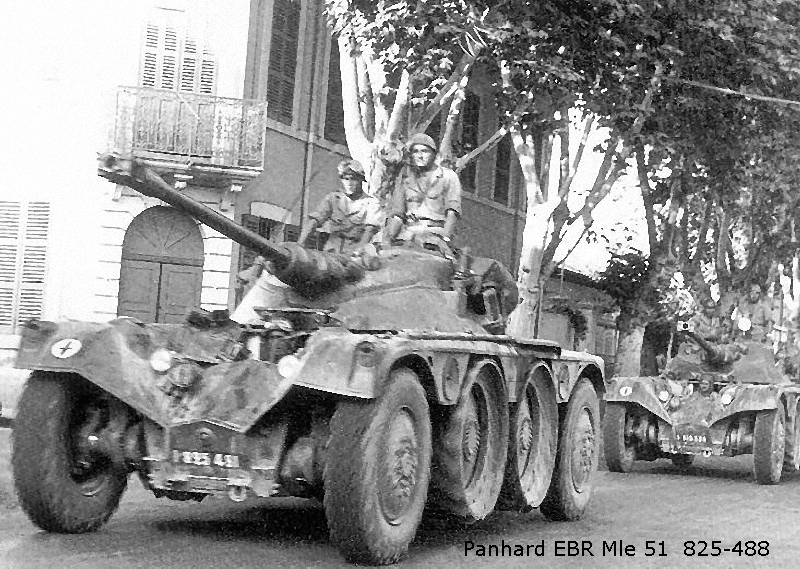 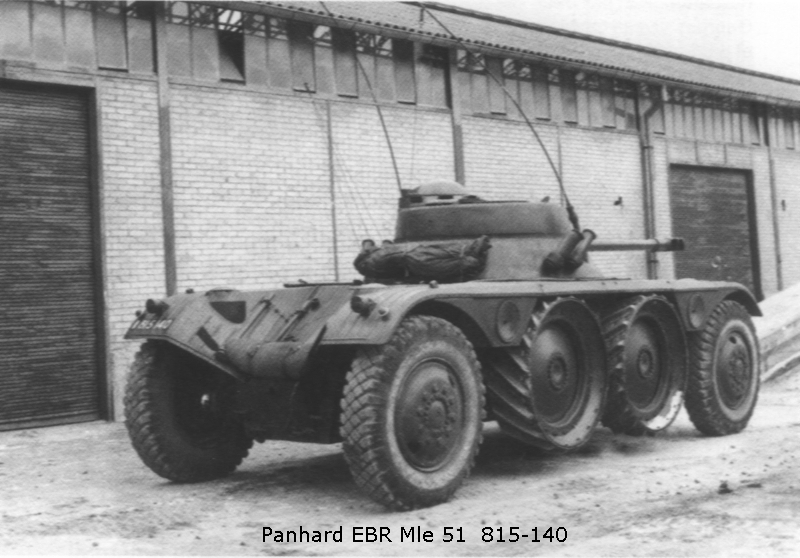 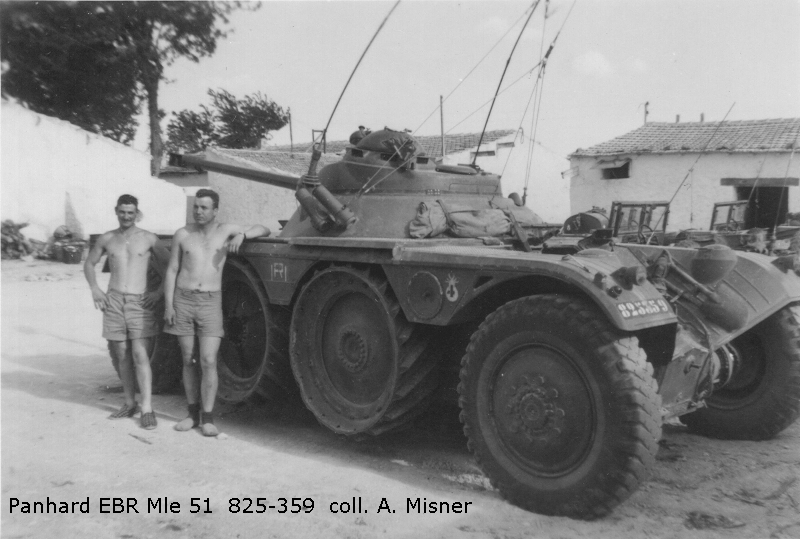 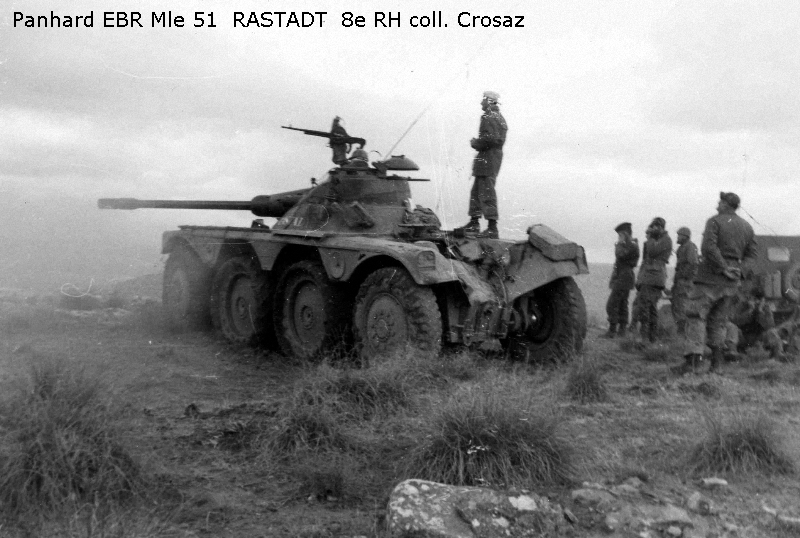 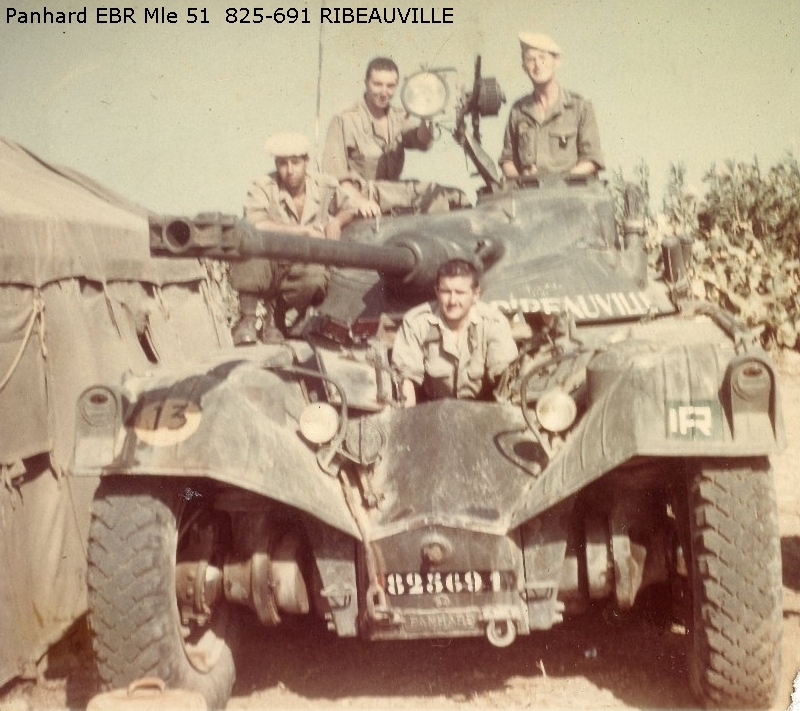 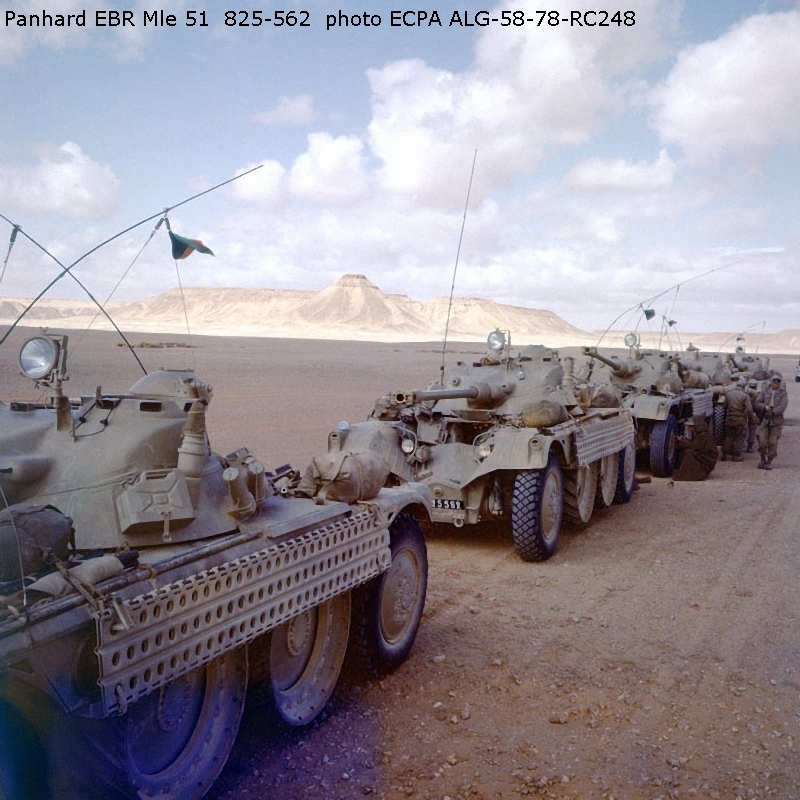 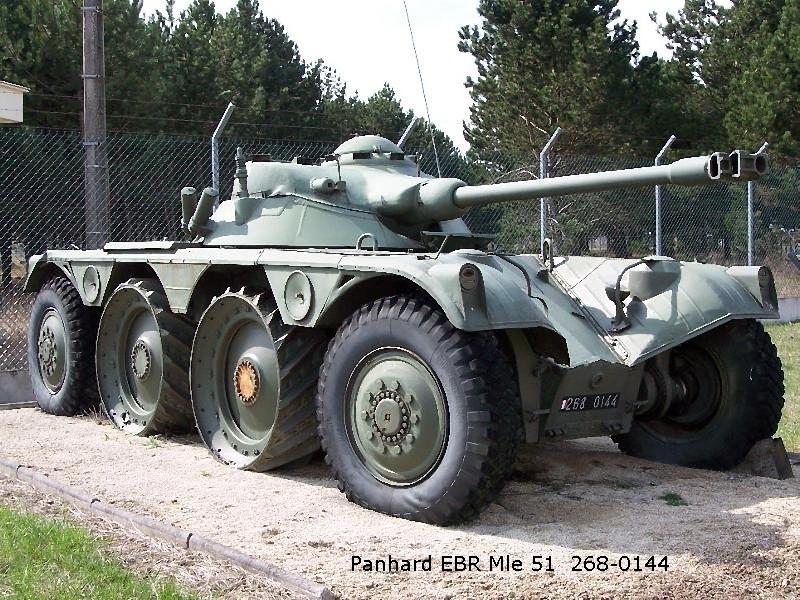 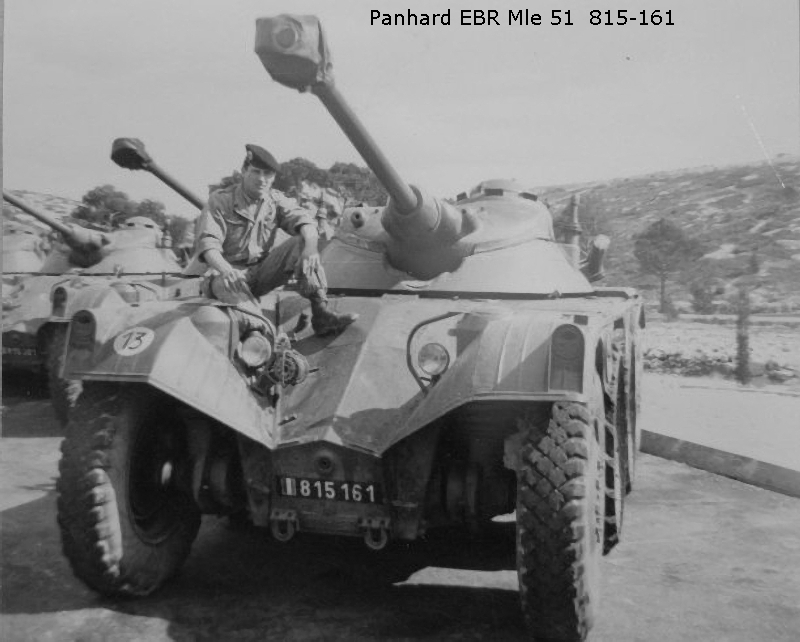 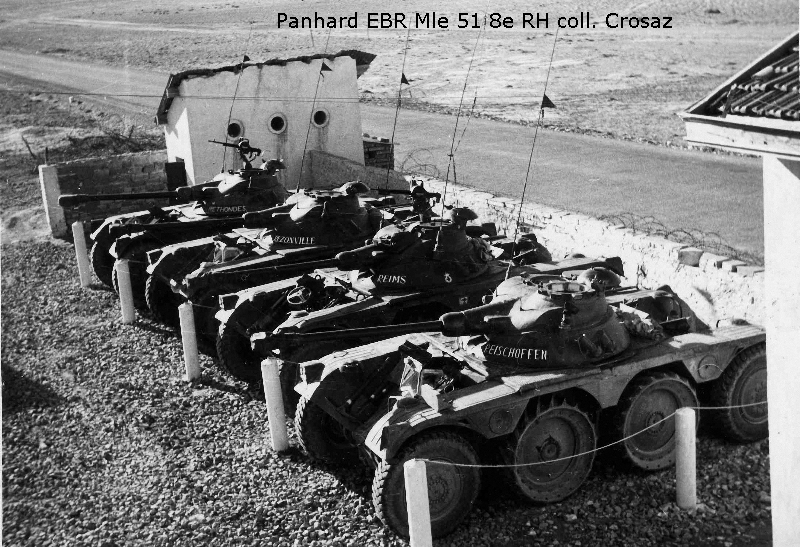 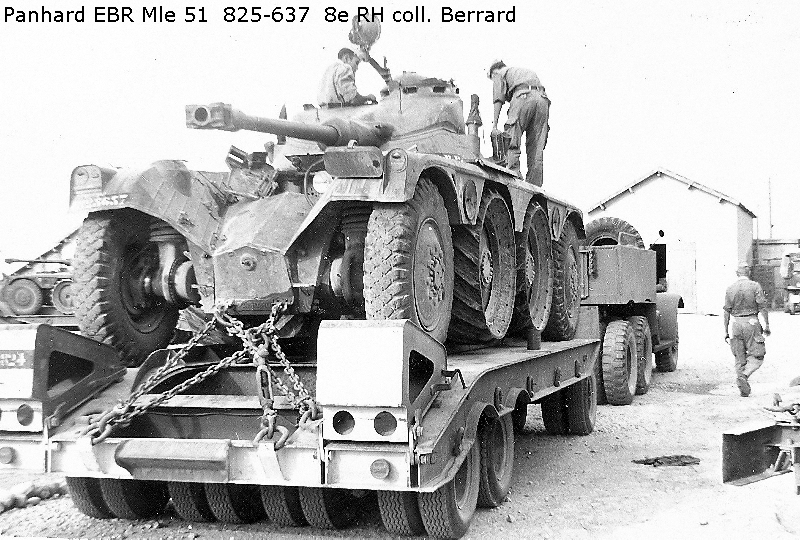 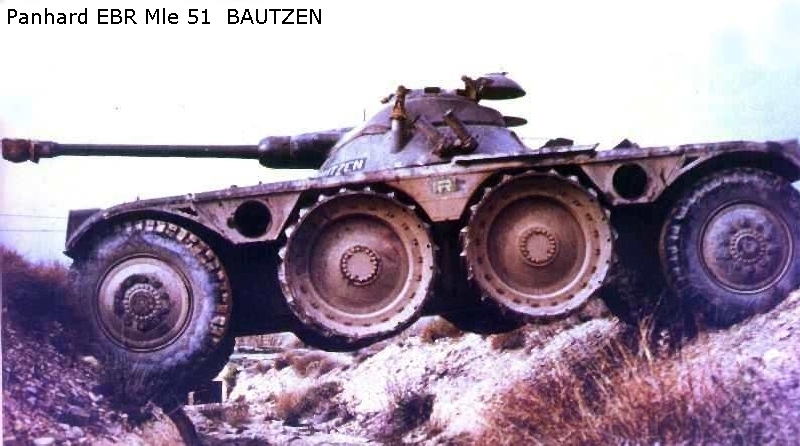 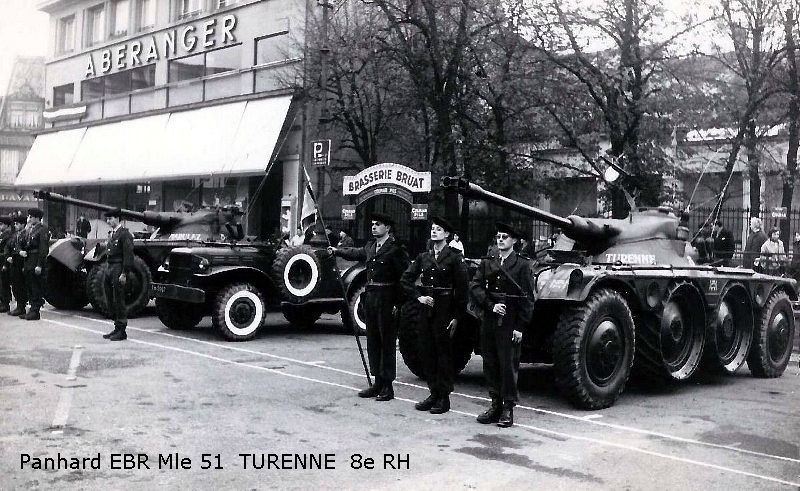 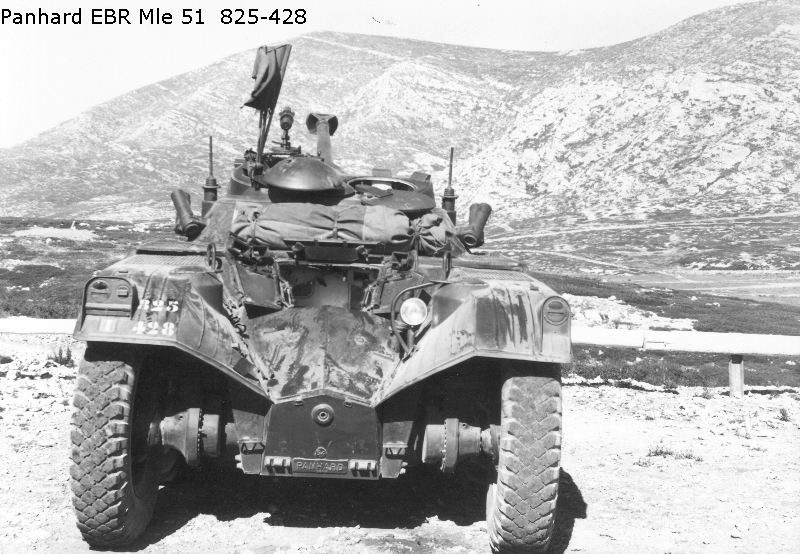 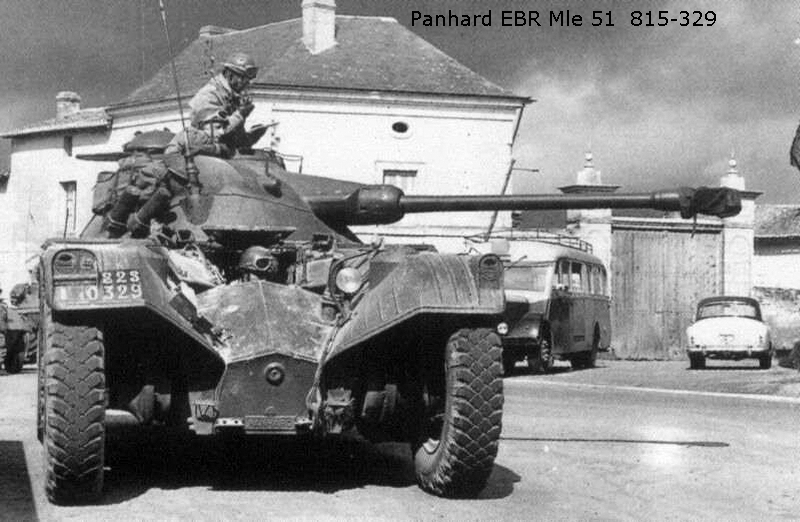 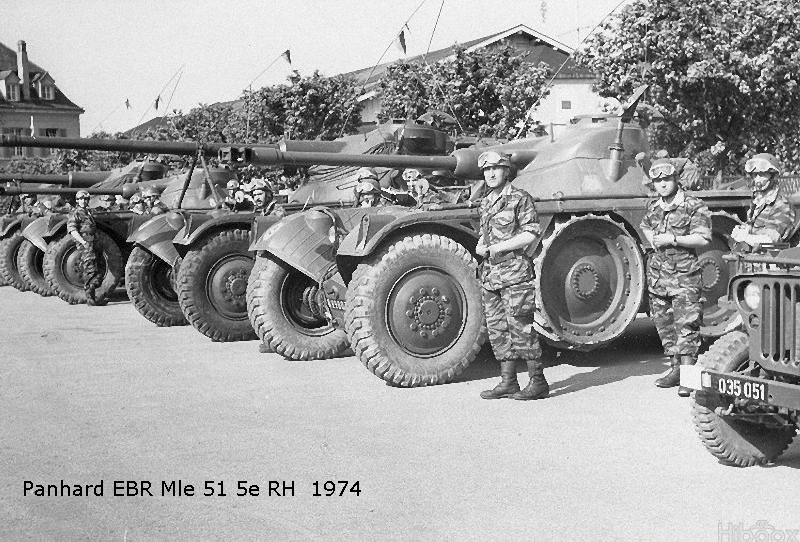 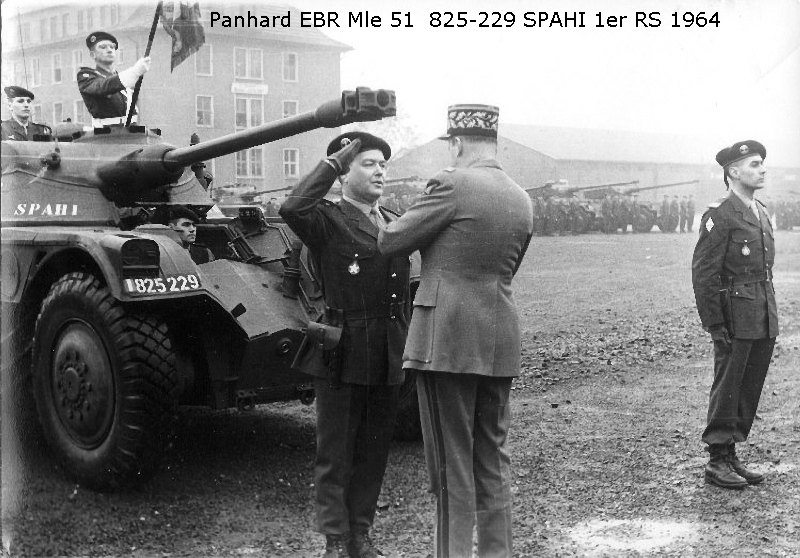 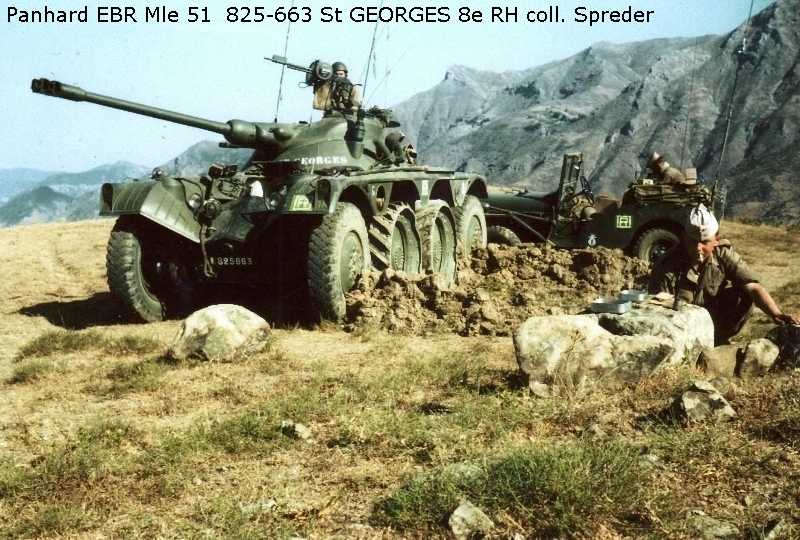 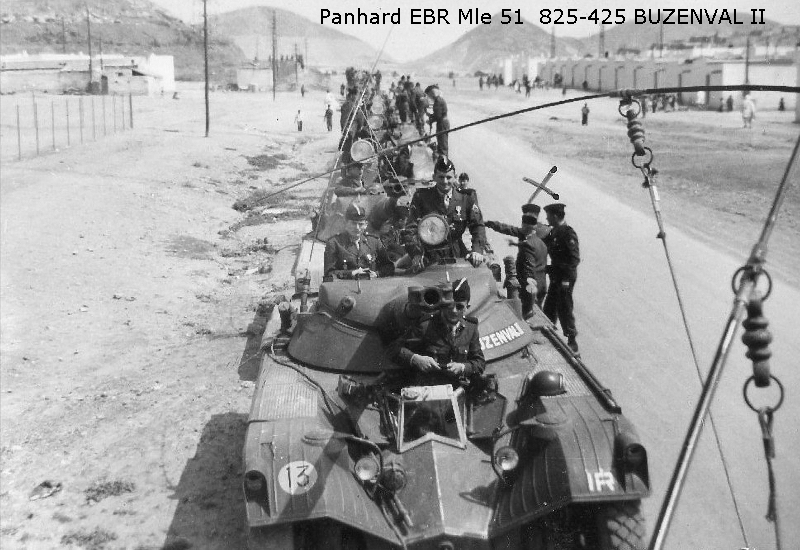 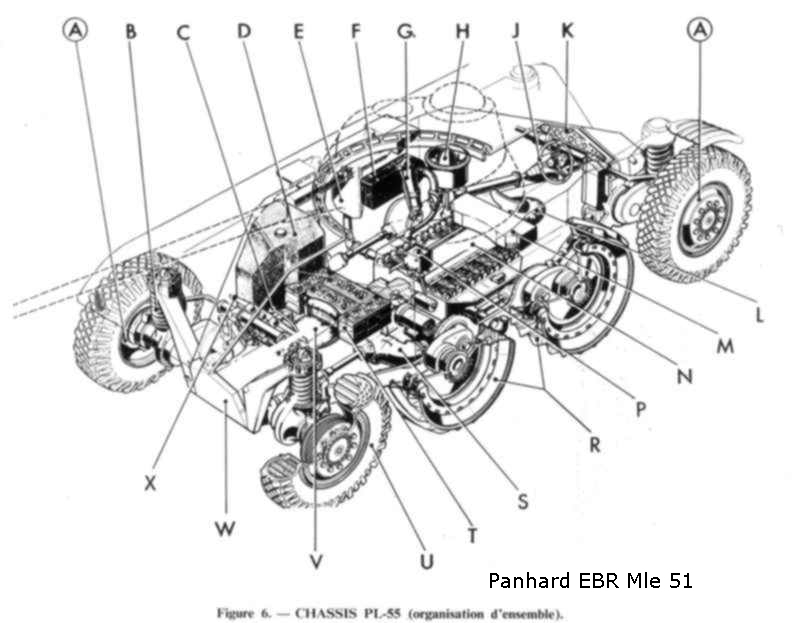 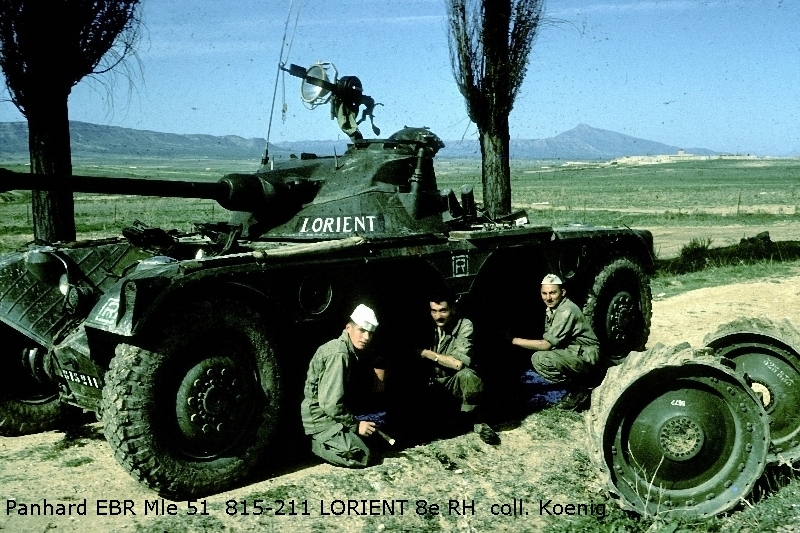 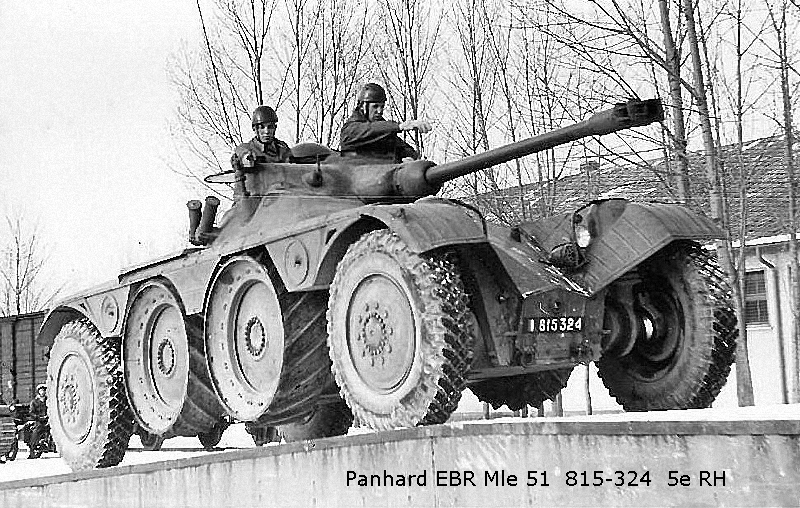 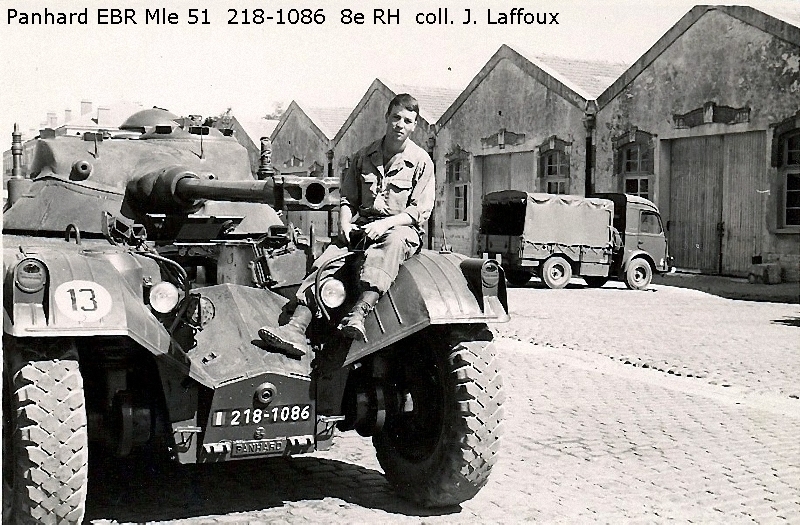 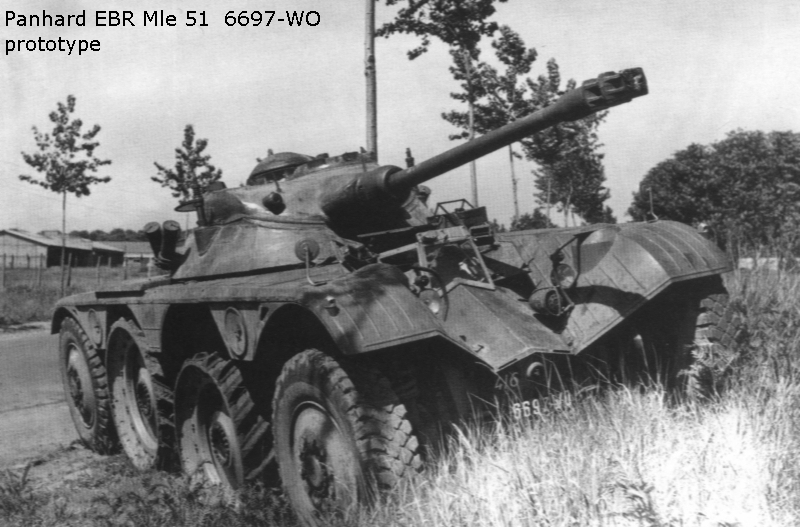 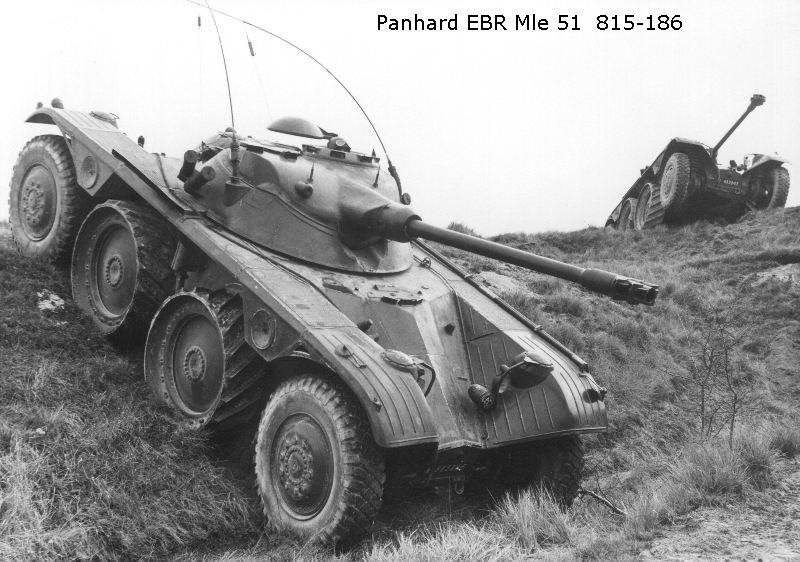 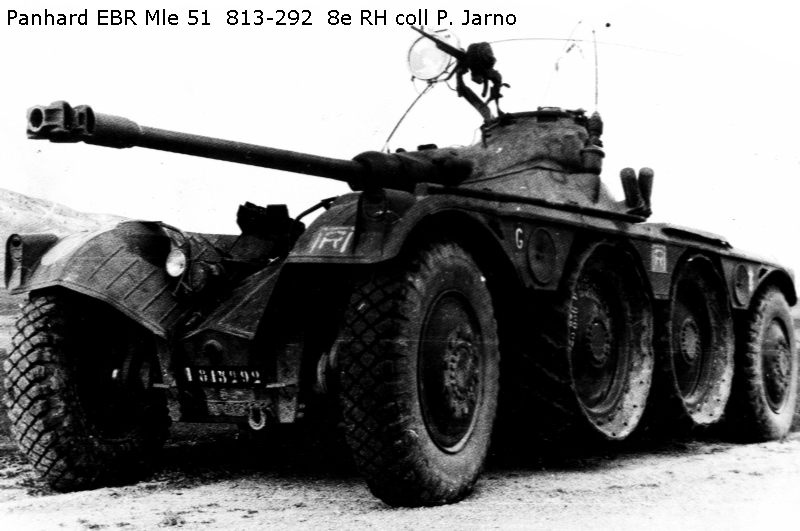 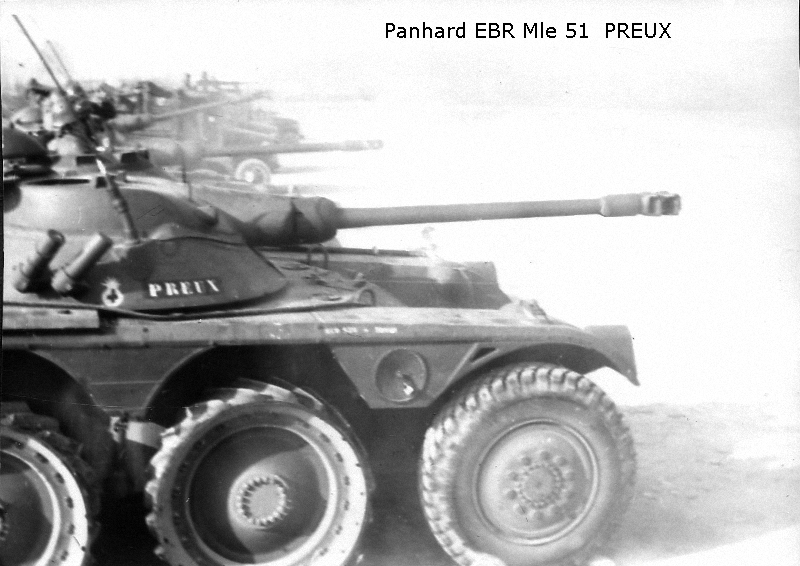 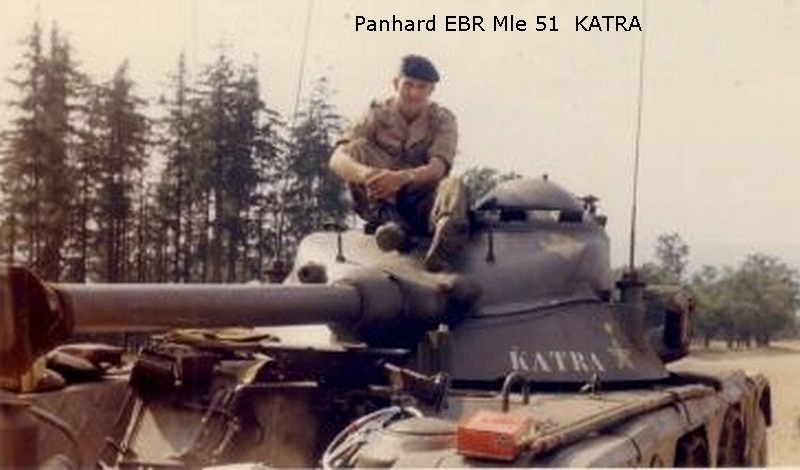 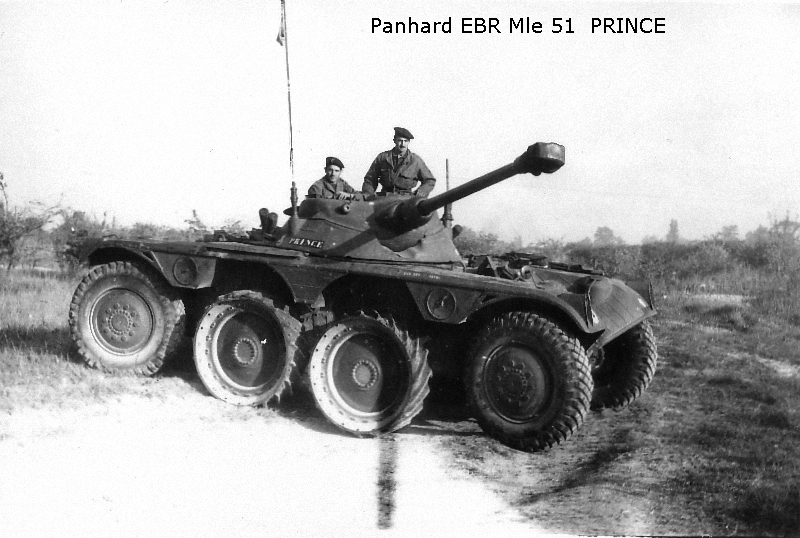 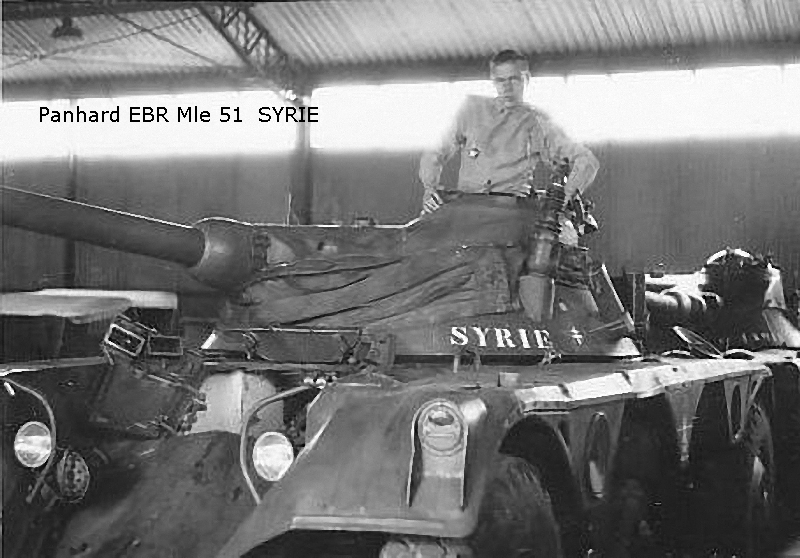 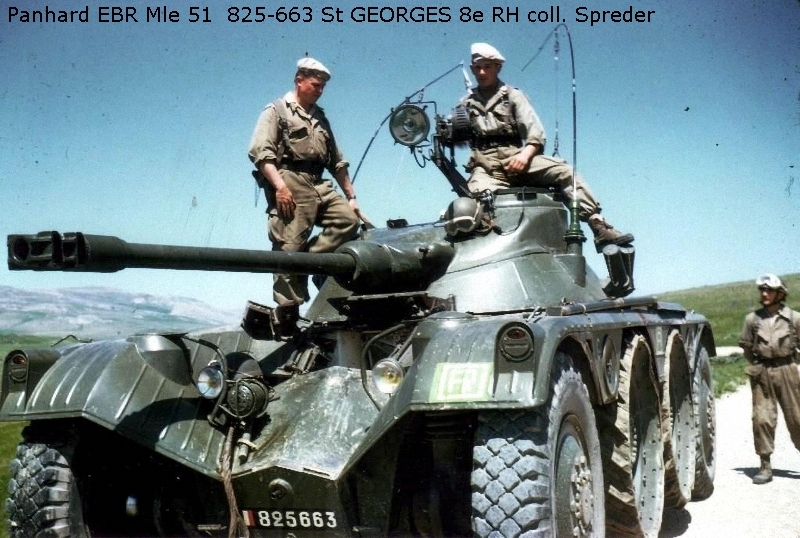 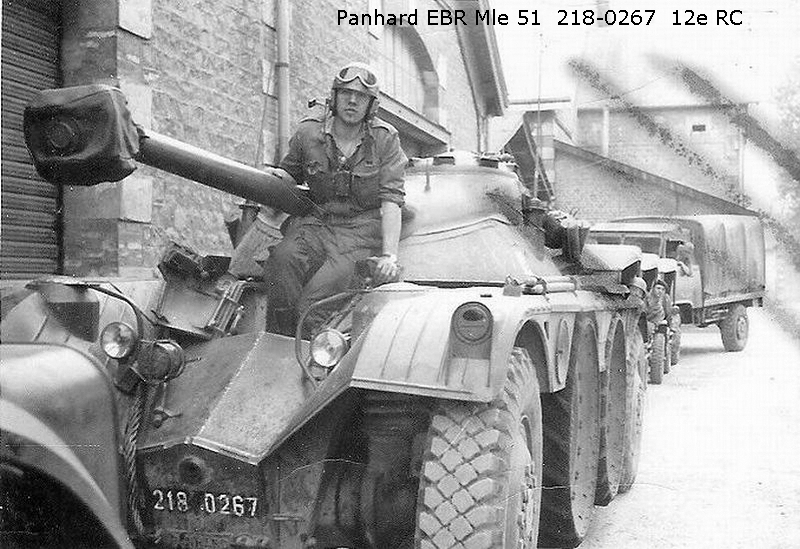 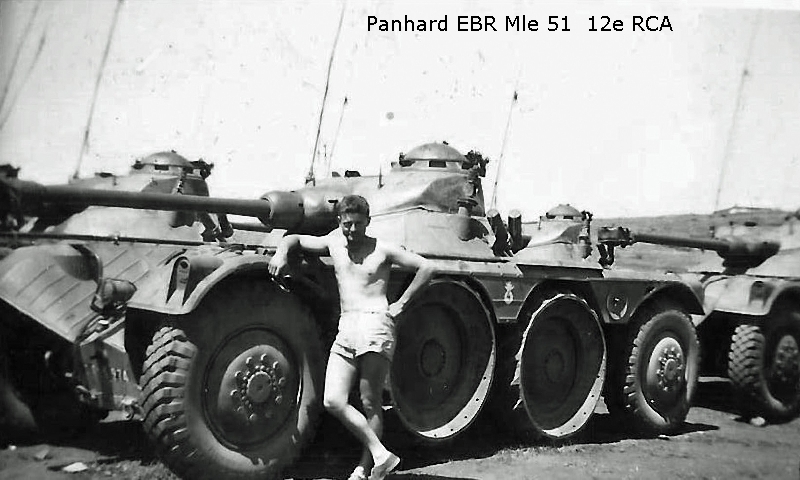 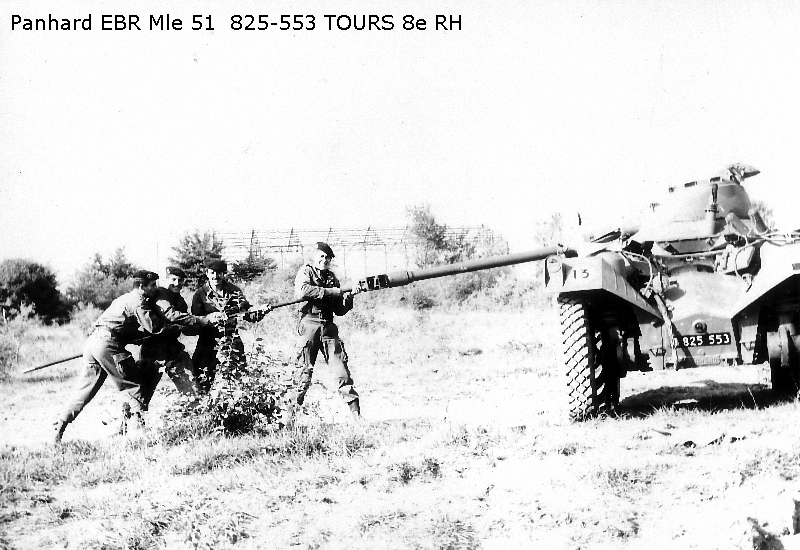 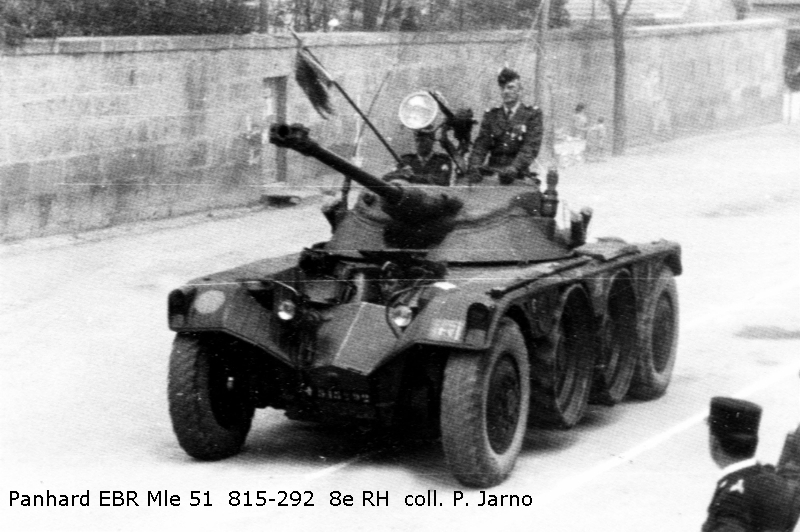 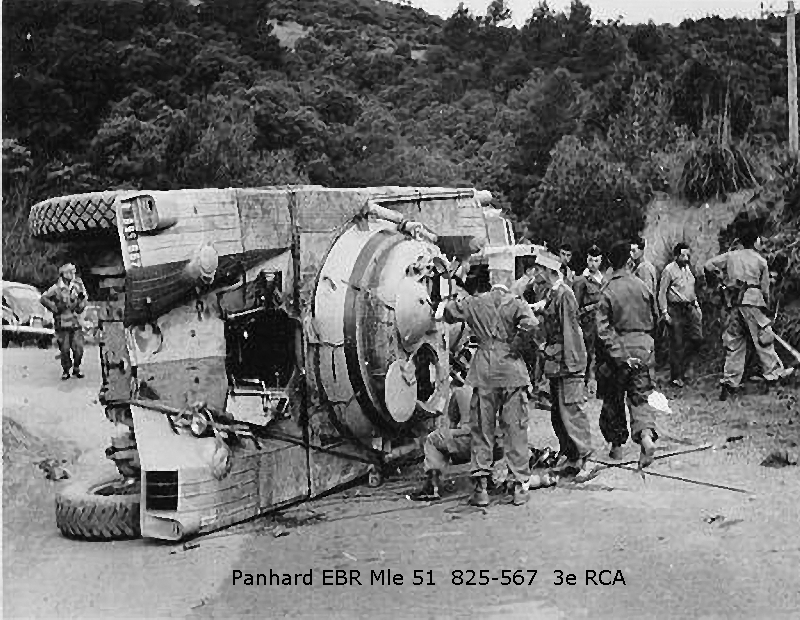 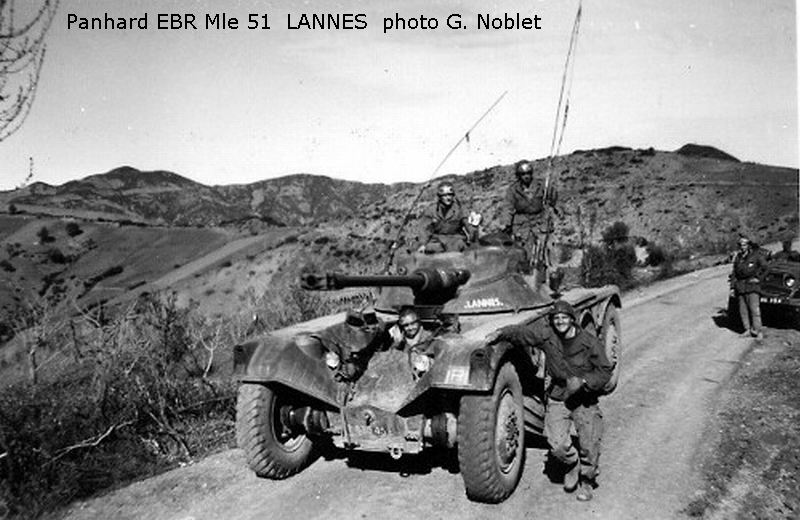 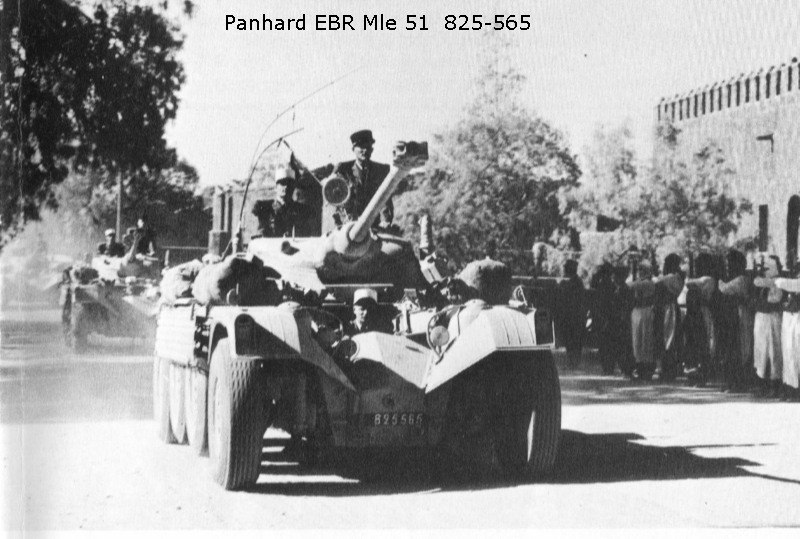 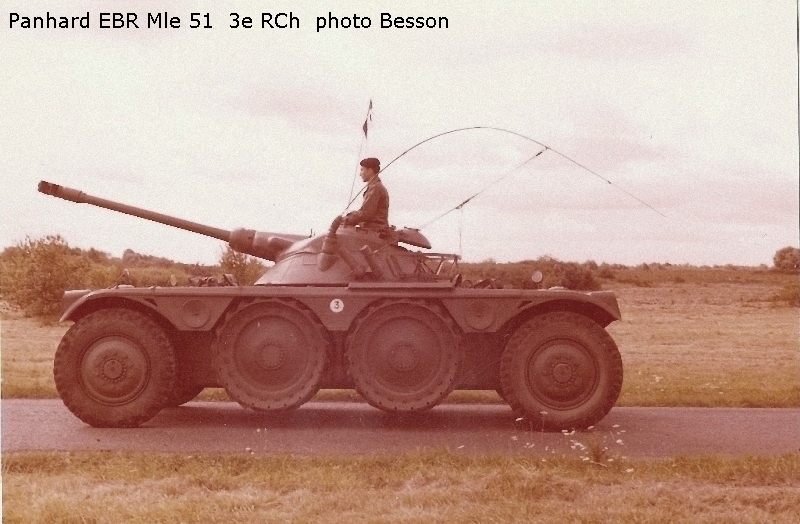 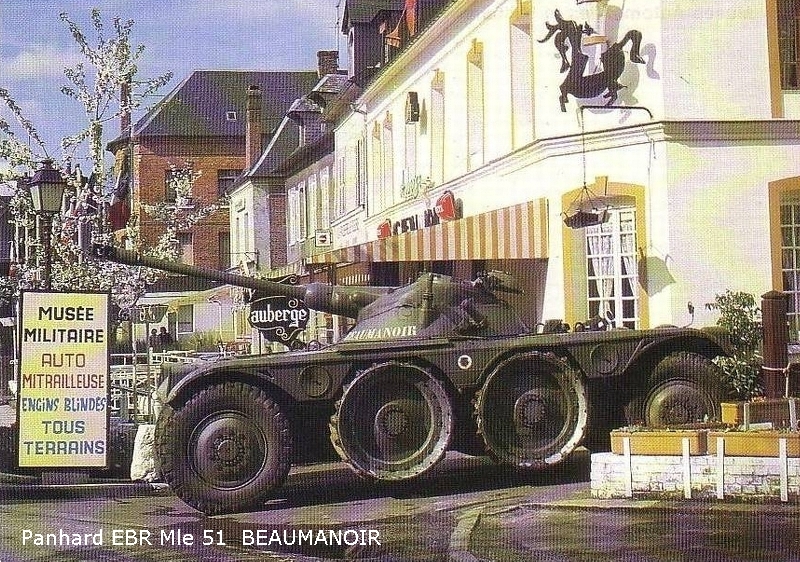 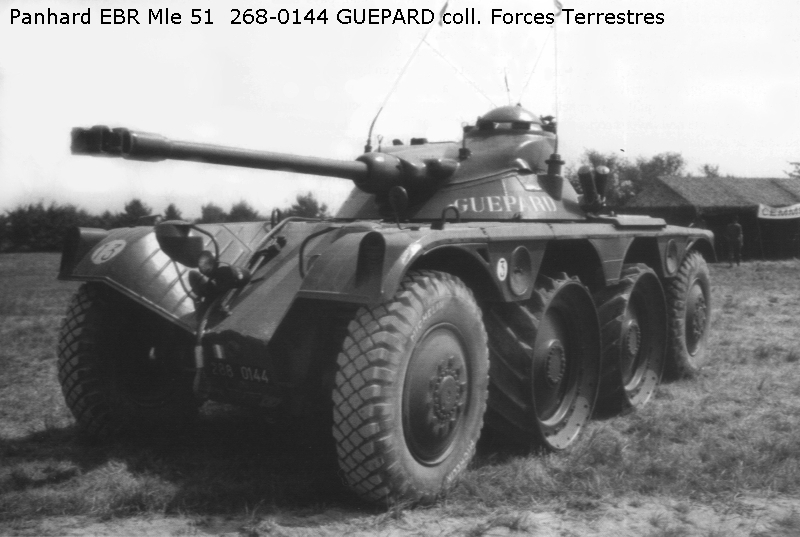 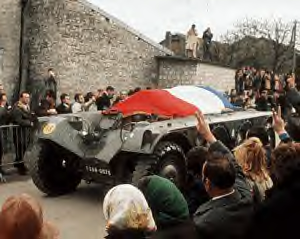 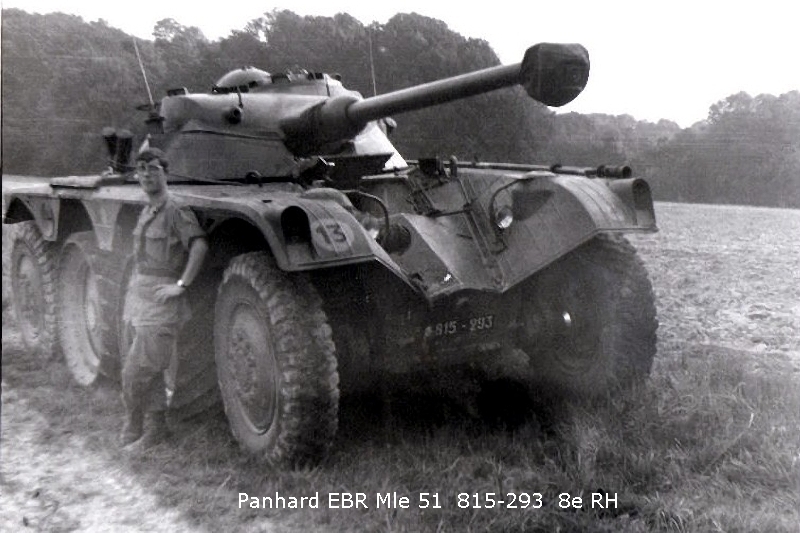 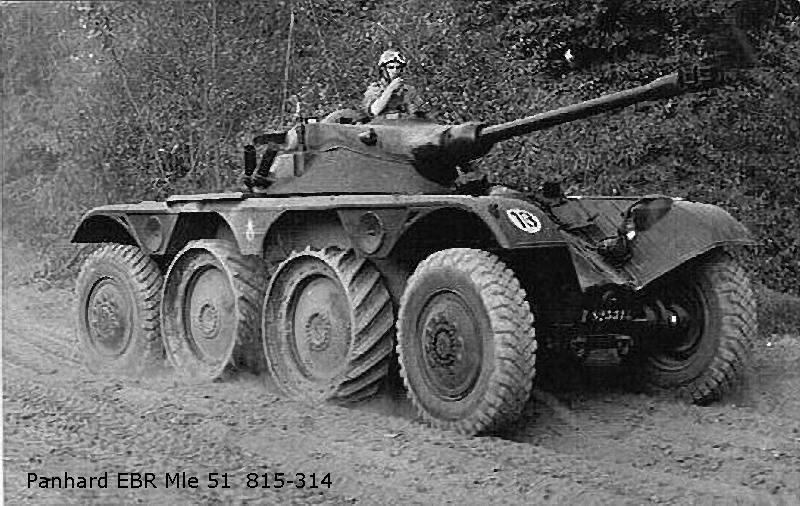 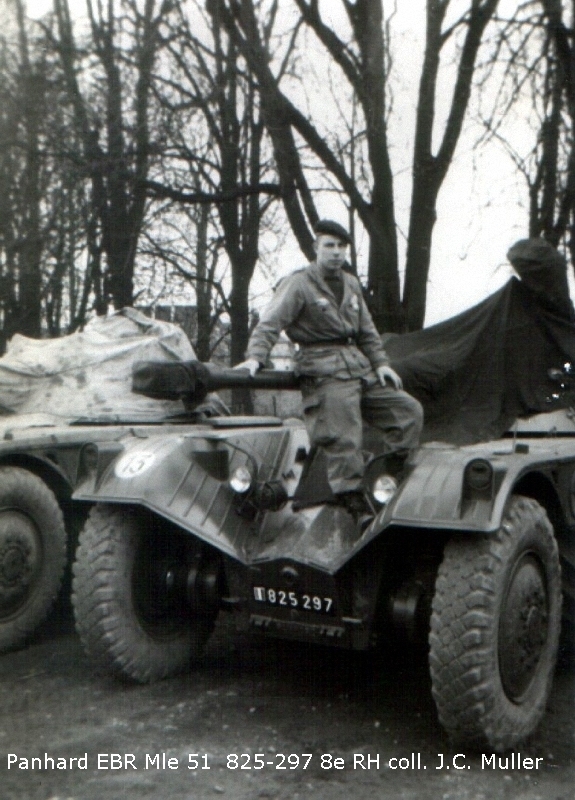 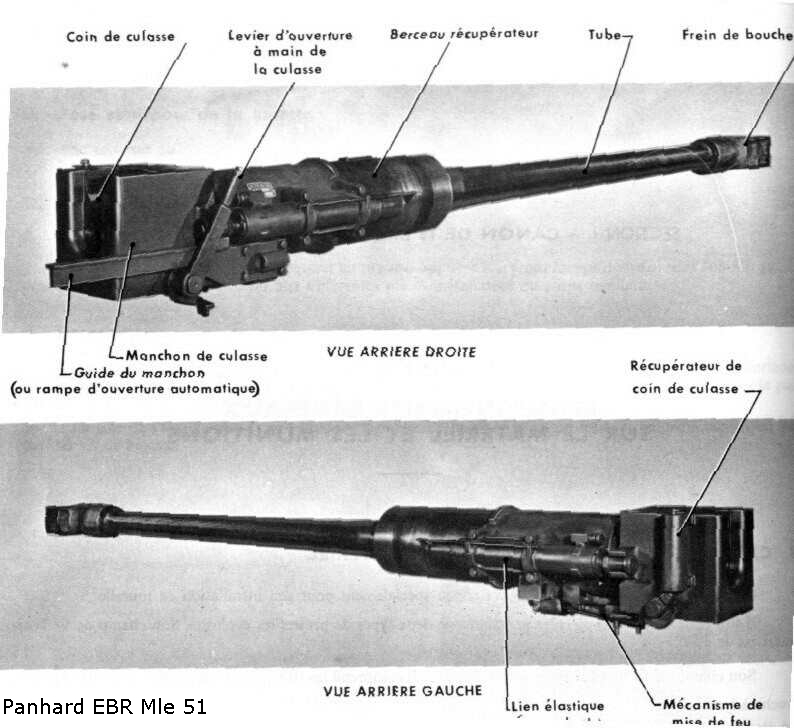 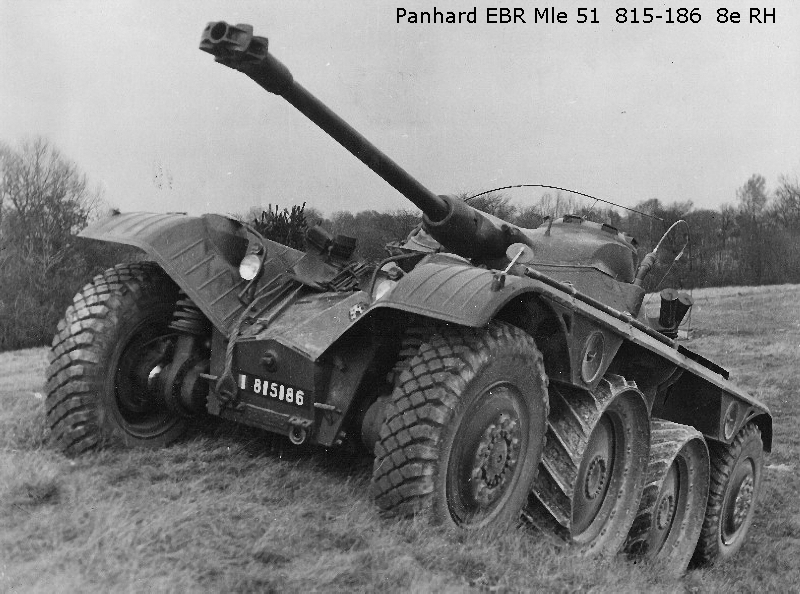 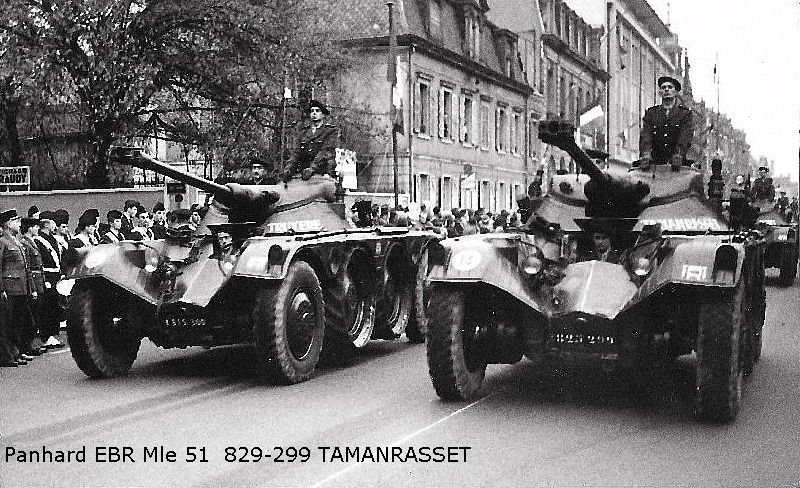 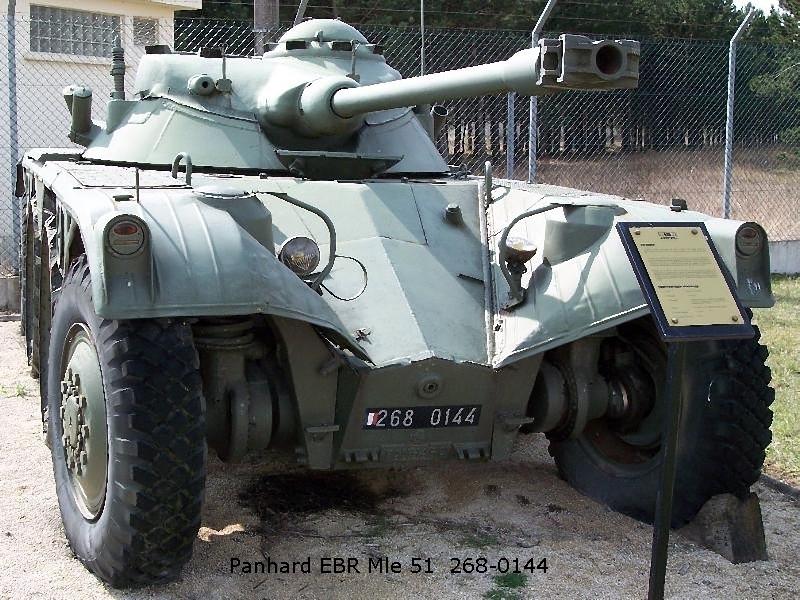 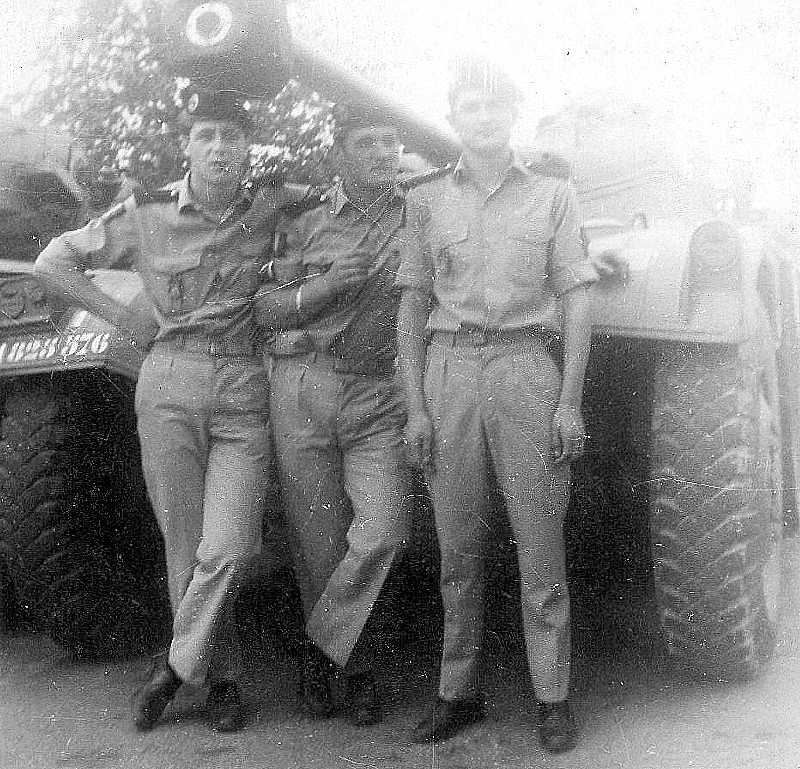 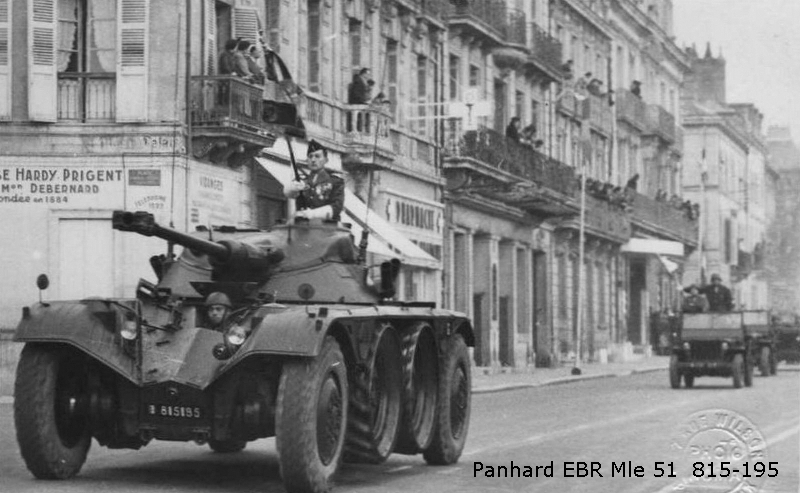 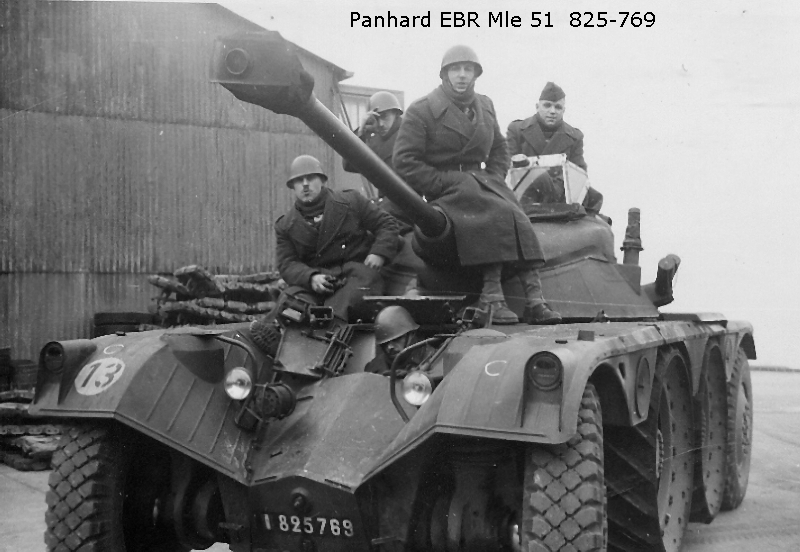 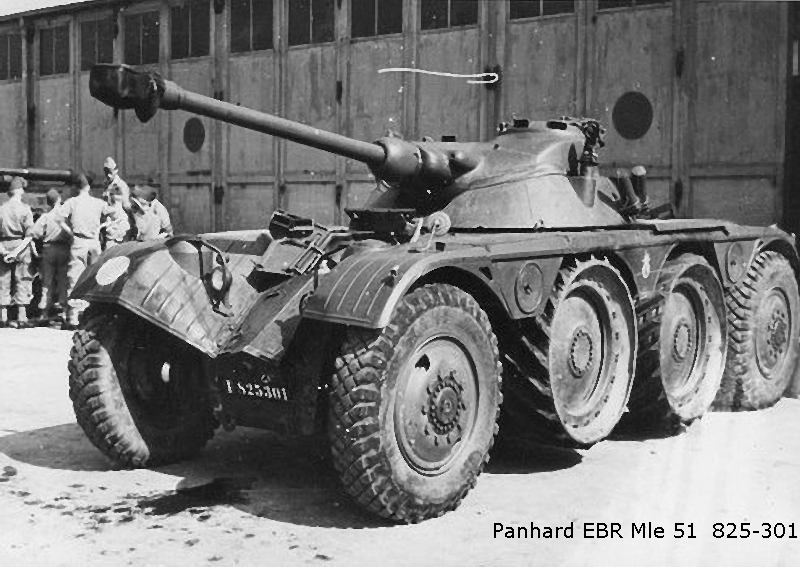 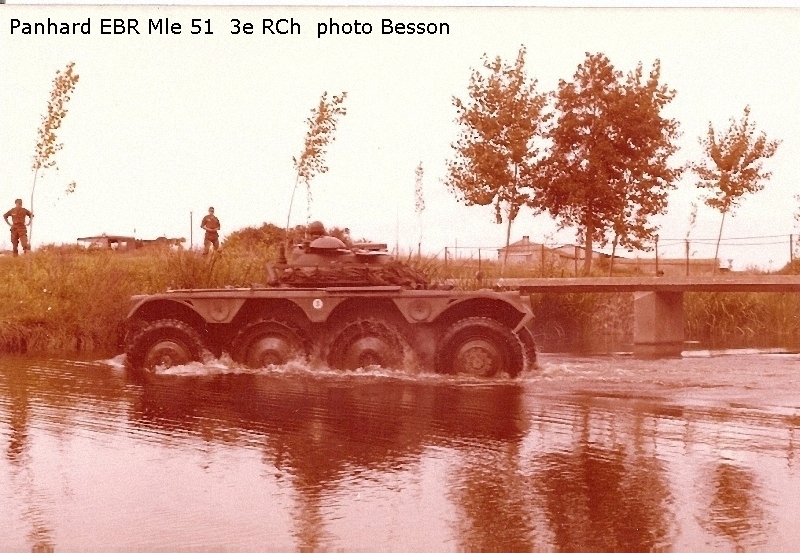 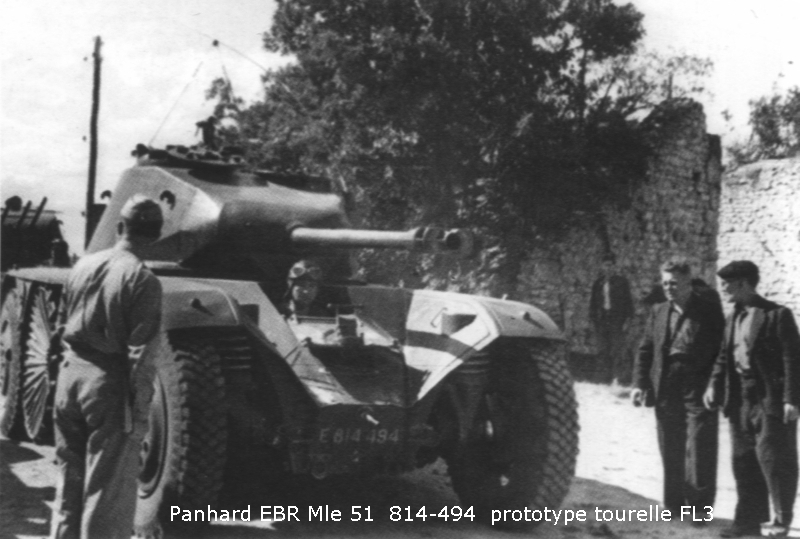 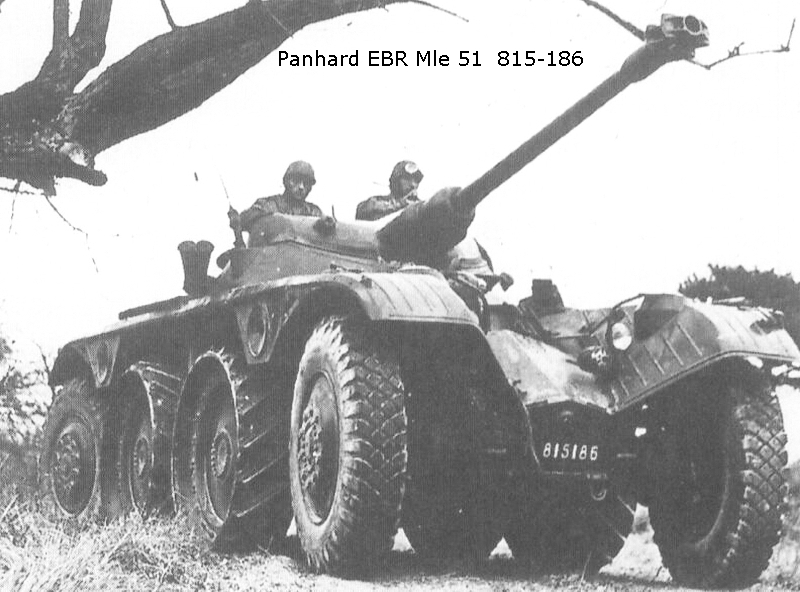 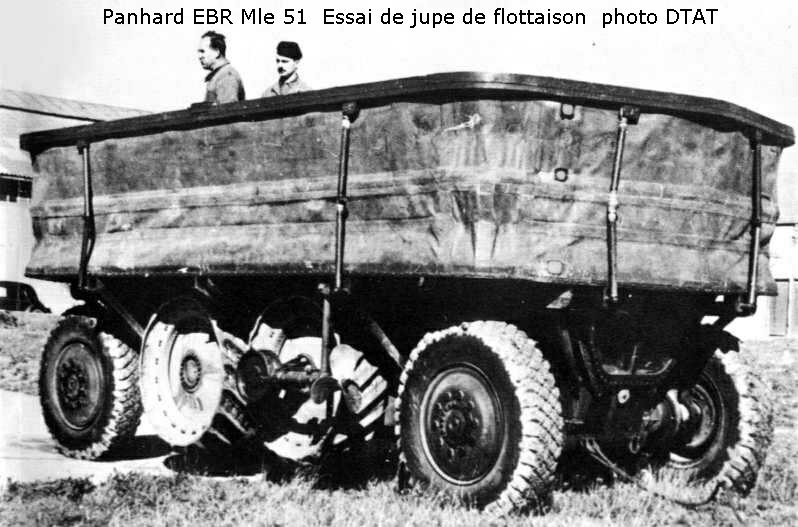 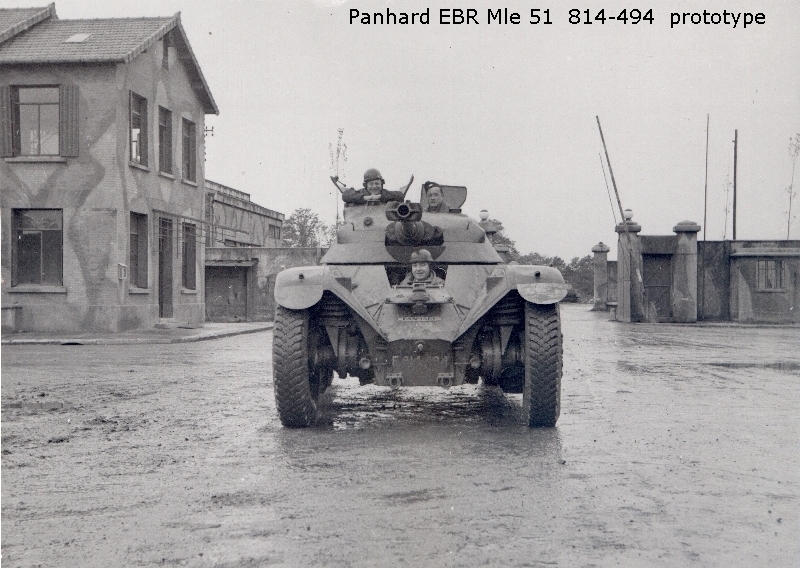 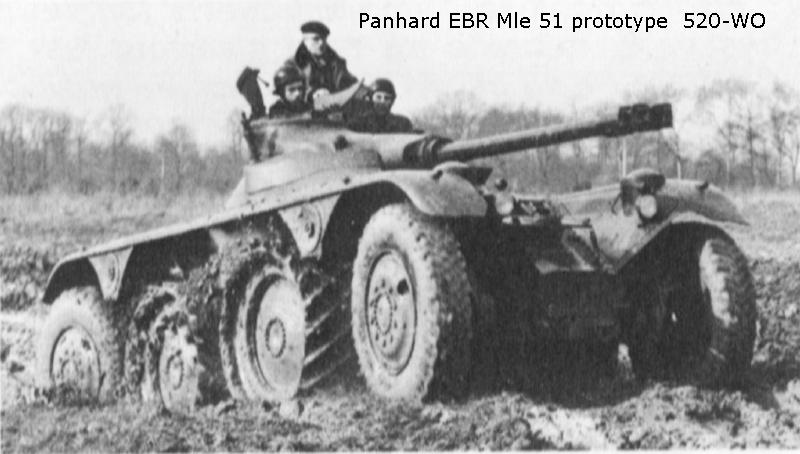 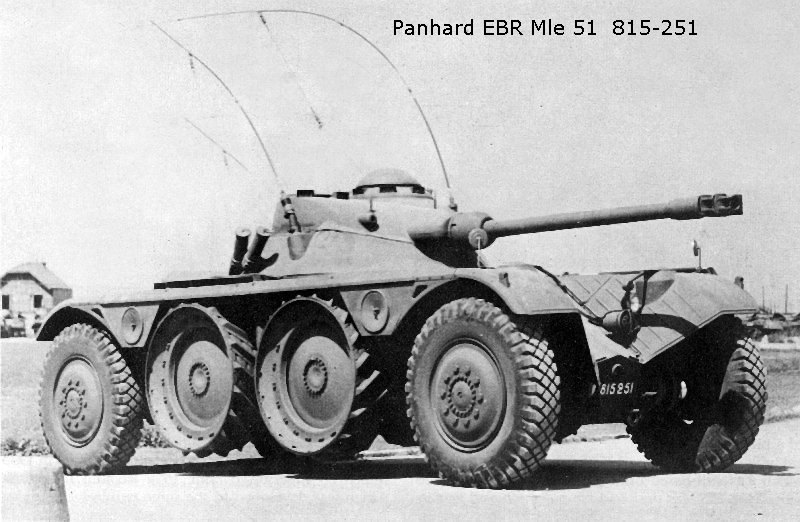 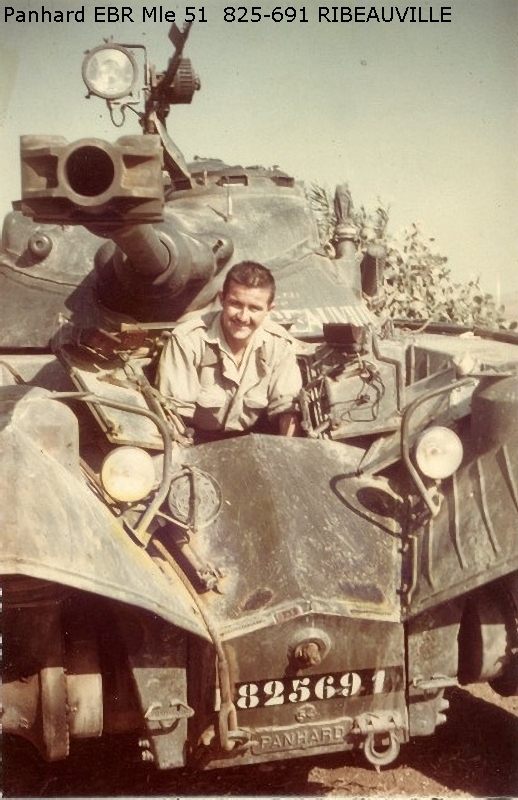 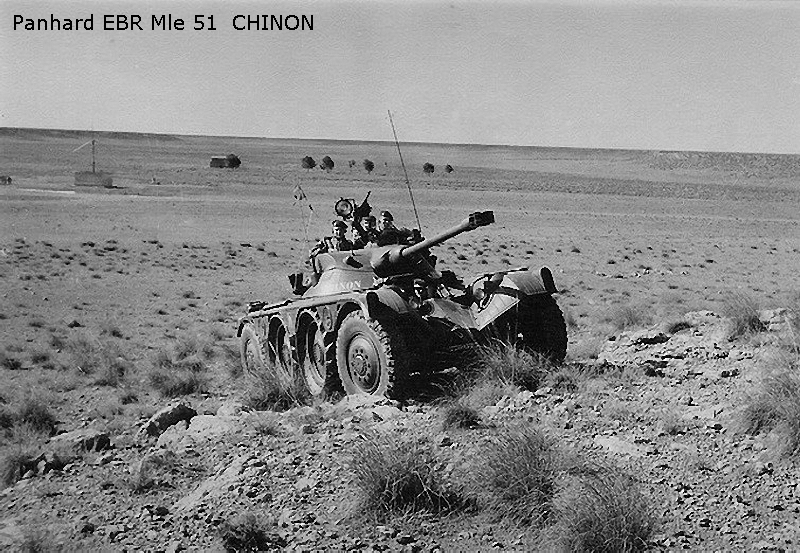 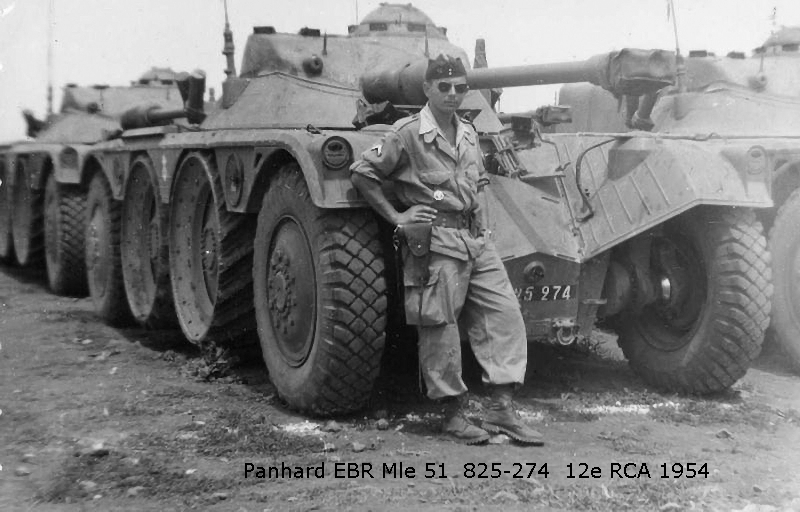 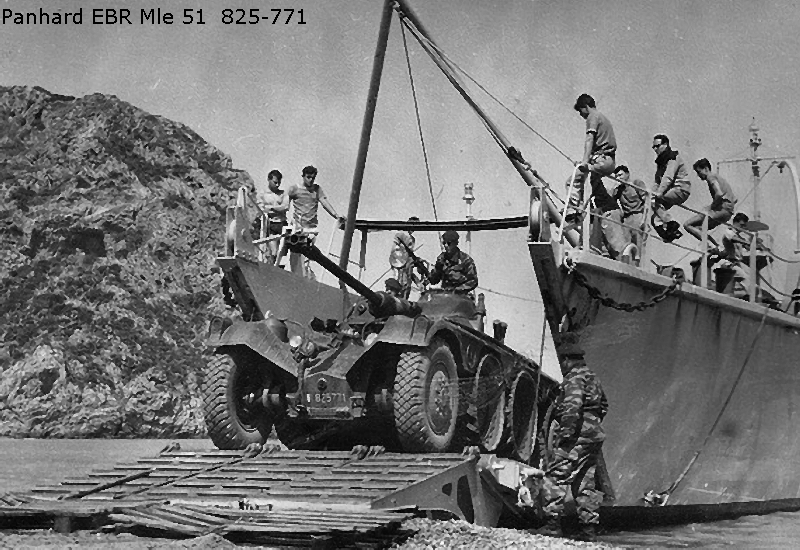 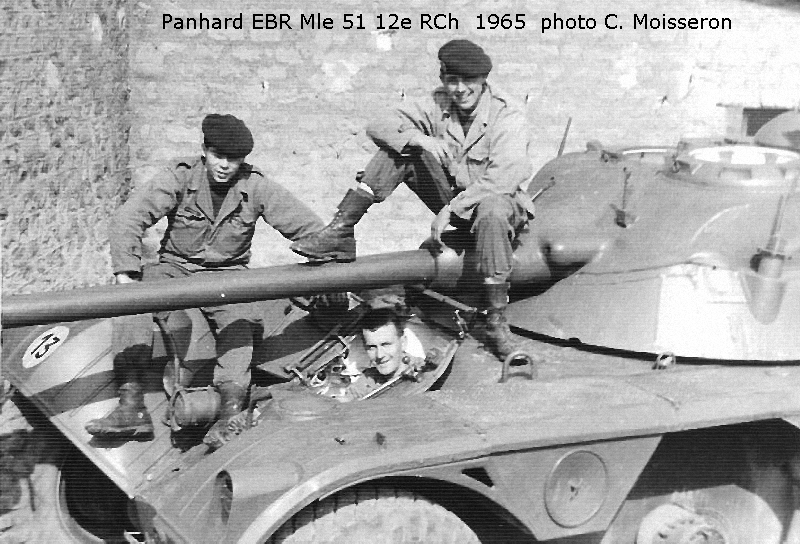 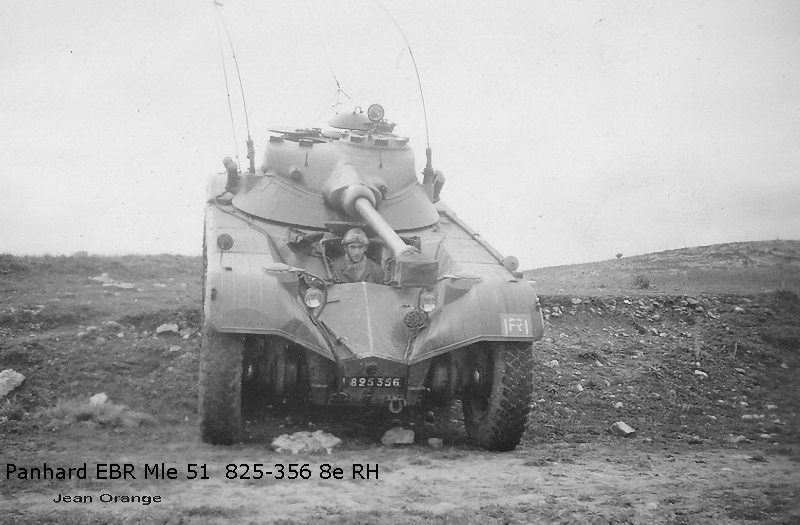 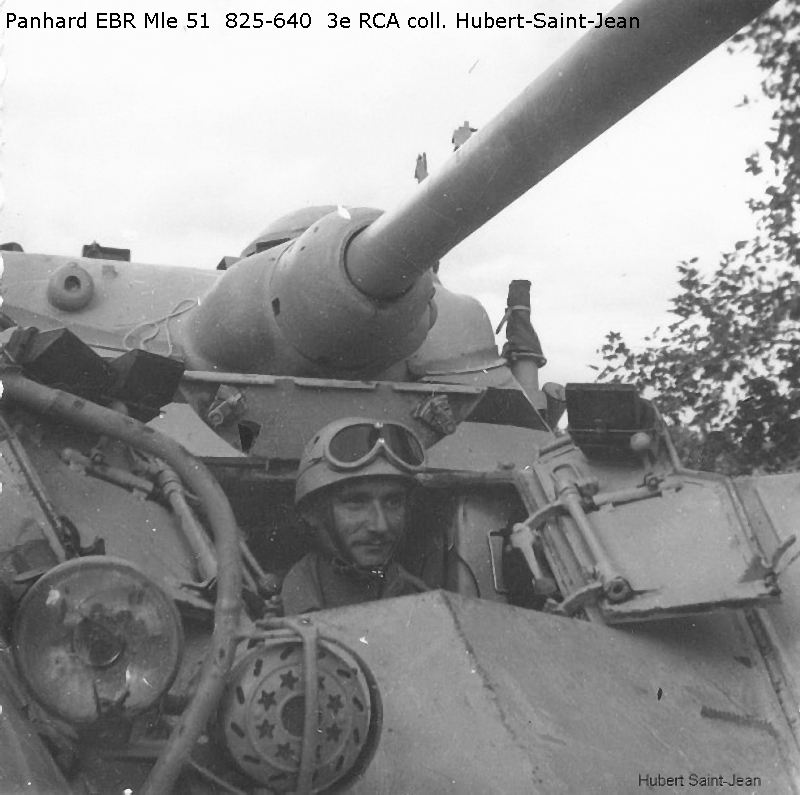 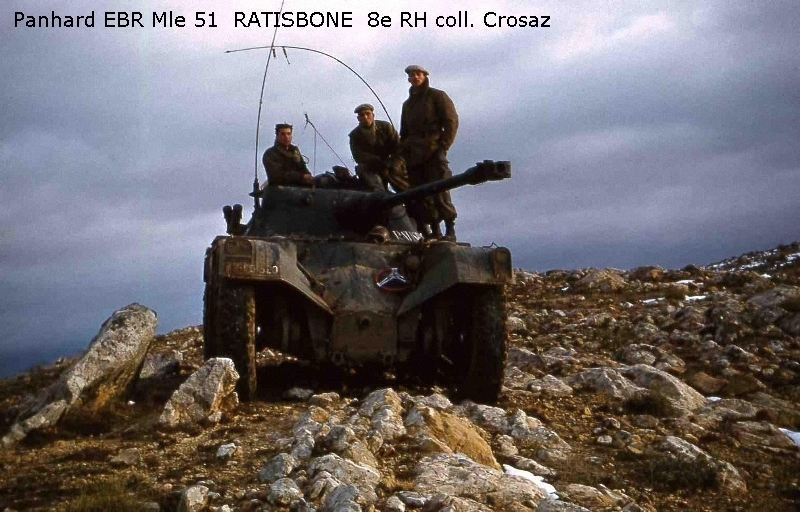 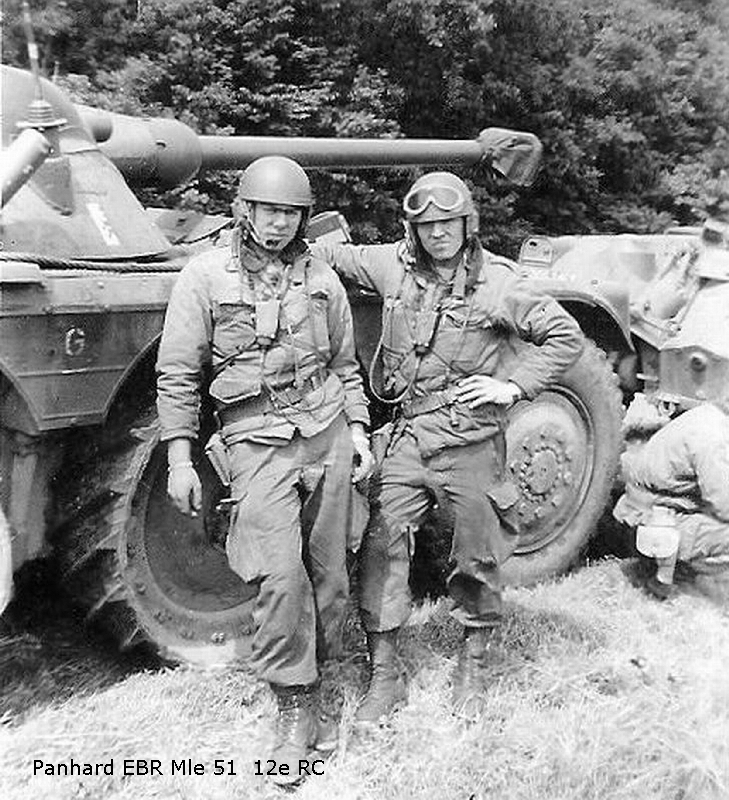 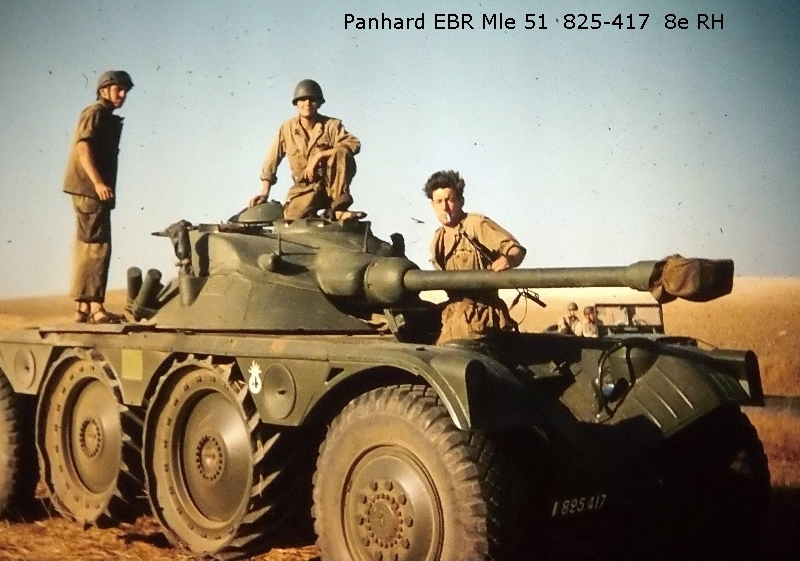 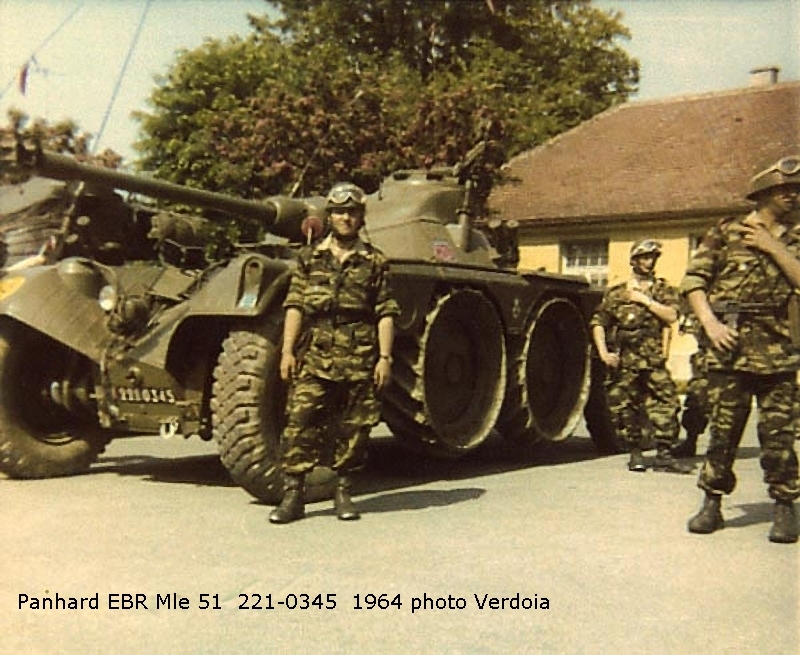 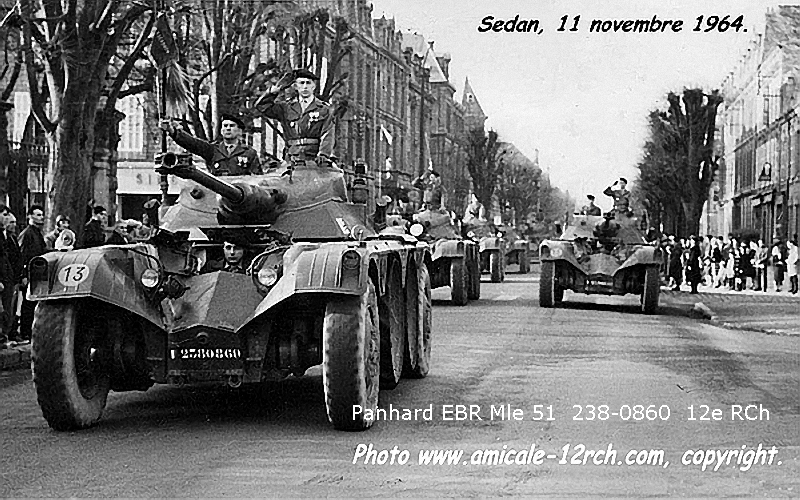 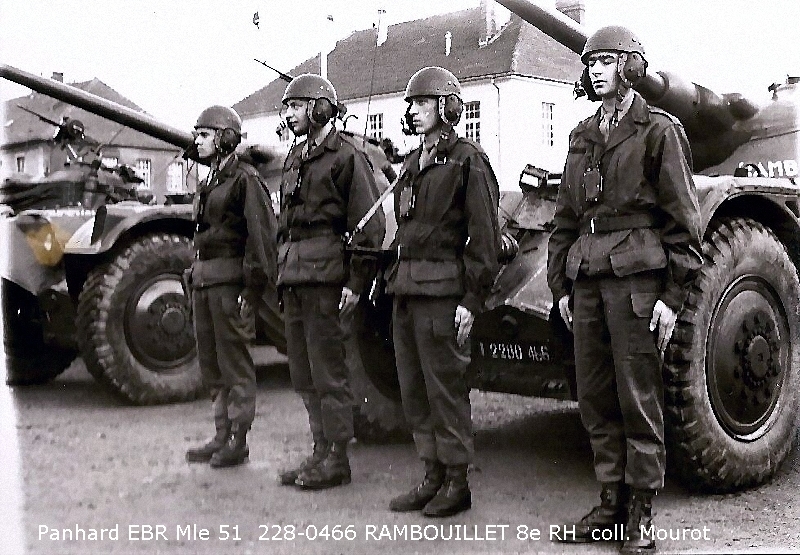 I’m back for another article translation from chars-francais.net, today’s about the EBR Panhard modèle 51. 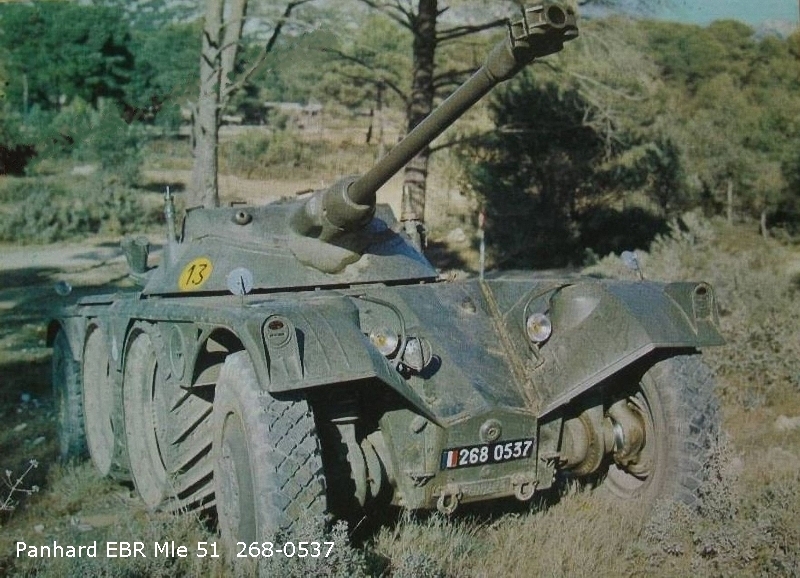 For the eventual new readers, these articles are aiming to highlight some vehicles which aren’t covered by WoT (yet), so in other words, vehicles of which not everyone is aware of. 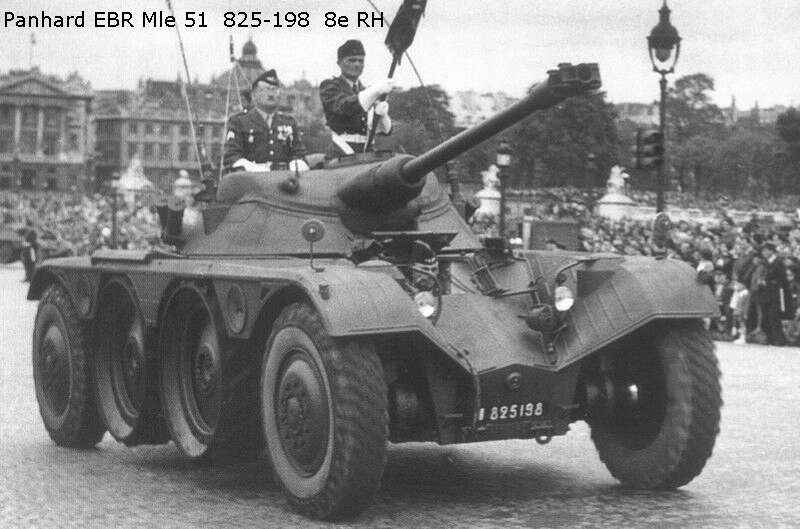 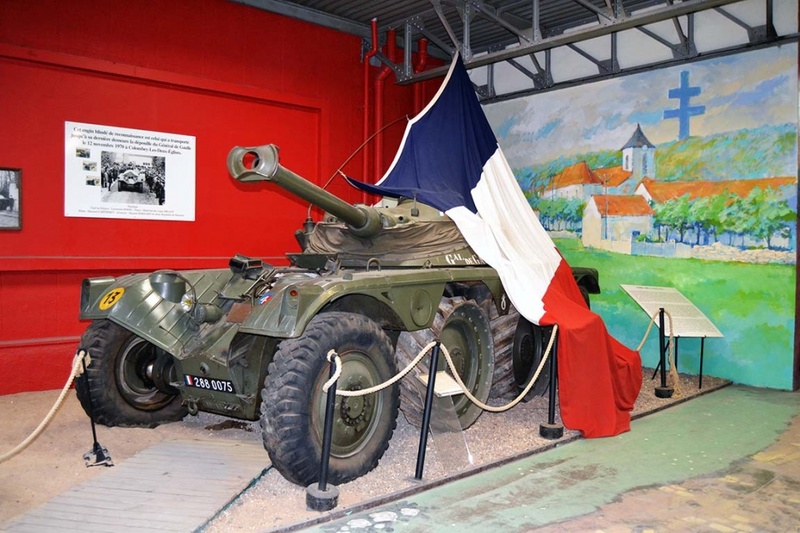 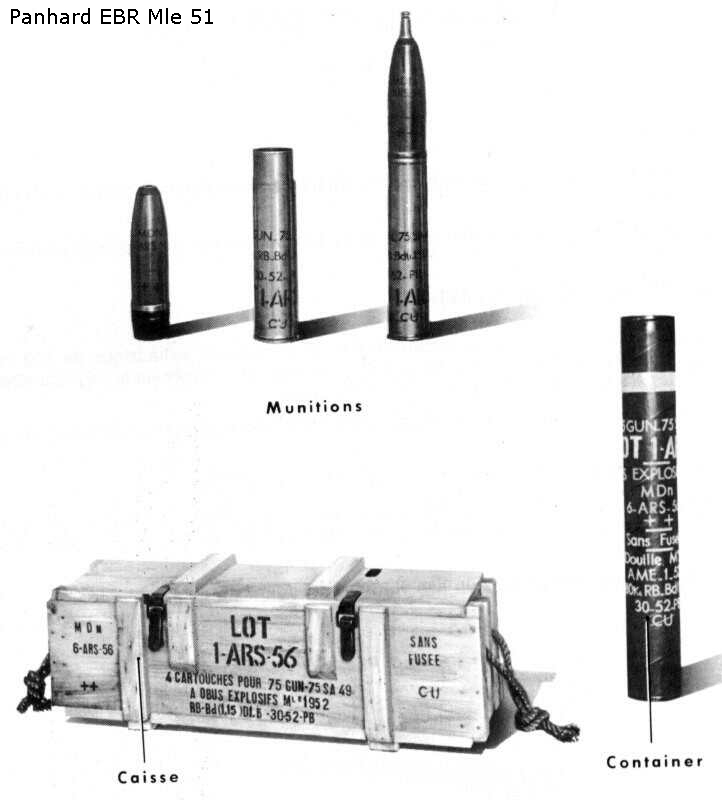 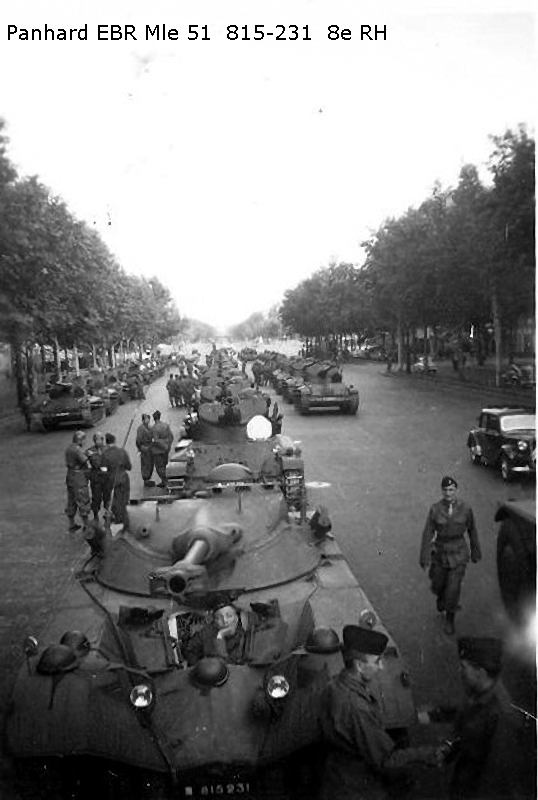 The 201 model from 1940 couldn’t be mass-produced because of the events (France being occupied by Germany, Germany imposing that all French tank factories would stop production). 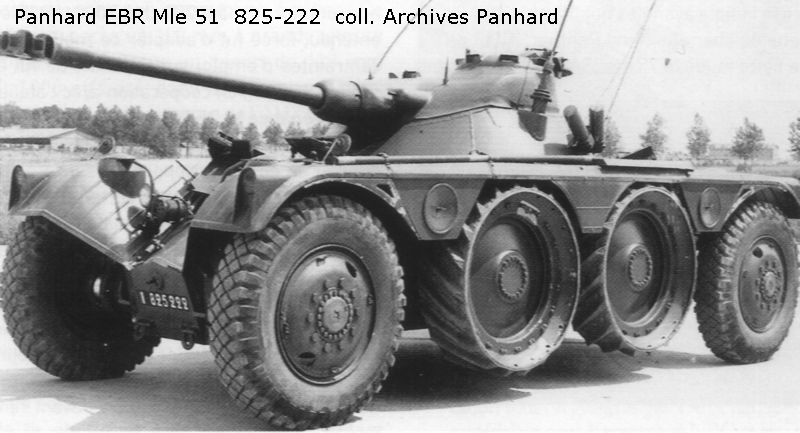 As a result, after the war, Panhard studied a bigger model, the 212. 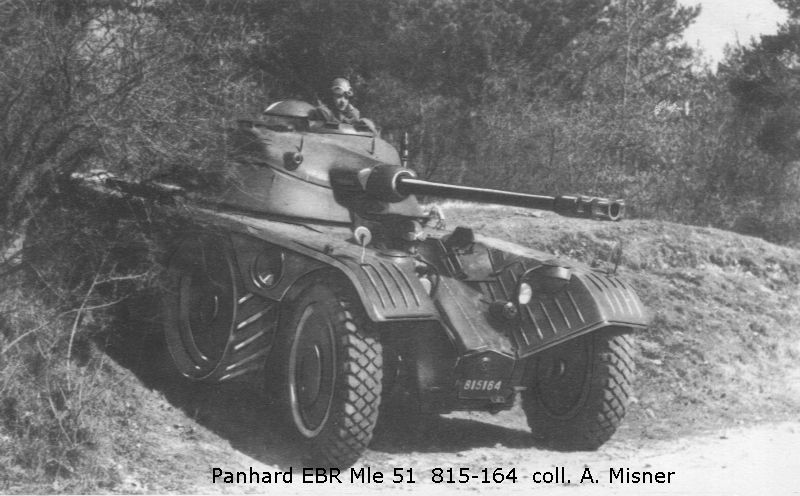 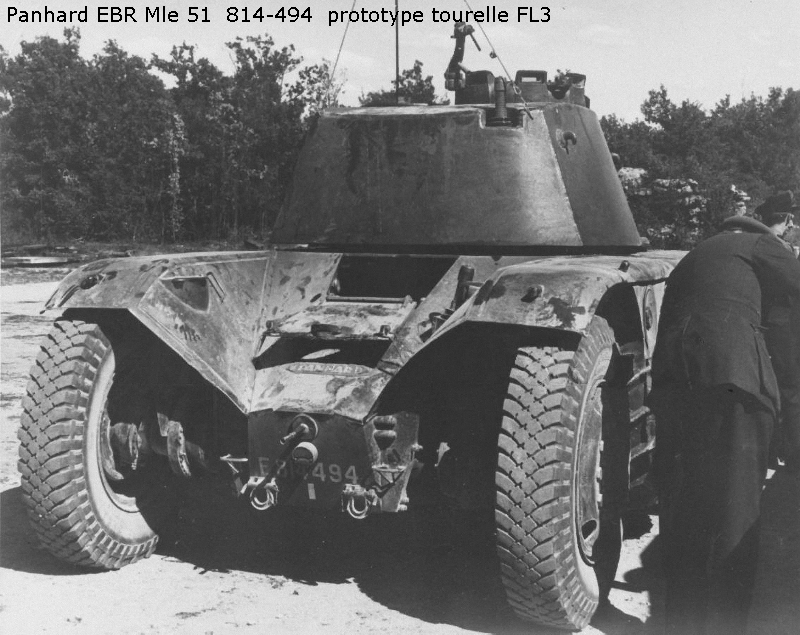 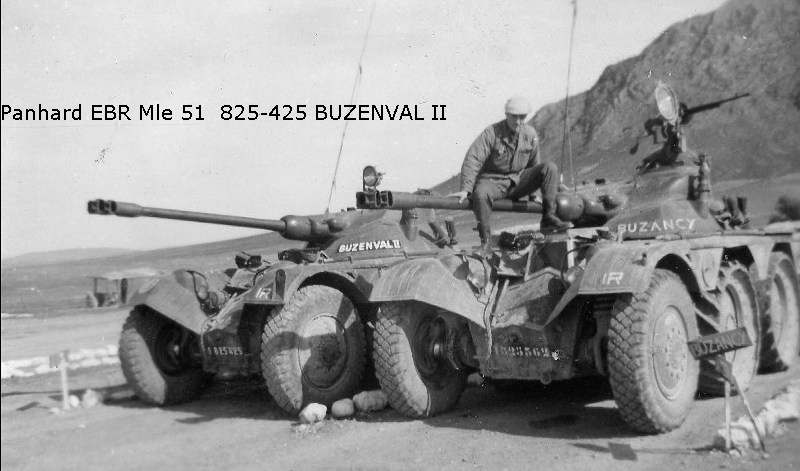 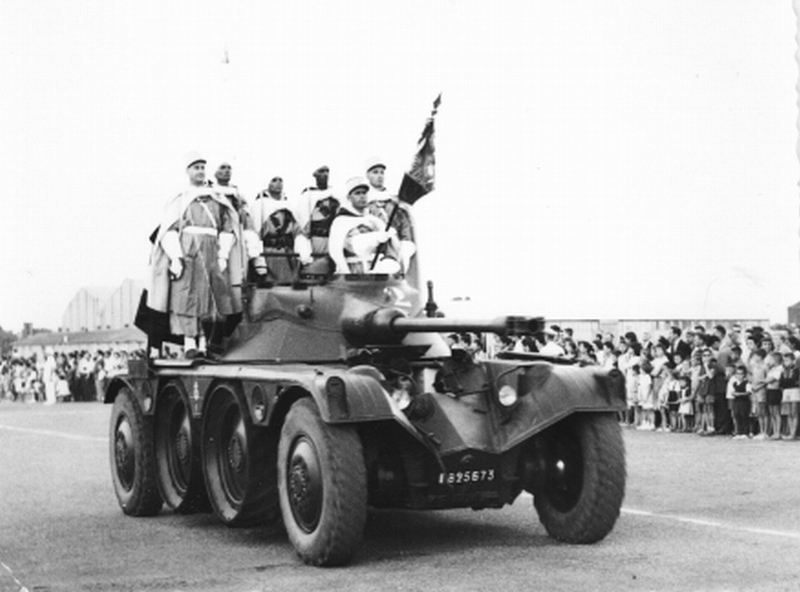 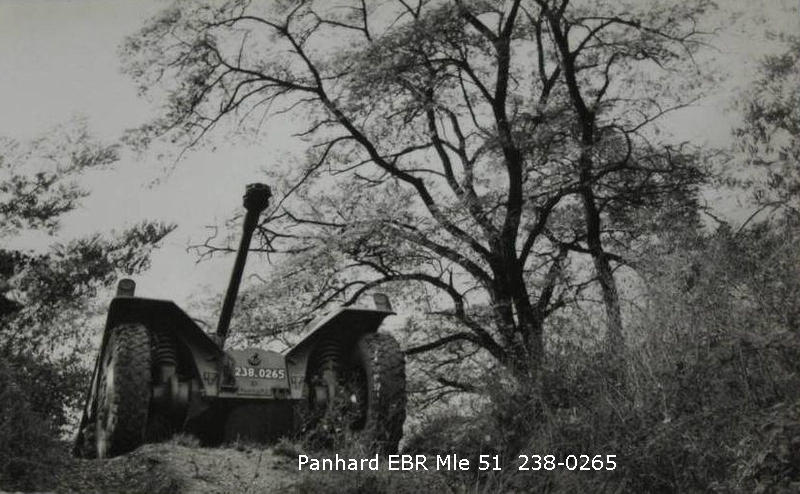 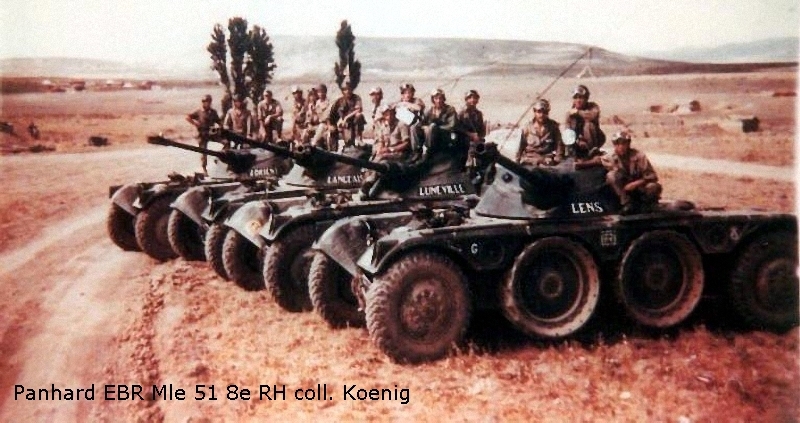 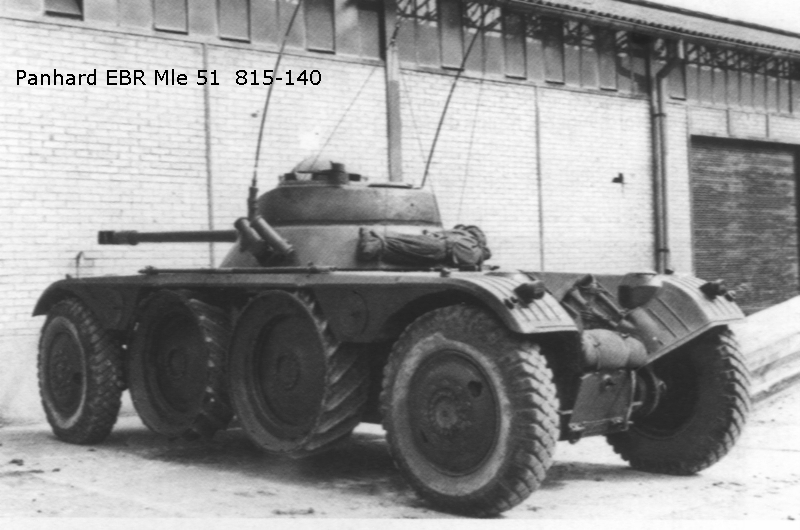 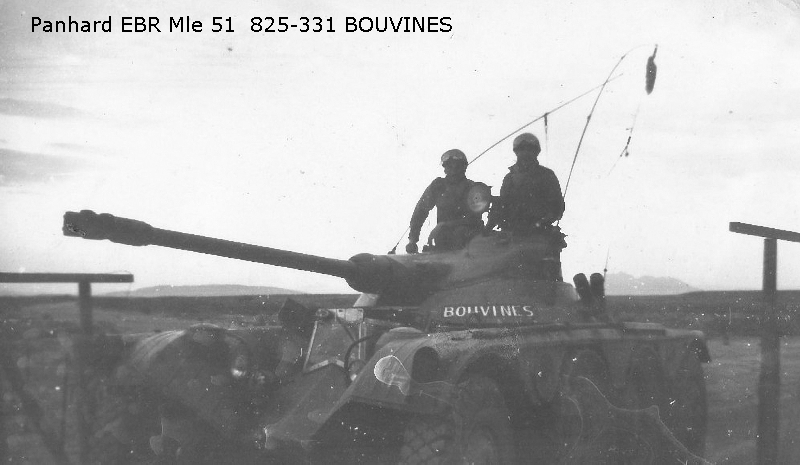 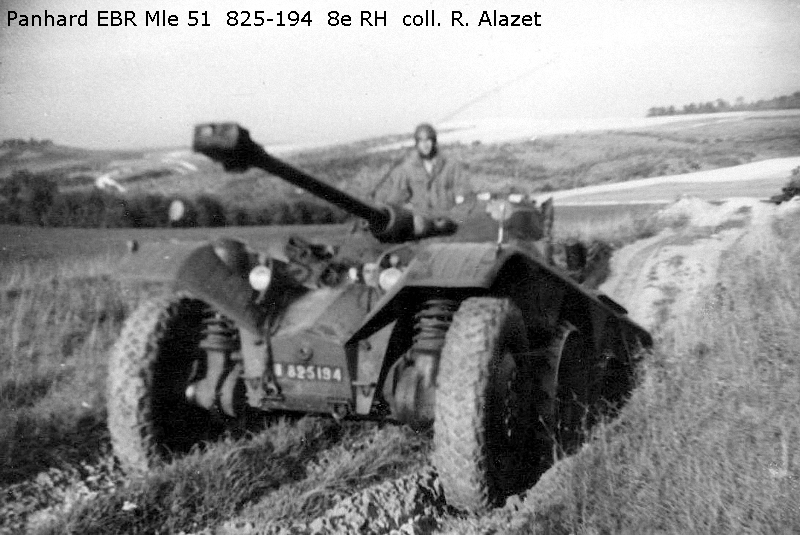 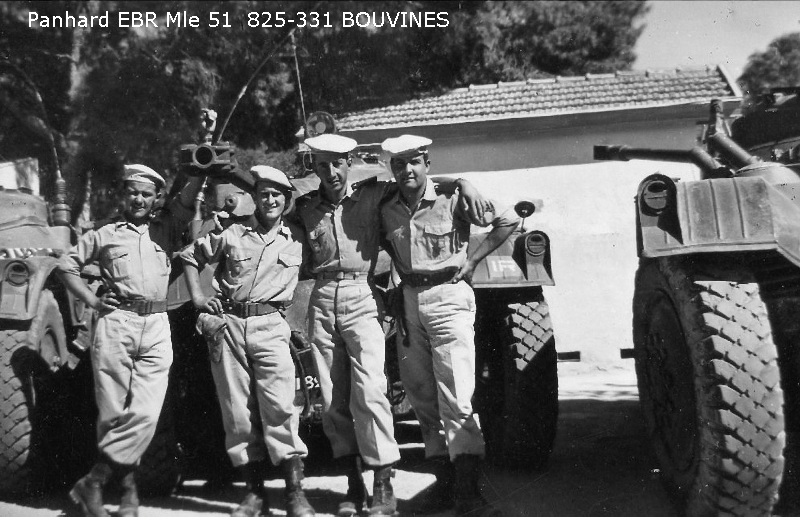 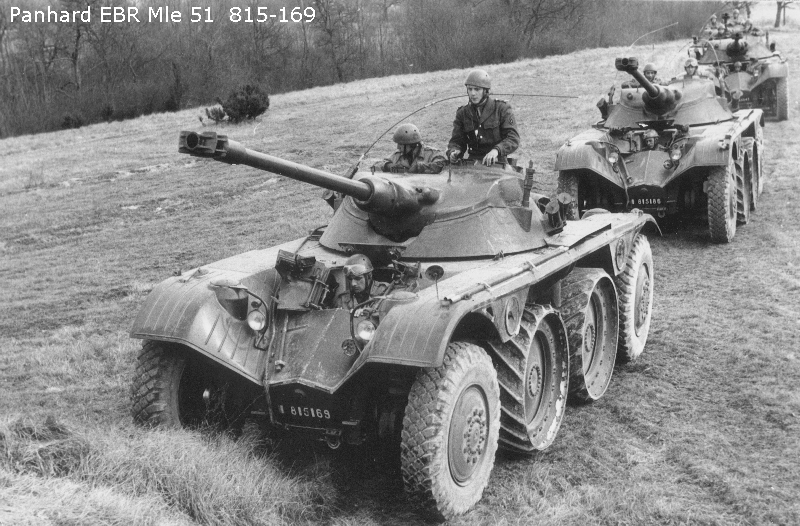 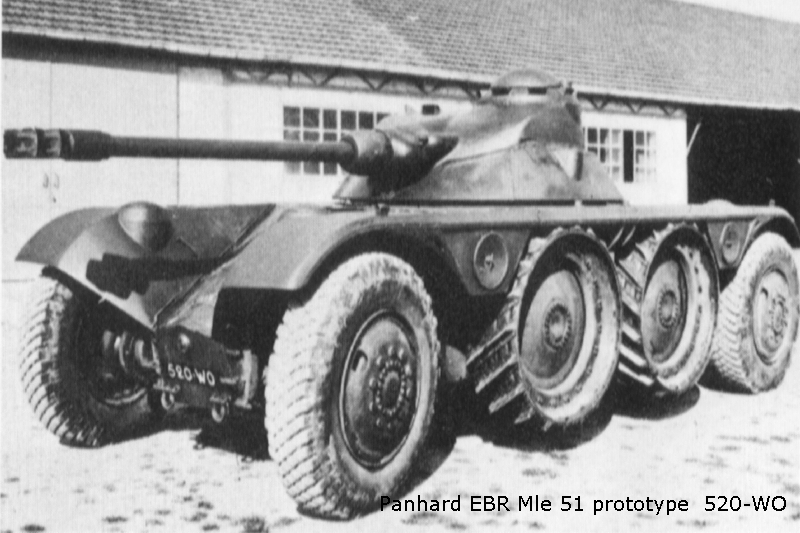 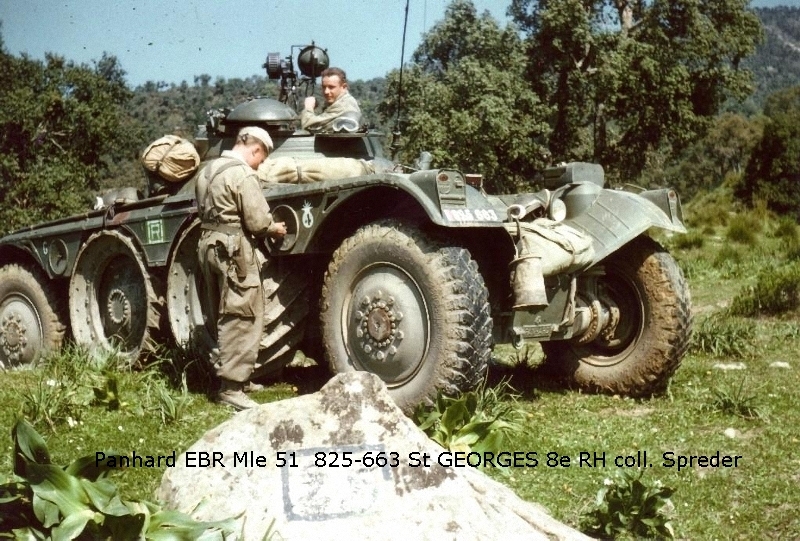 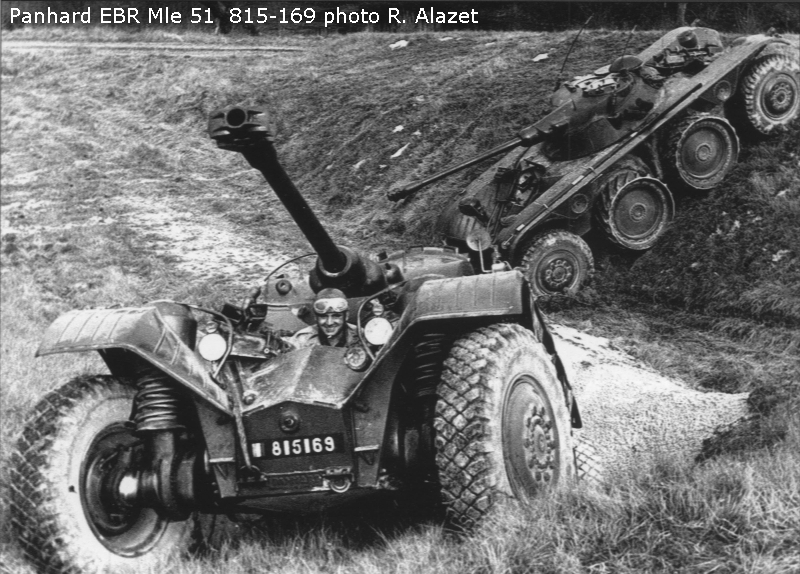 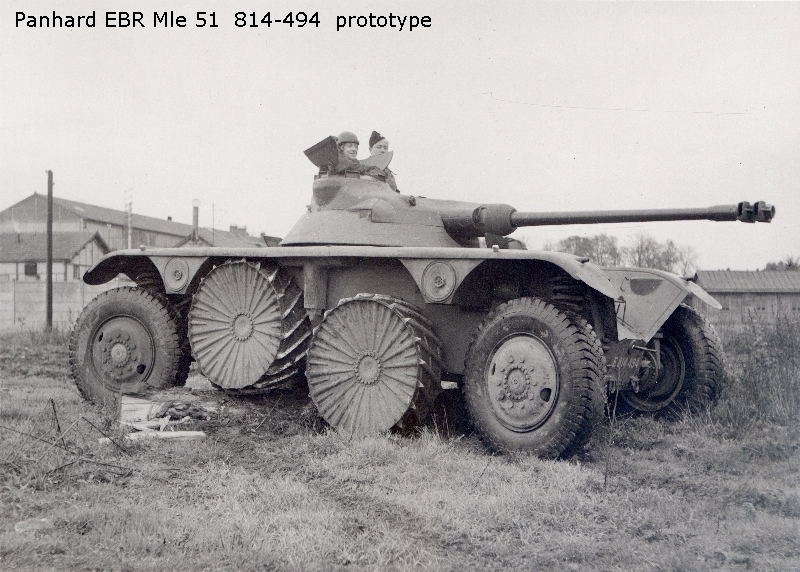 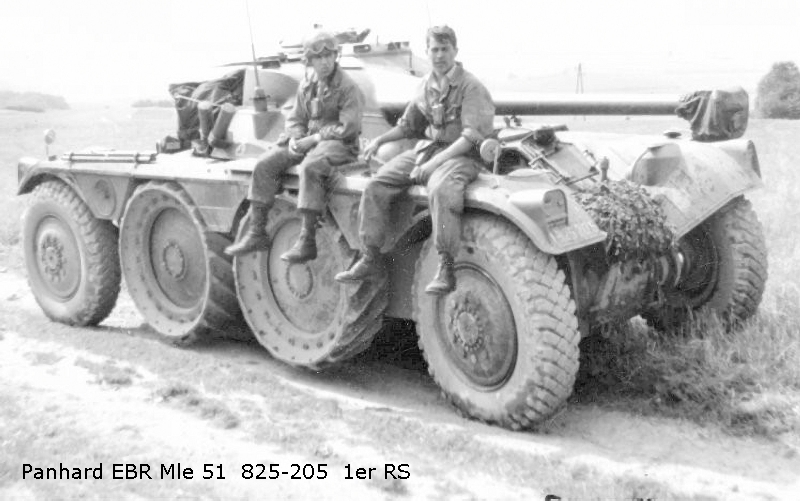 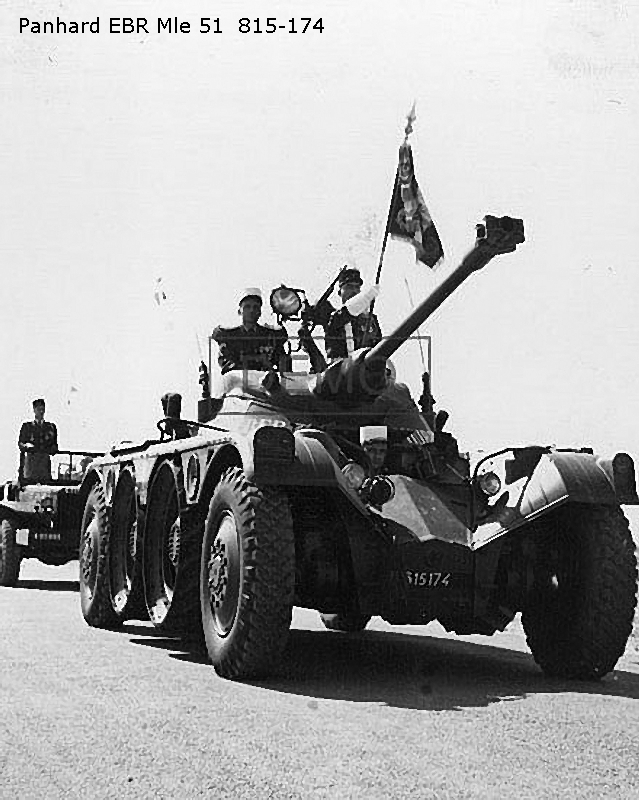 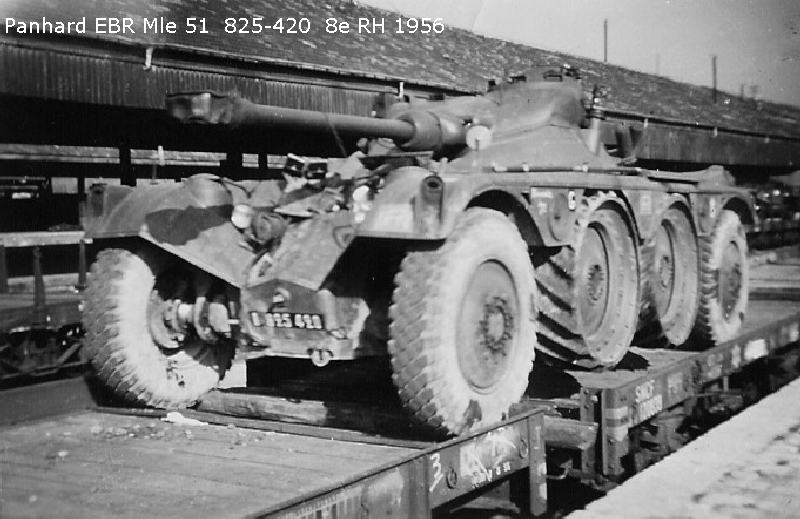 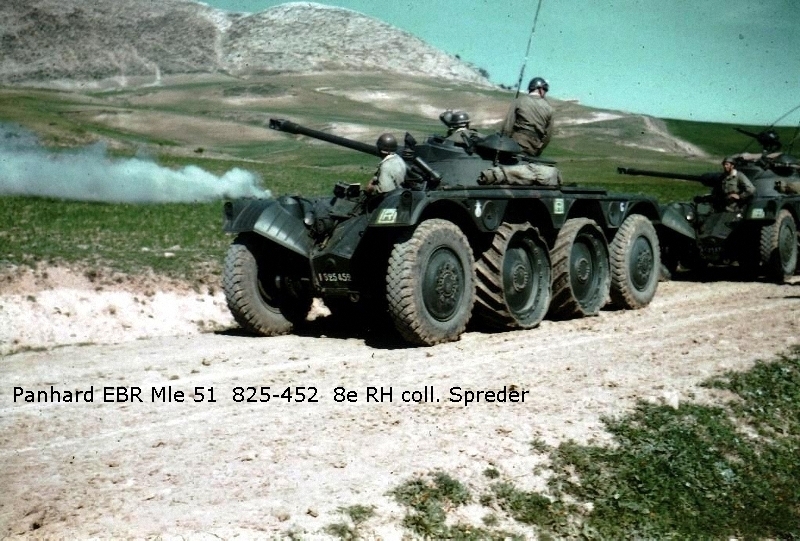 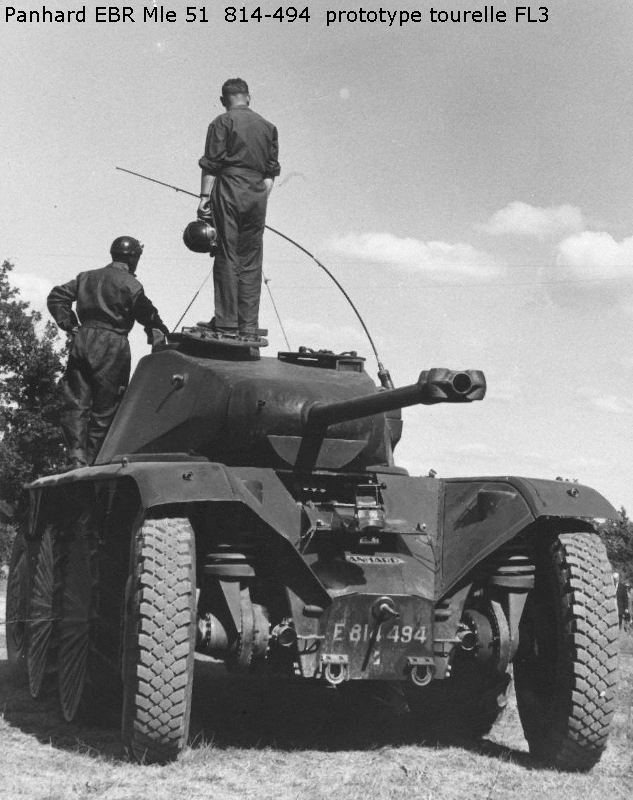 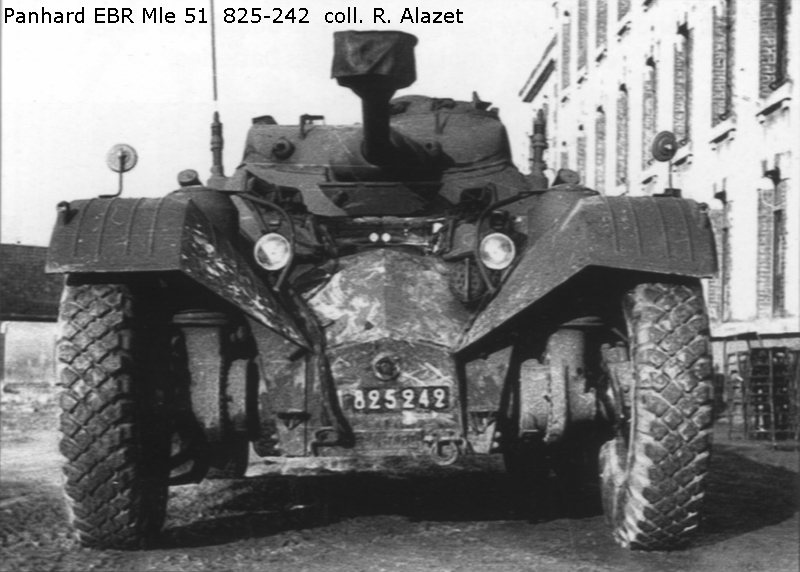 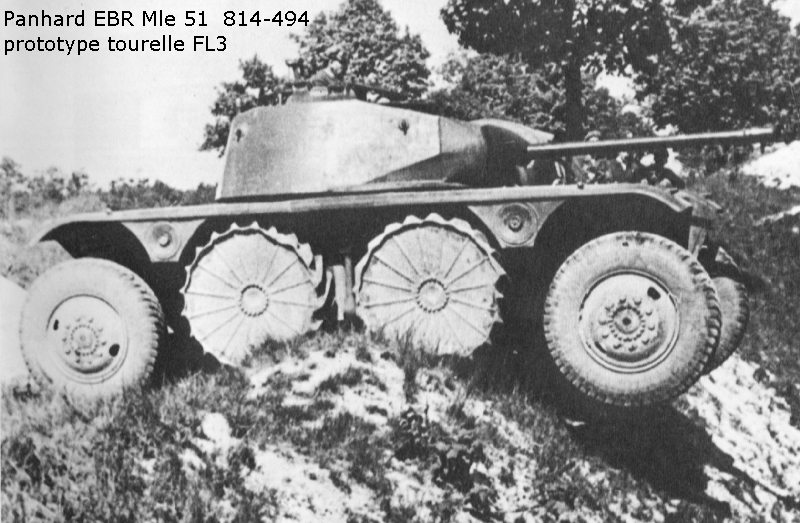 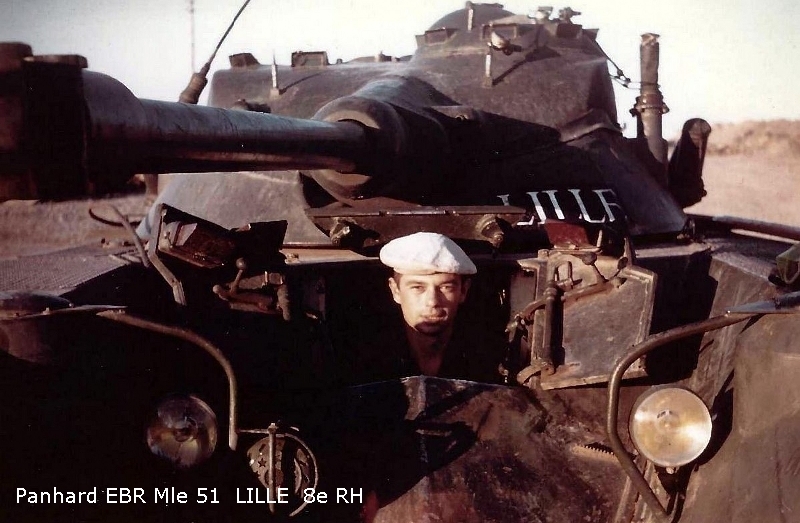 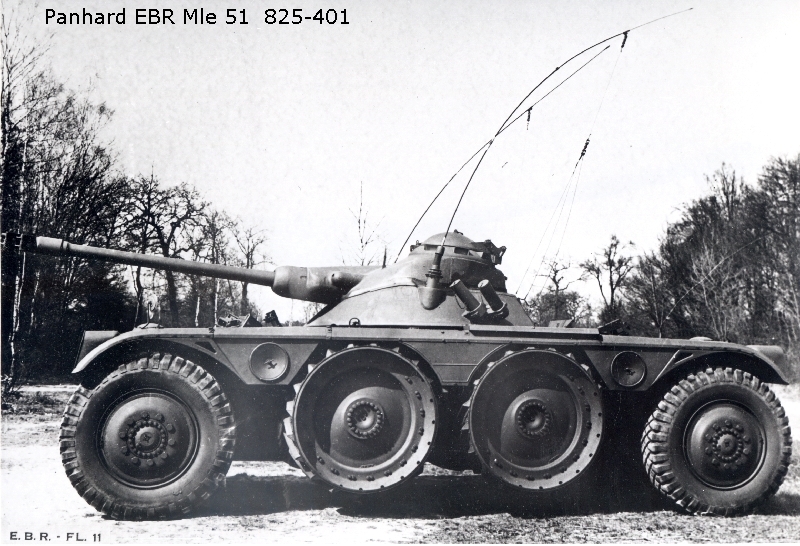 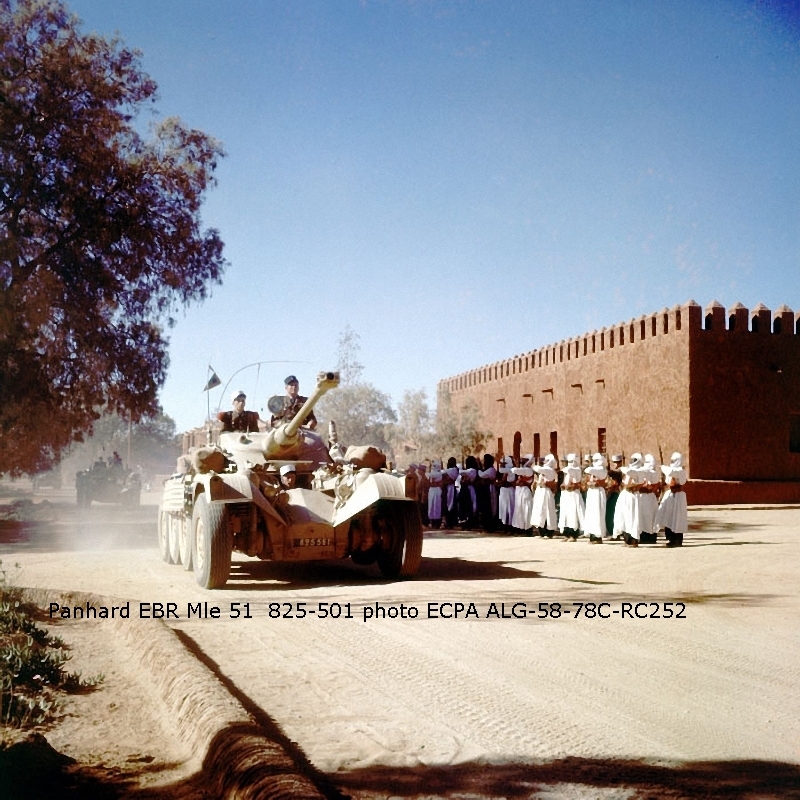 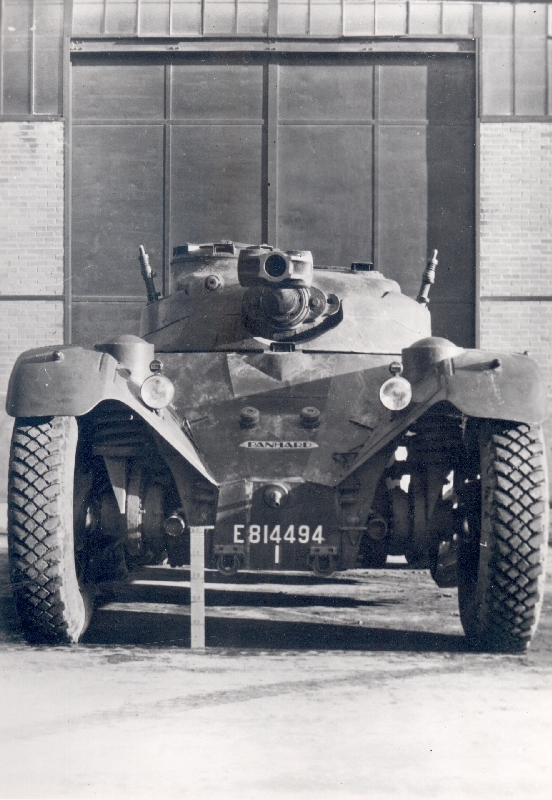 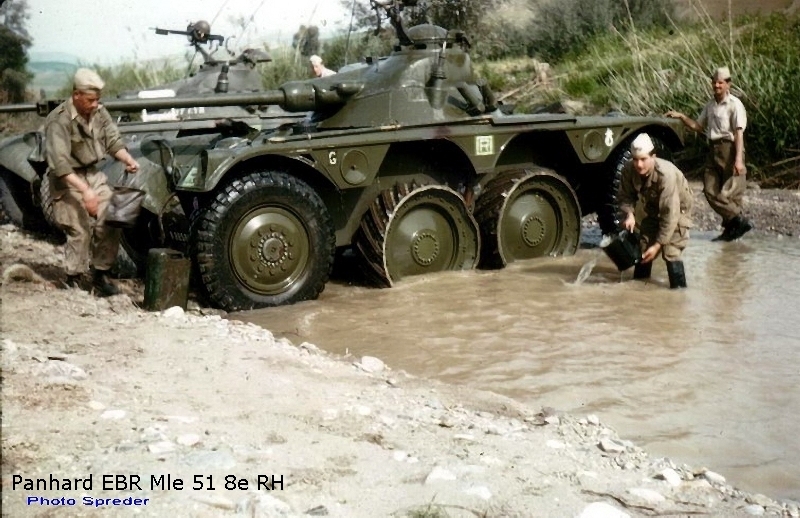 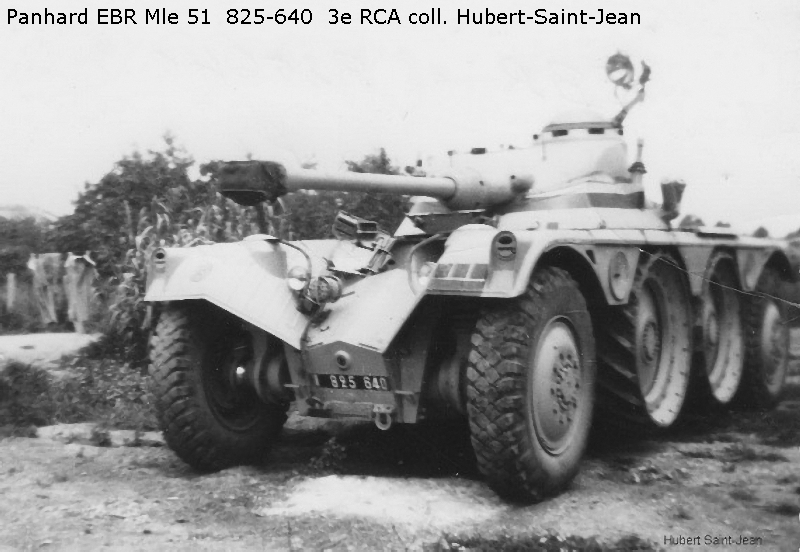 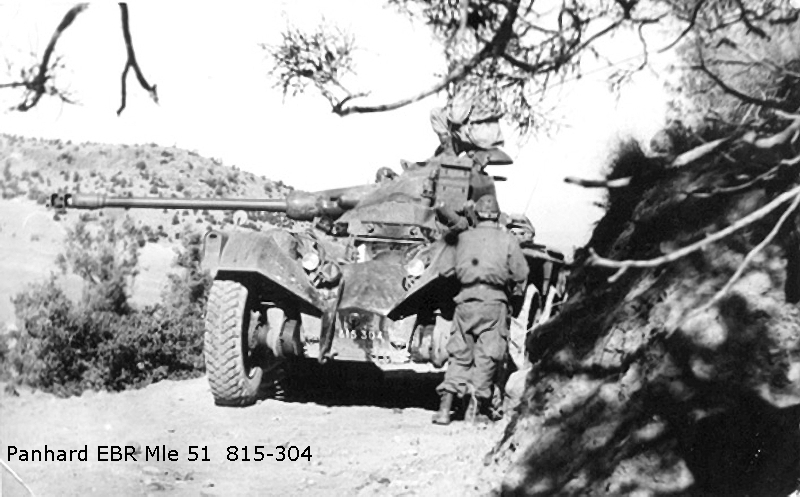 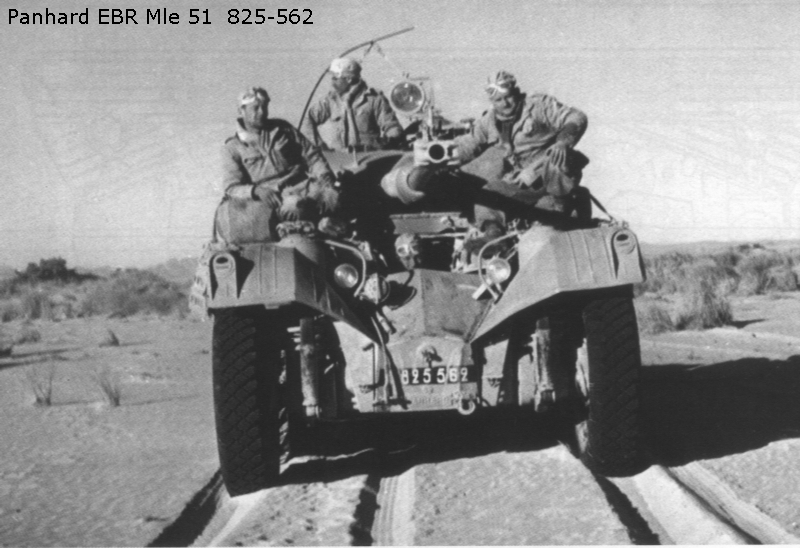 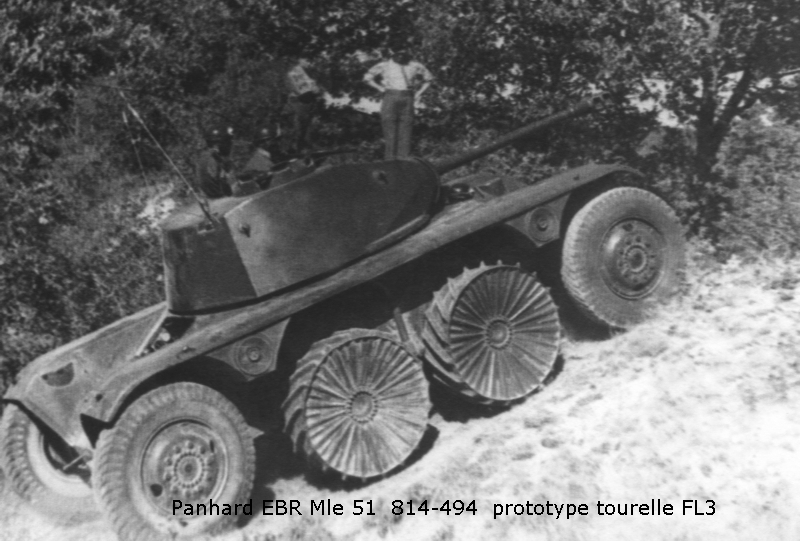 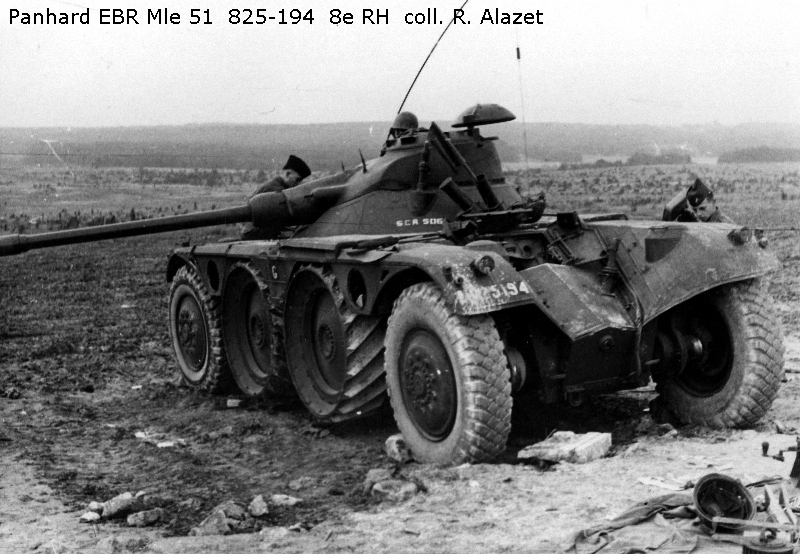 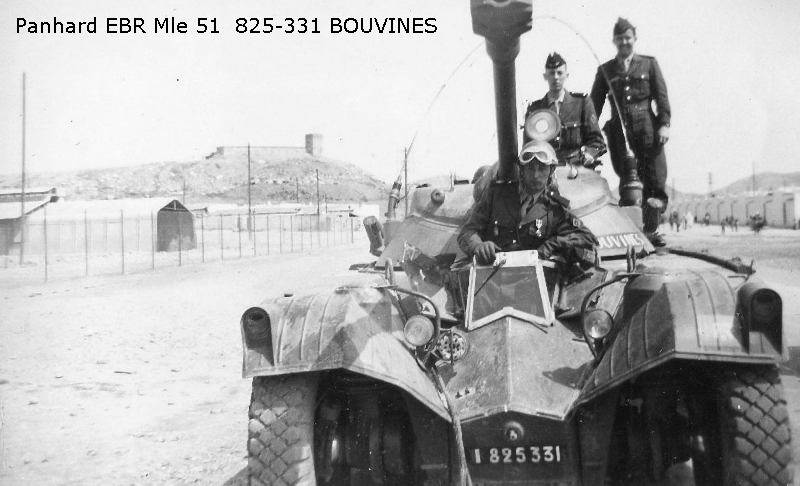 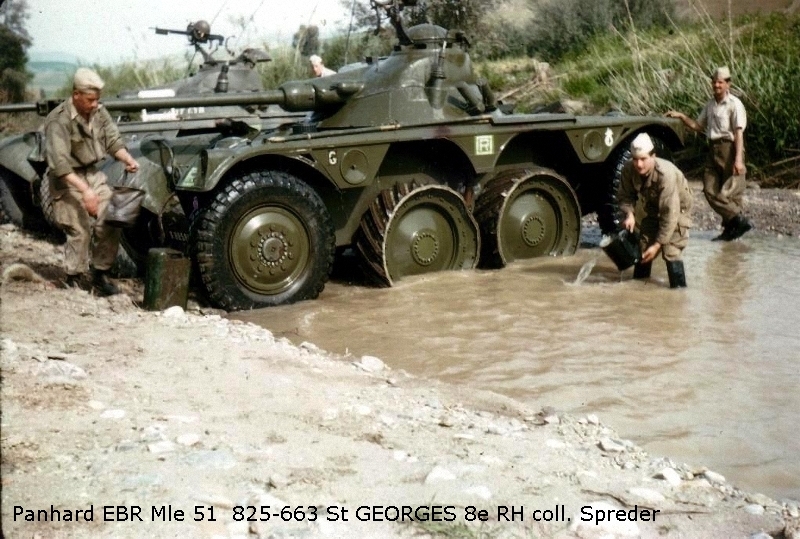 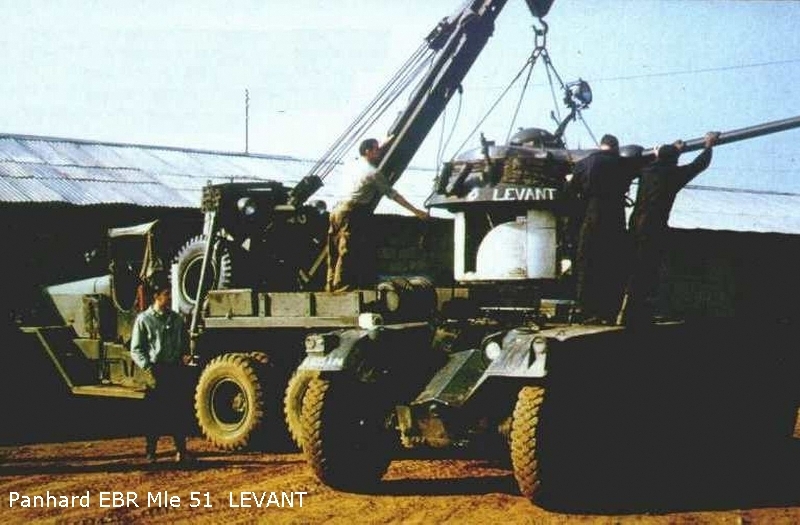 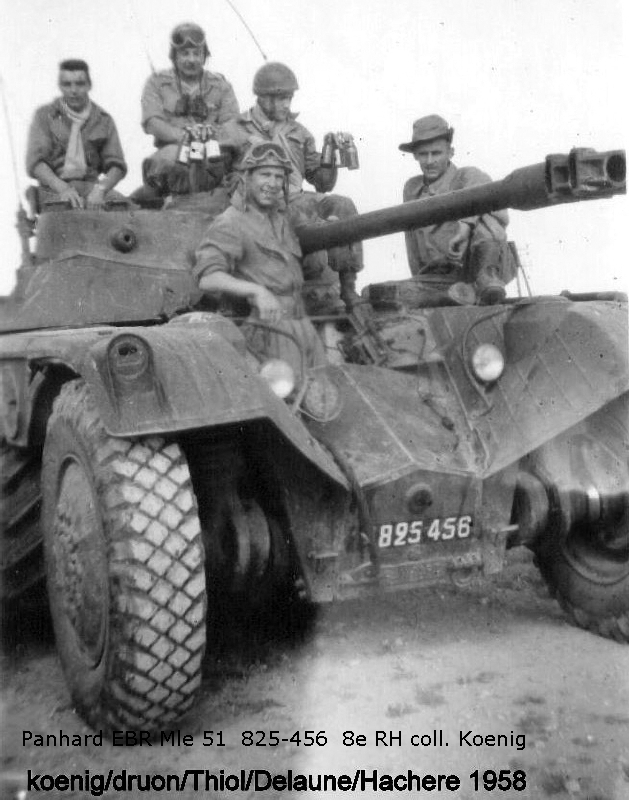 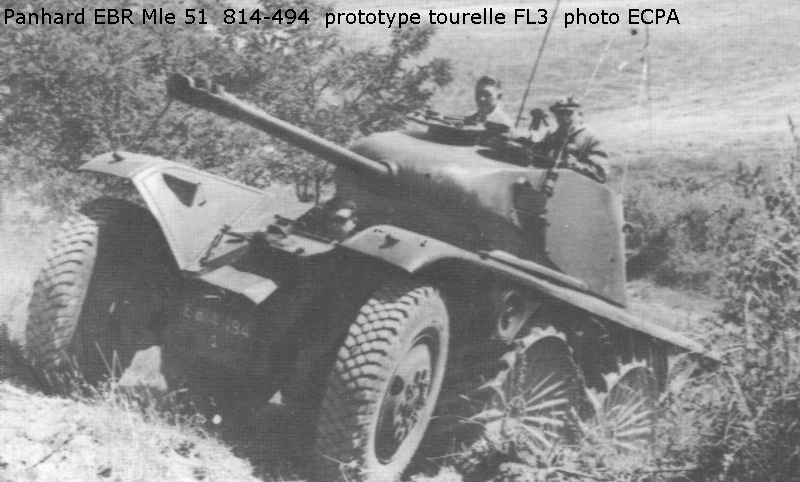 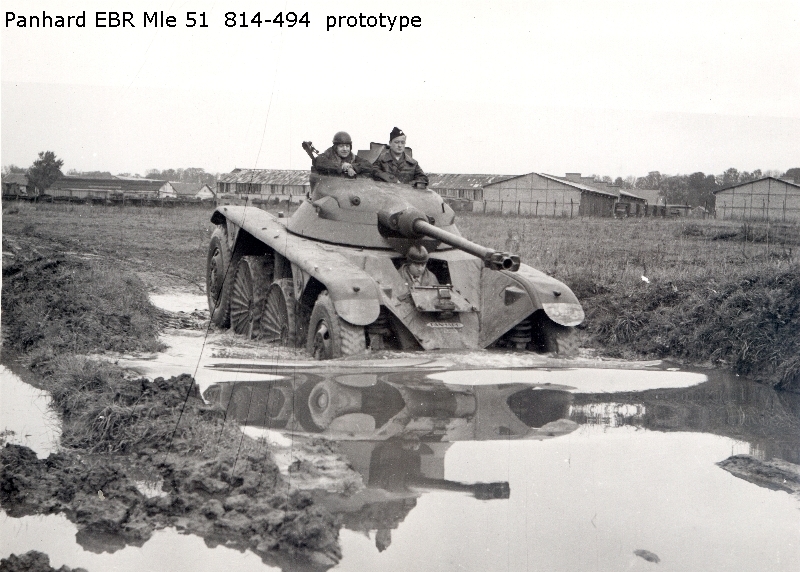 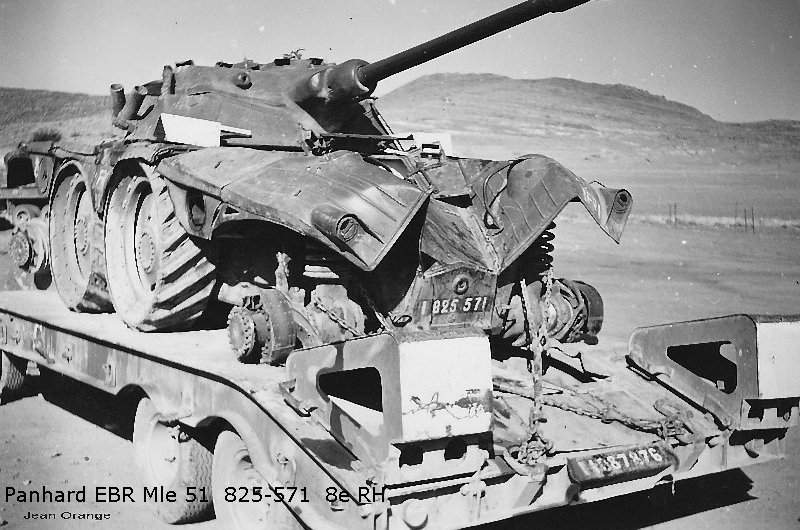 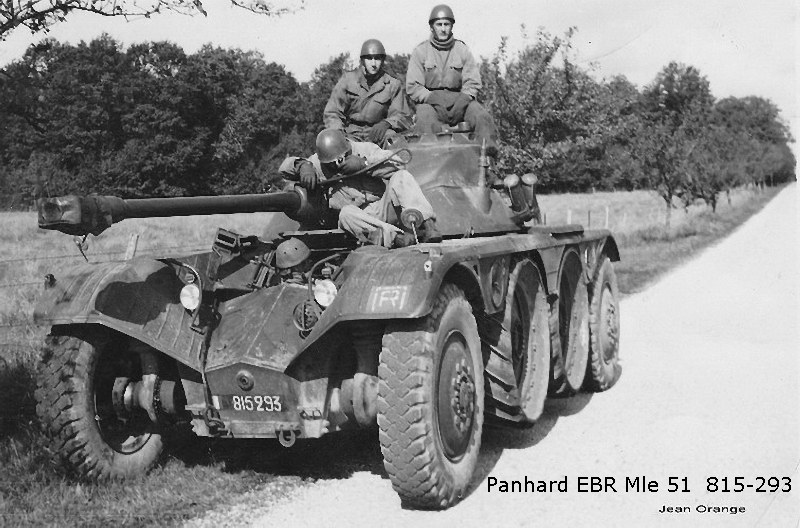 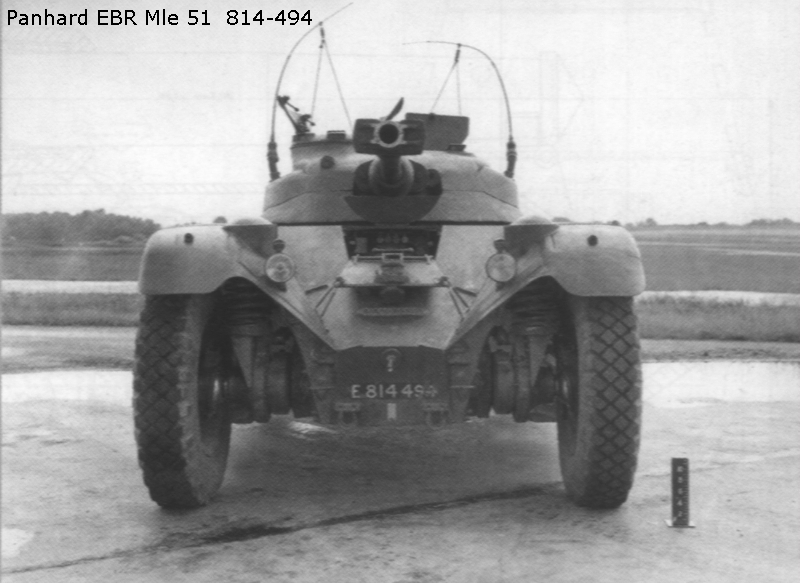 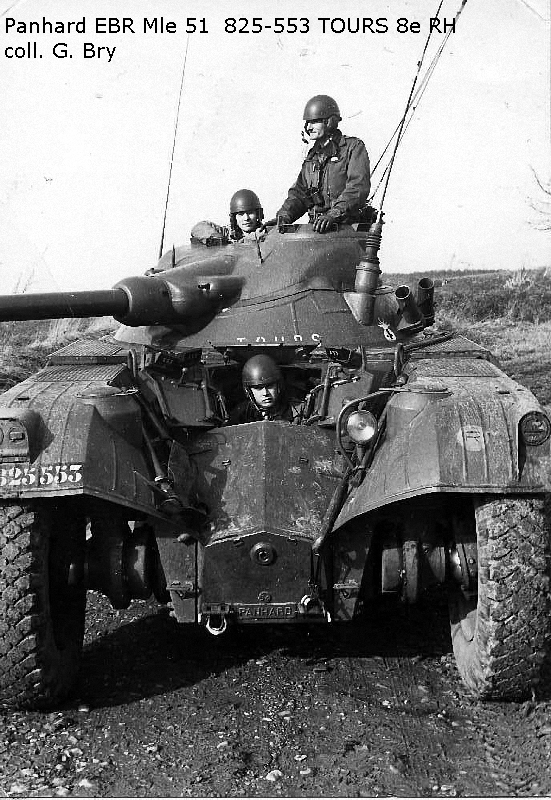 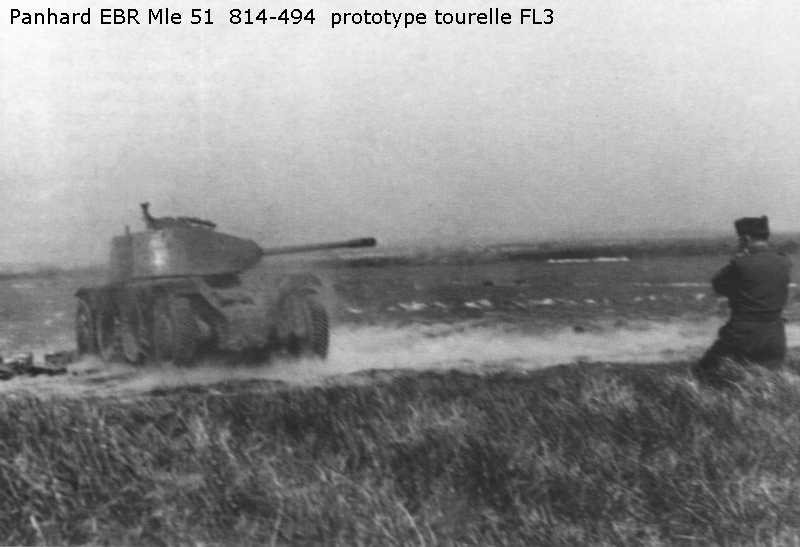 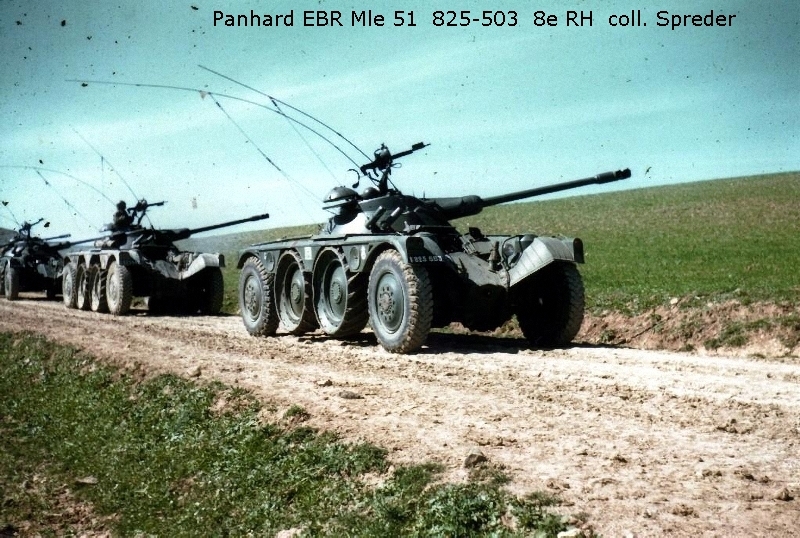 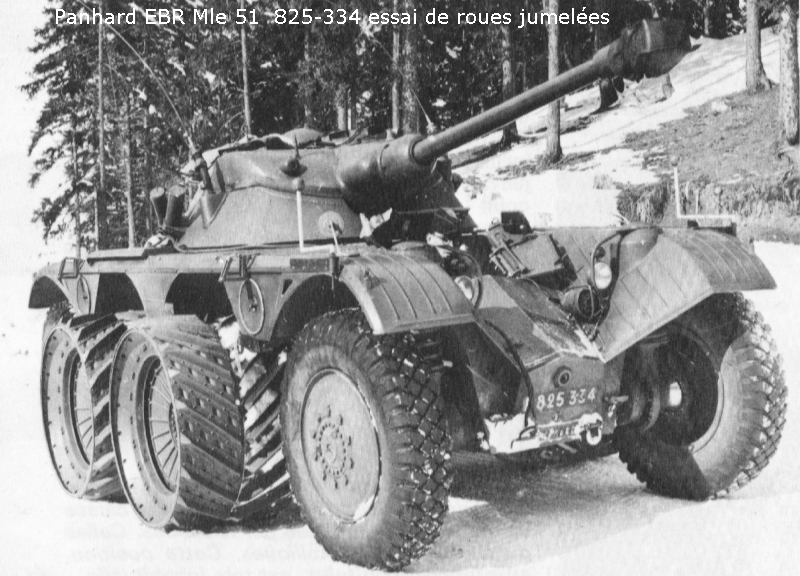 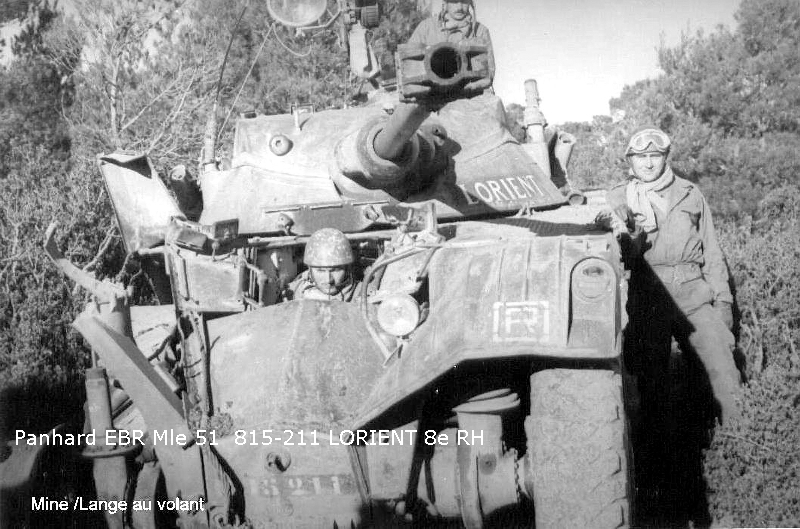 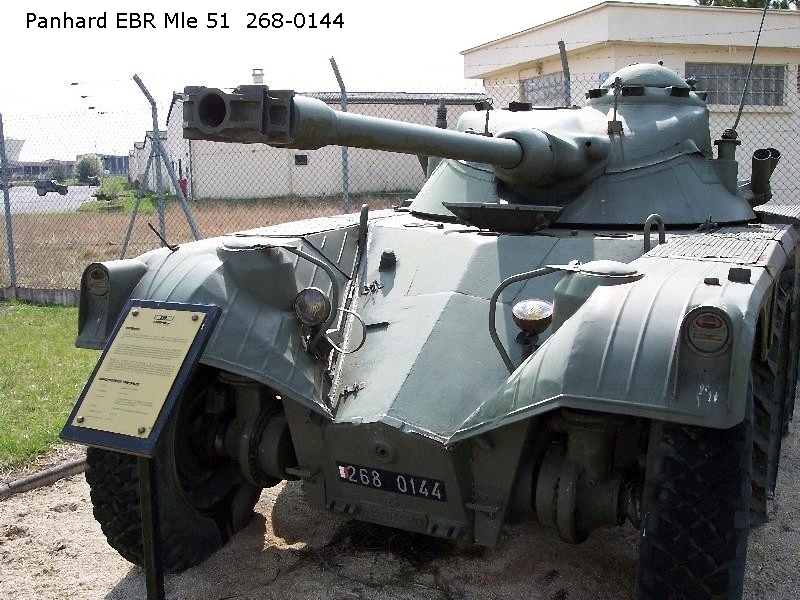 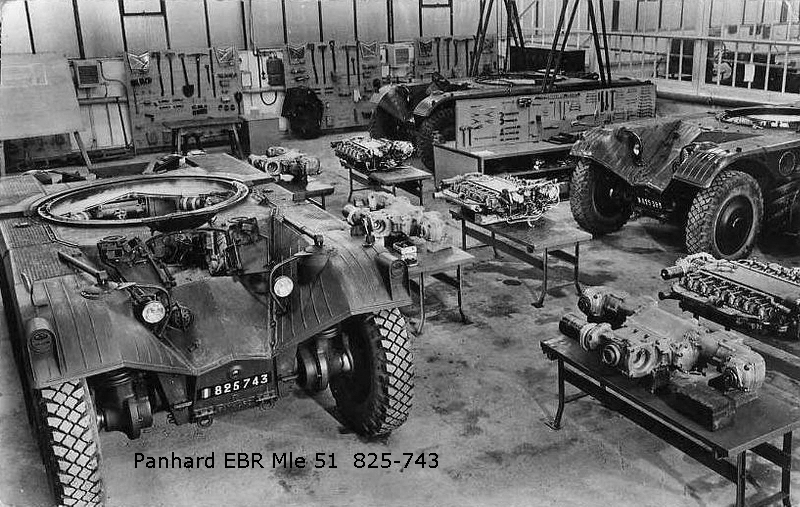 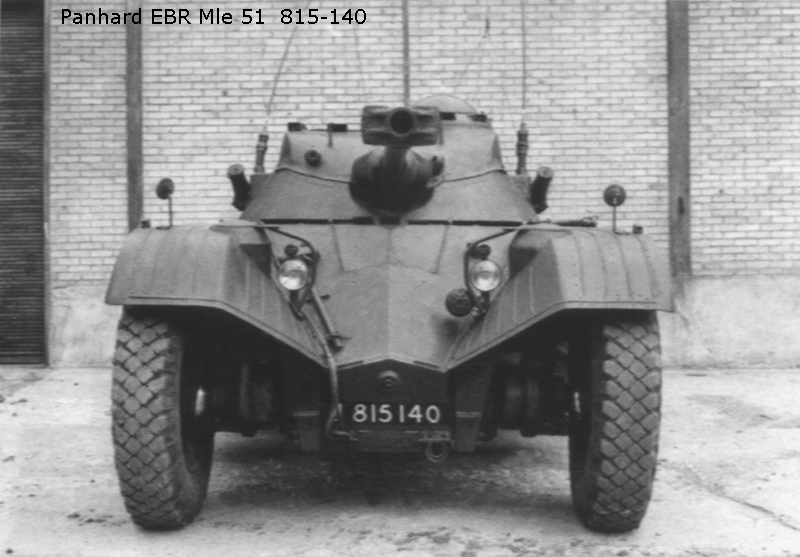 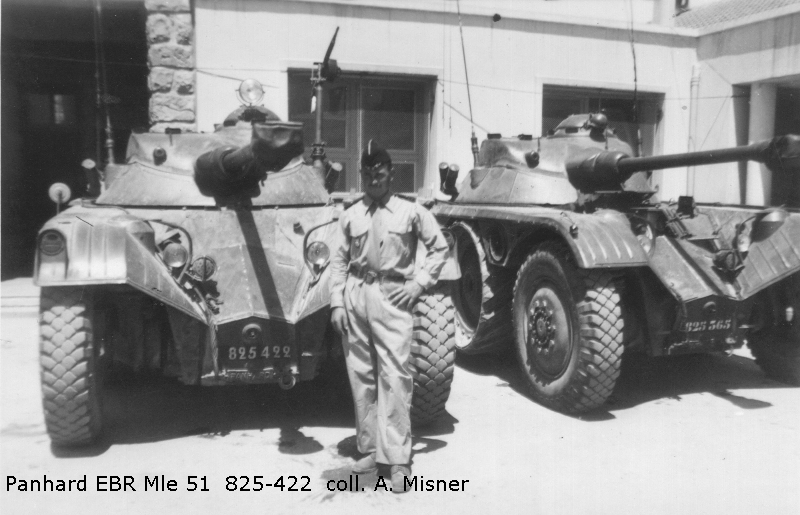 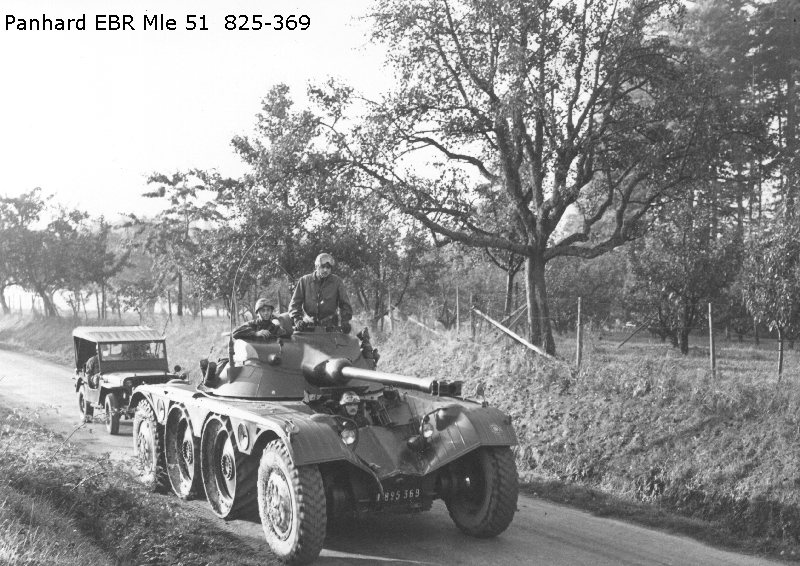 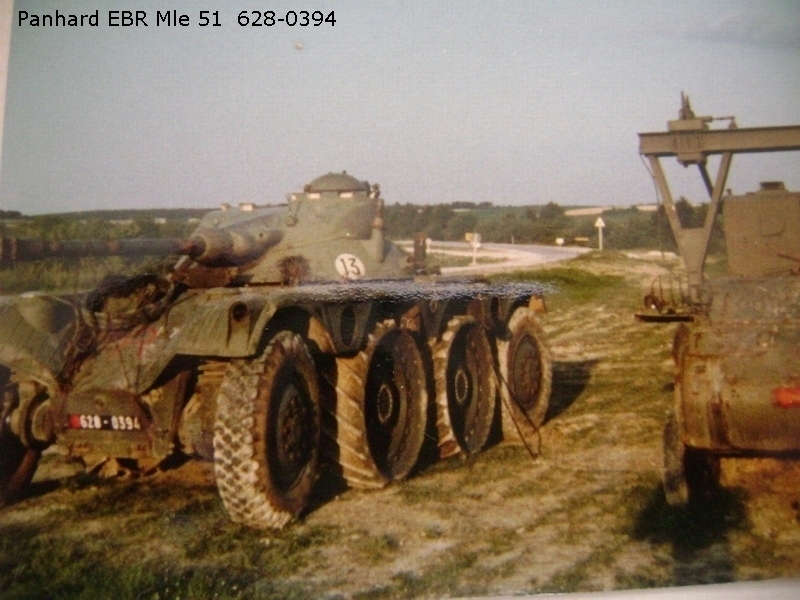 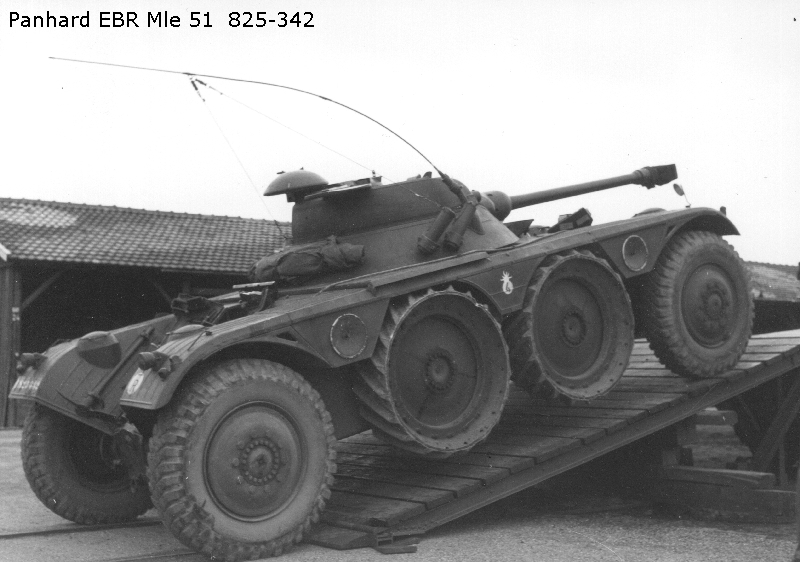 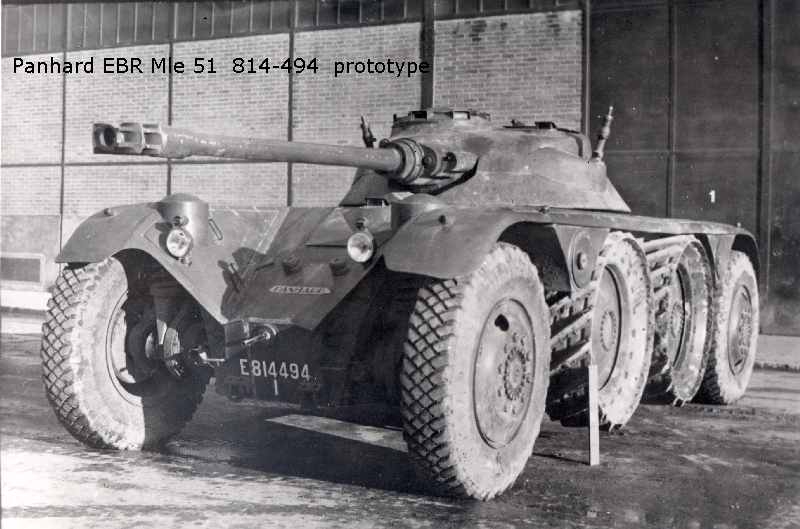 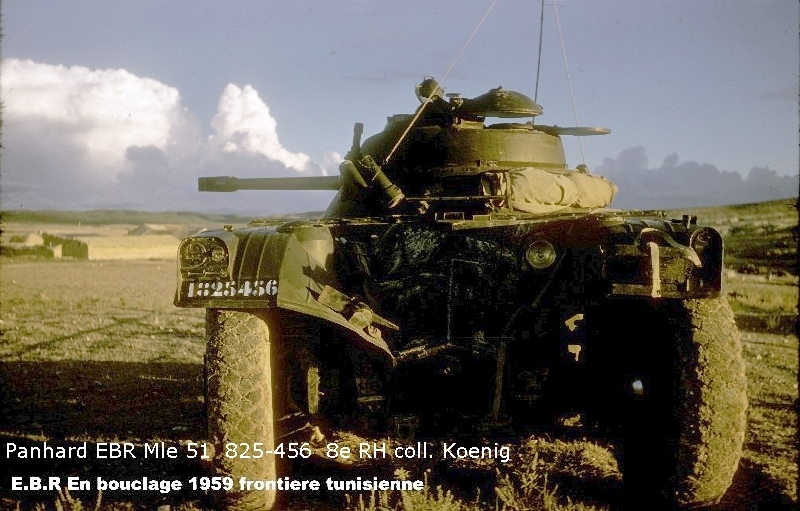 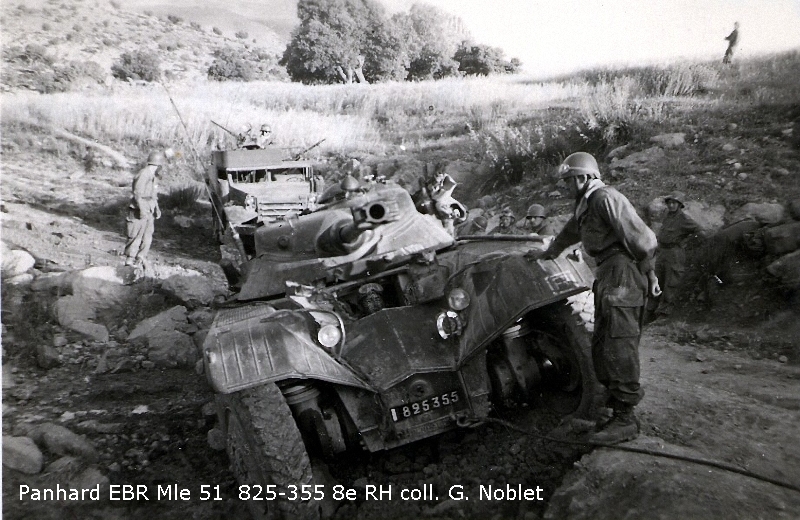 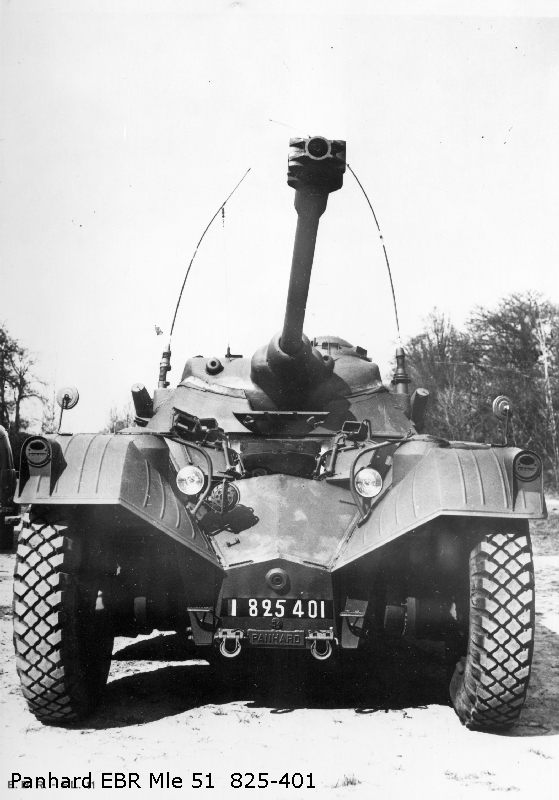 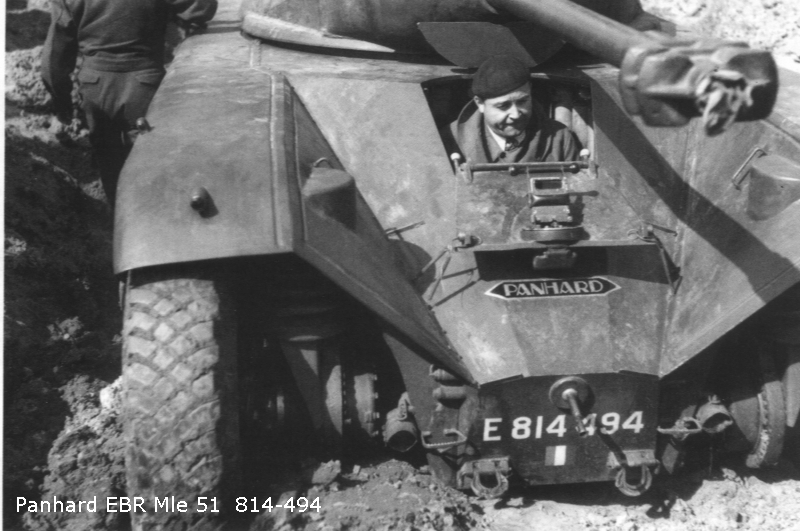 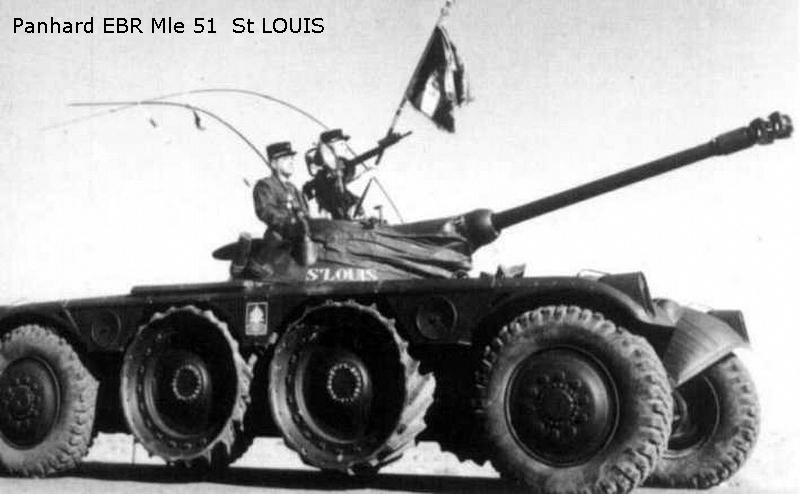 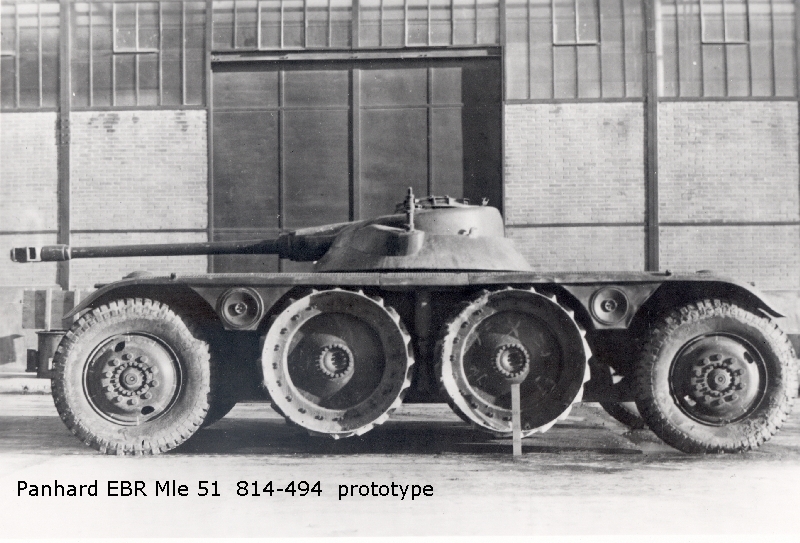 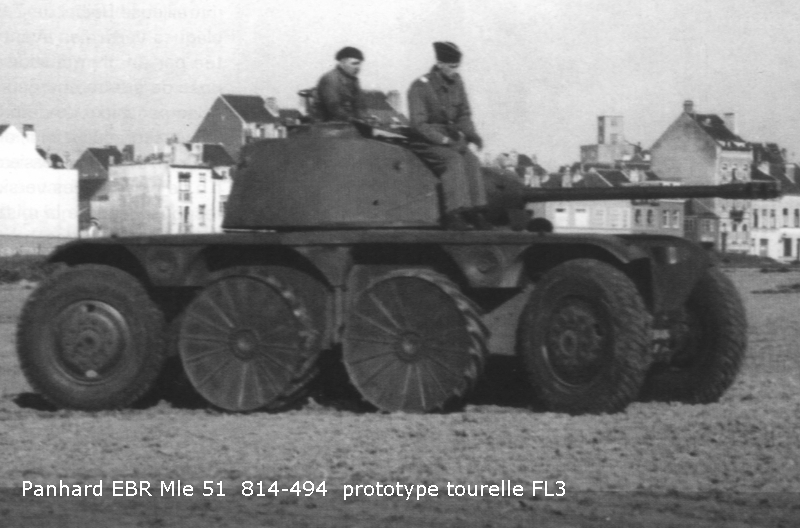 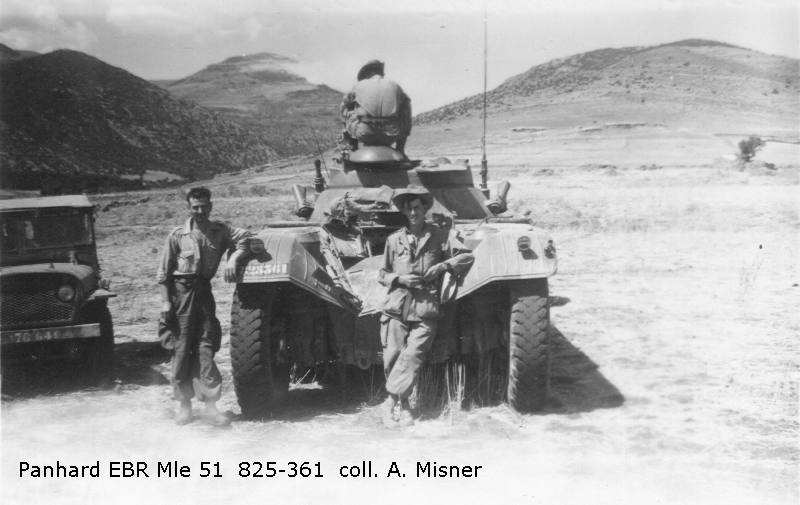 The EBR (Engin Blindé de Reconnaissance, armored recon vehicle) saw production in 1951, showing several technical innovations : thanks to its symmetrical design, il could drive independently in both directions and had 2 driver positions (one to the front, and the other to the rear). 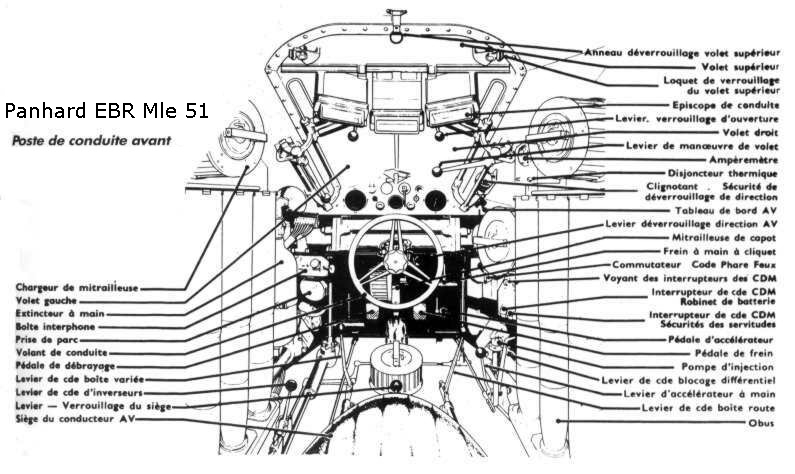 4 out of the 8 driving wheels could be raised on roads, allowing a speed higher than 100 km/h (62,1371 MPH). 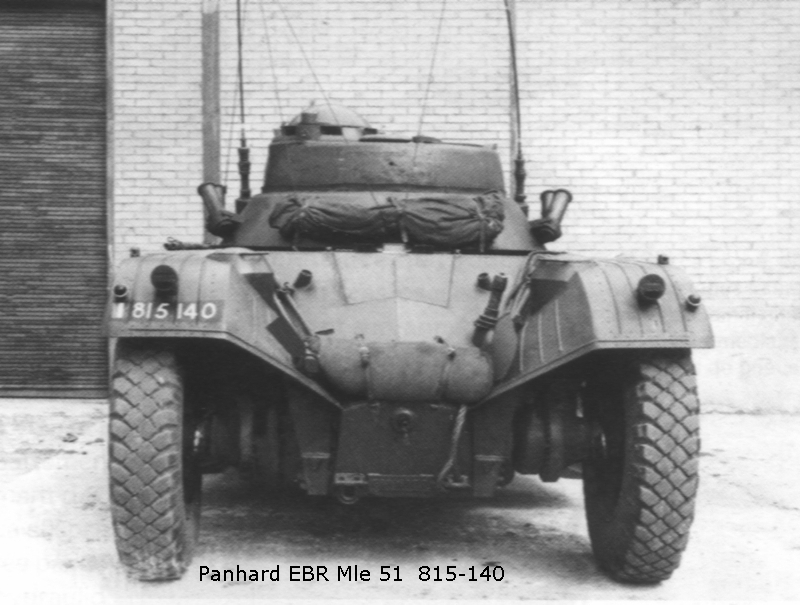 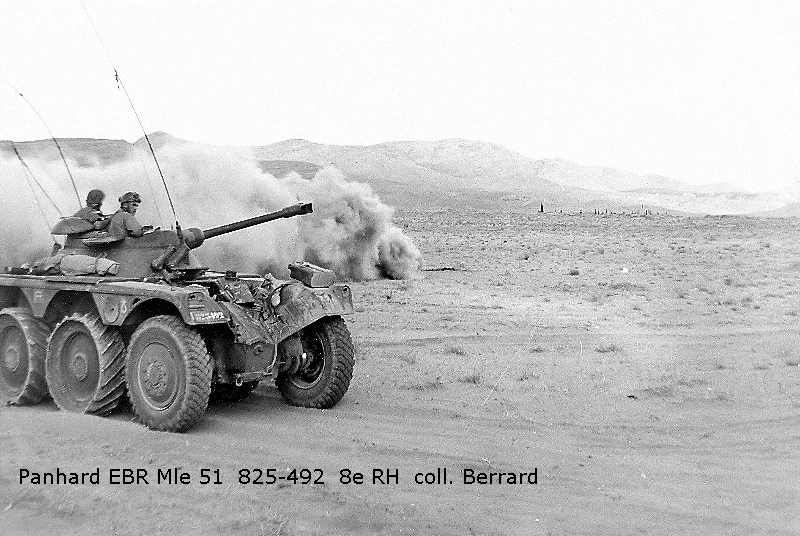 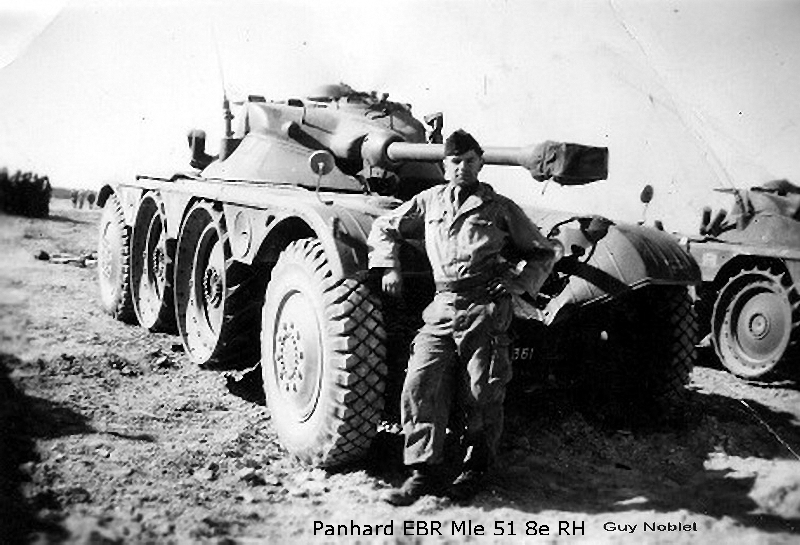 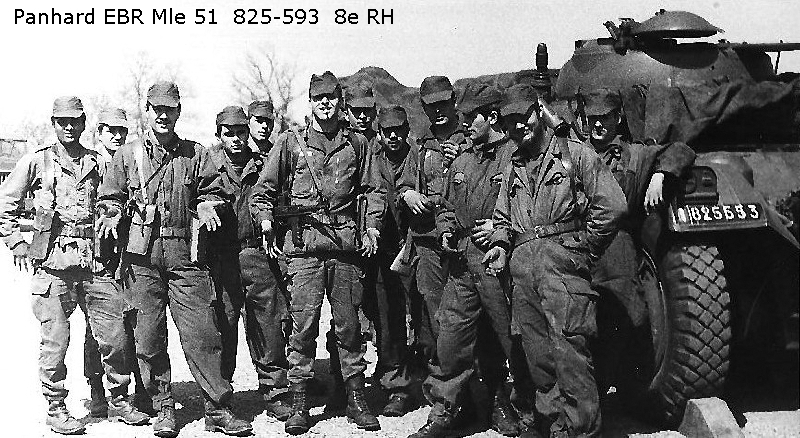 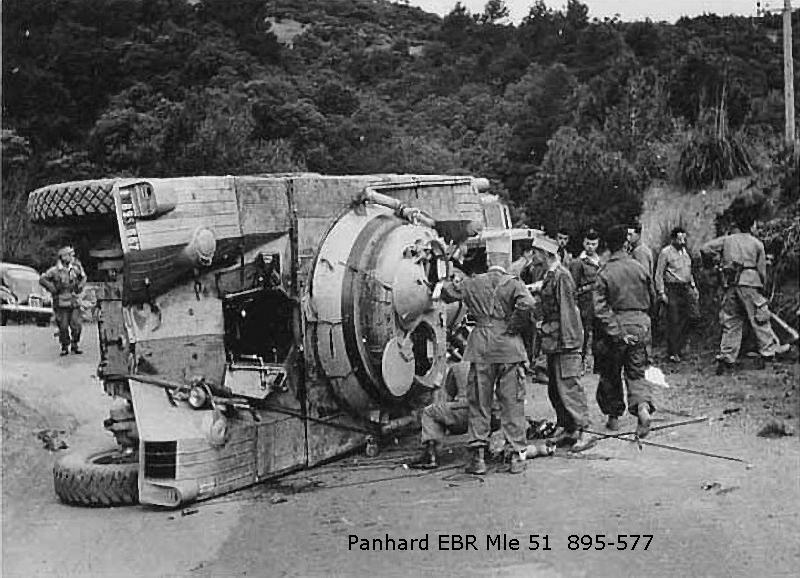 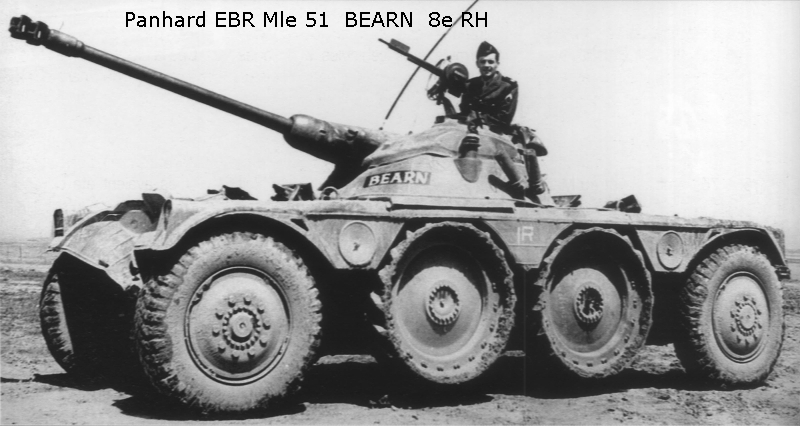 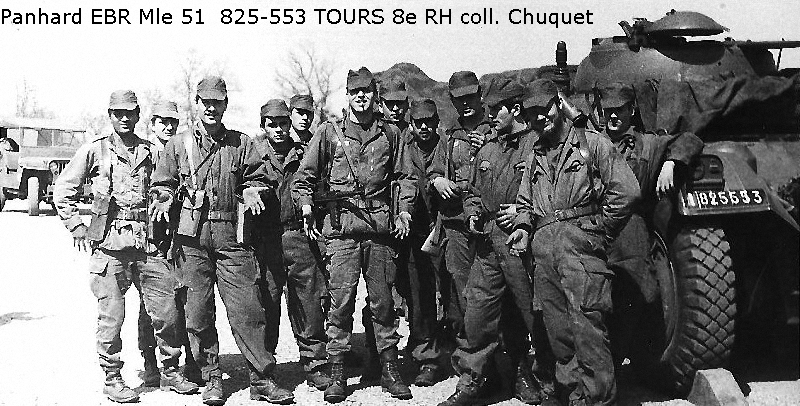 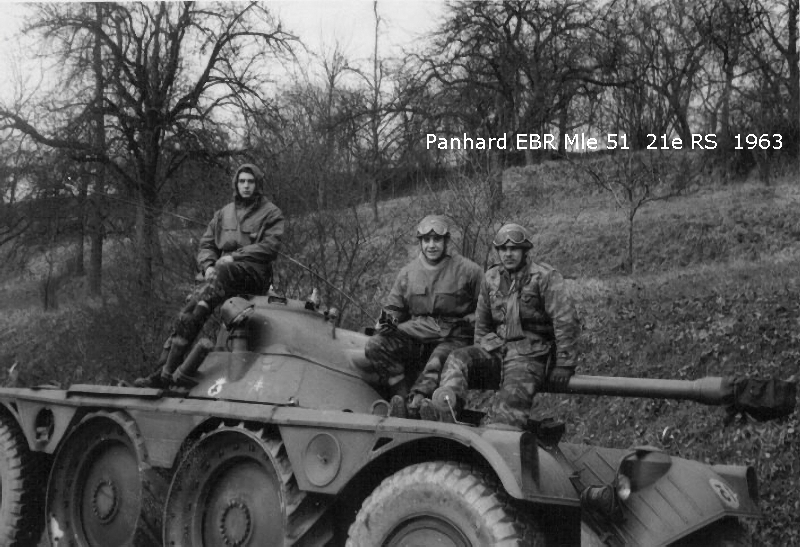 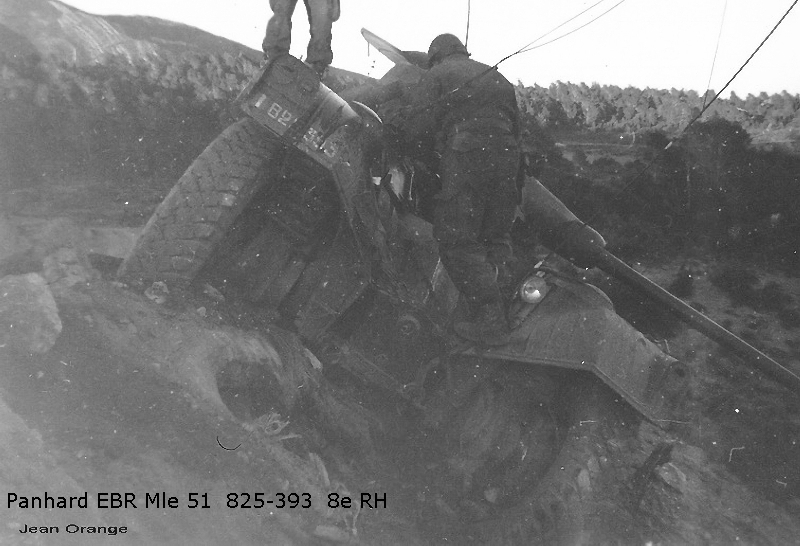 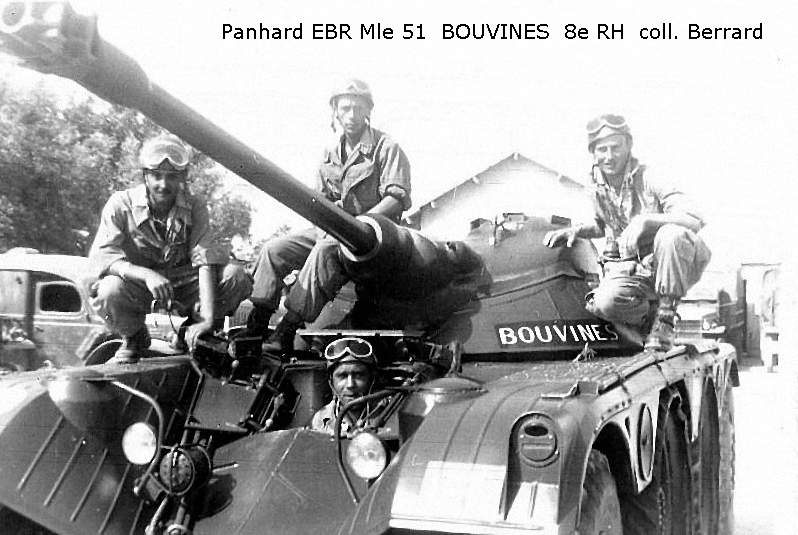 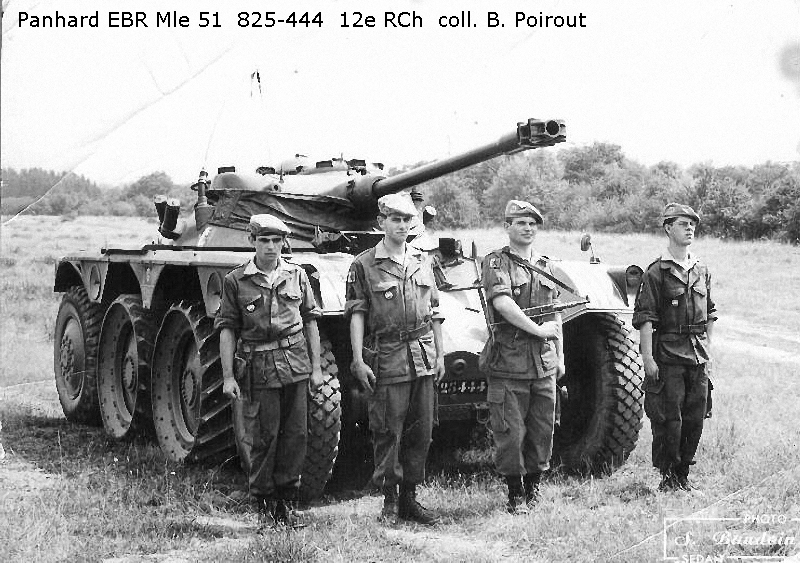 The EBR was powered by an air-cooled Panhard 12H6000S, 12 cylinders flat and 6 liters. 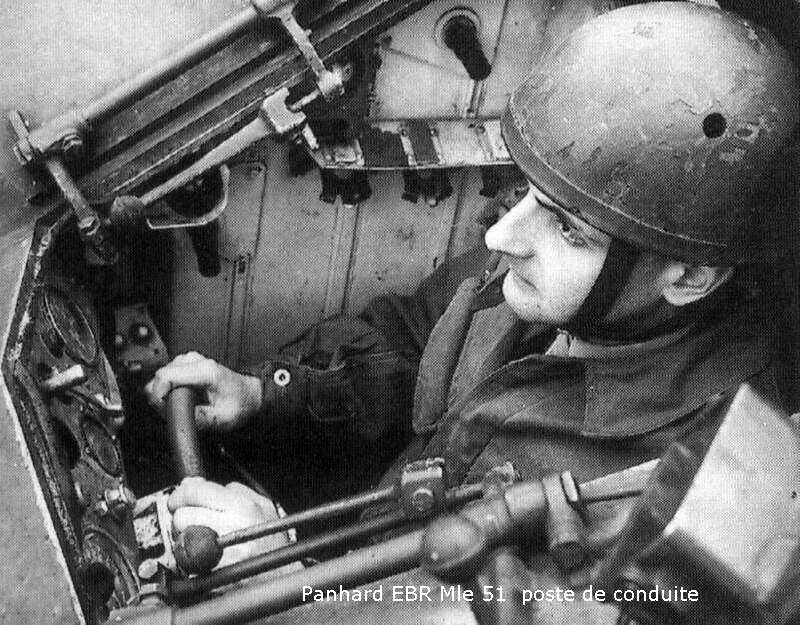 Thanks to its low height of 22 cm (8,66142 inches, 0,721785 ft), the engine was located right under the turret basket. 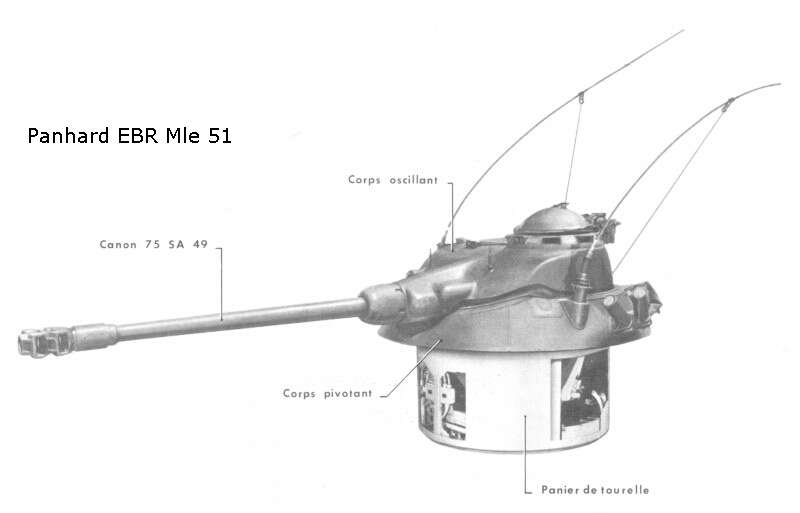 The con of this, however, is that for any mechanical intervention, the turret had to be removed. 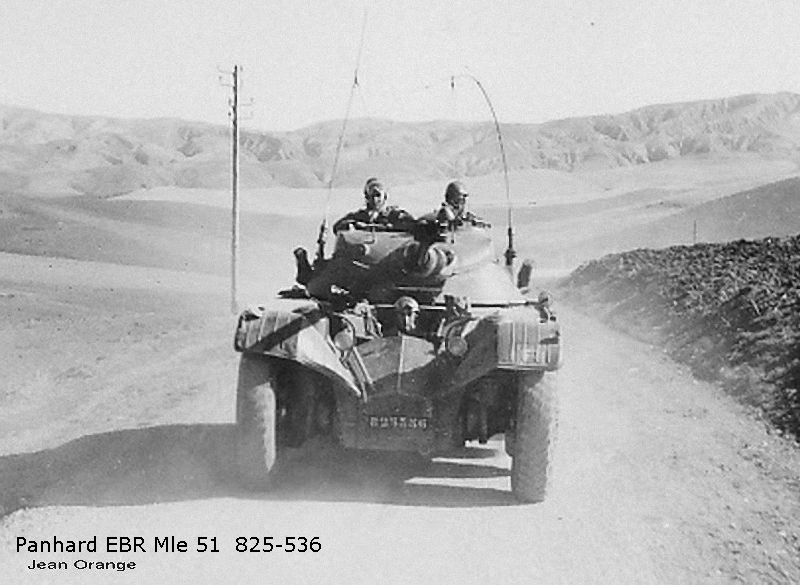 Another con was the high sound level, not really fitting with the discretion required by recon vehicles. 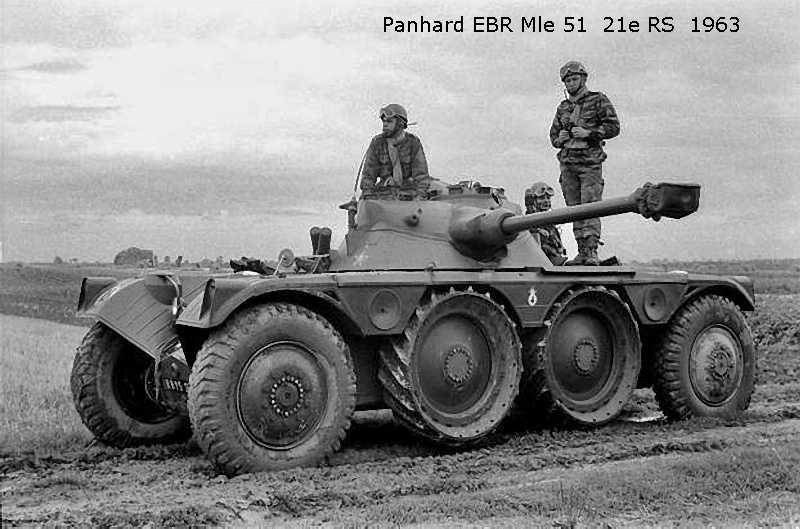 Looks good and would be fun&balanced(tier V-VI?) 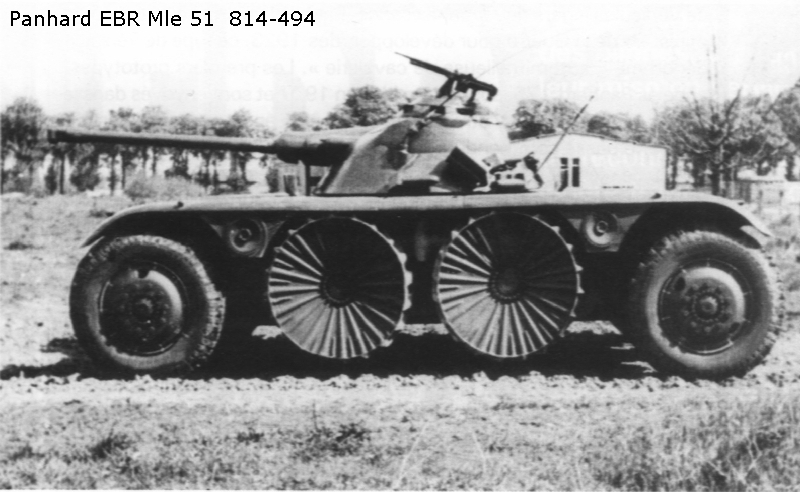 IMO. 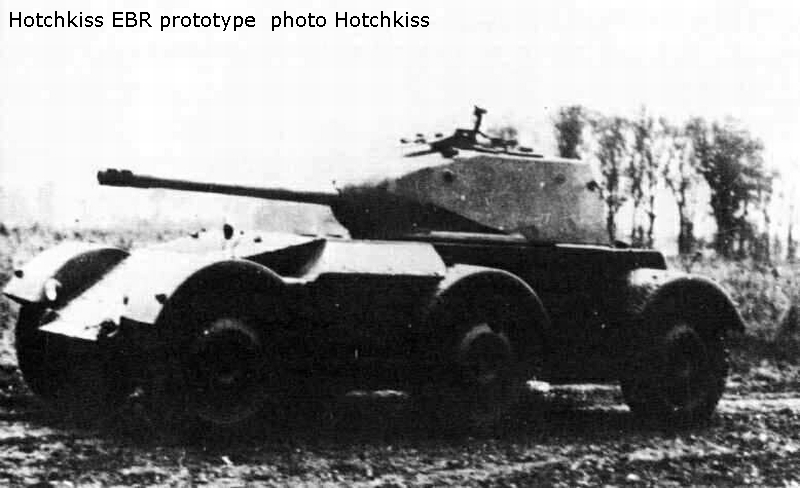 Sadly it is unlikely to ever come in WoT. 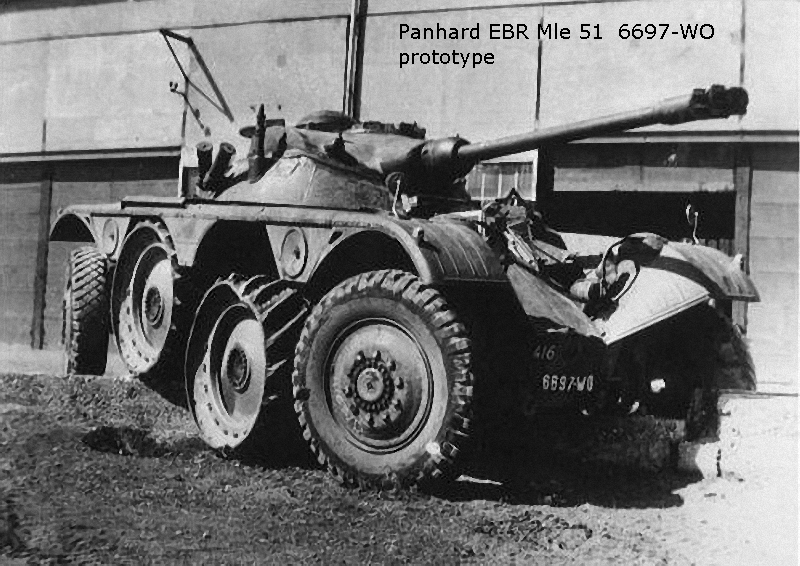 Yes thank you. 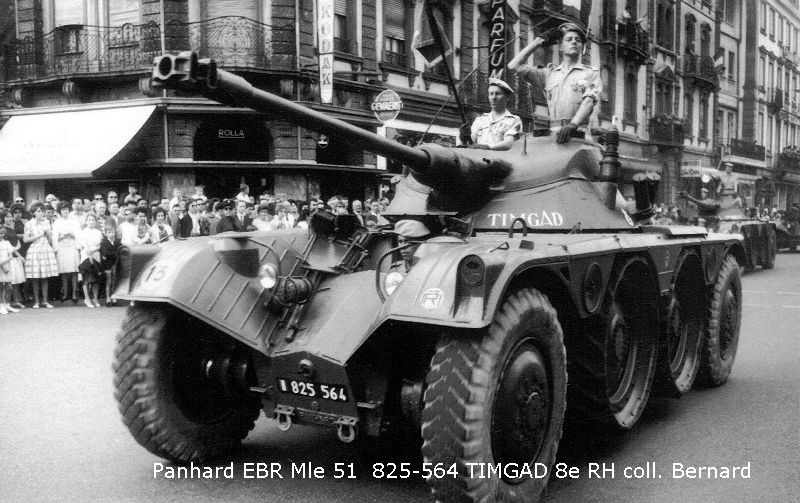 I have always liked the “Panhard’s. 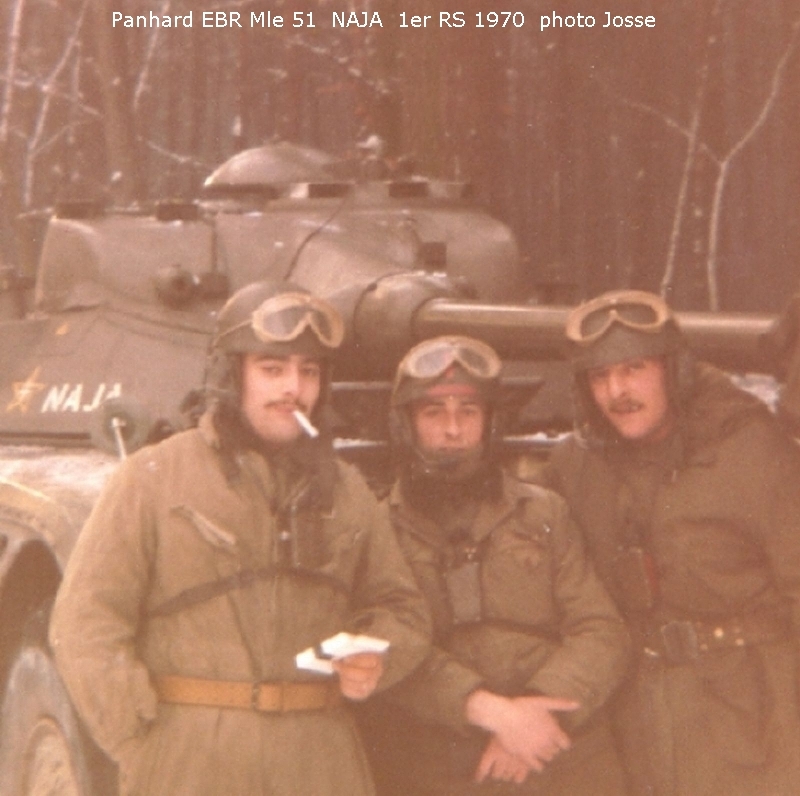 Sort of modern Hussar’s.